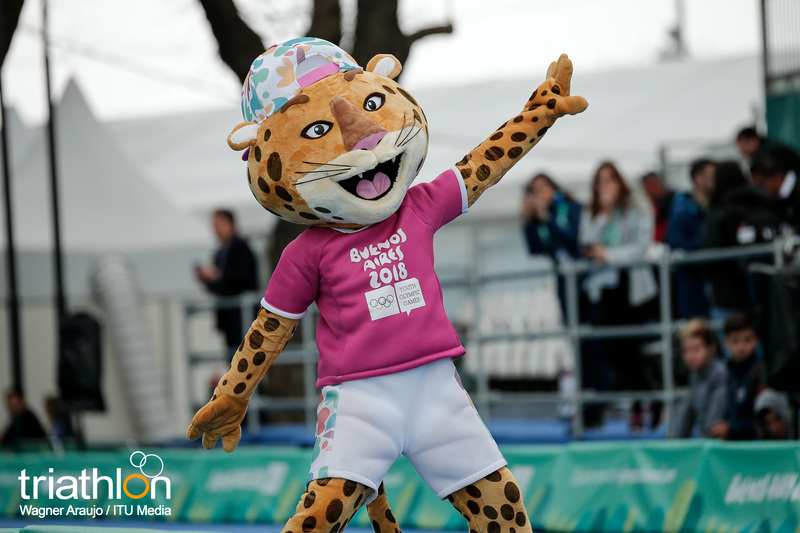 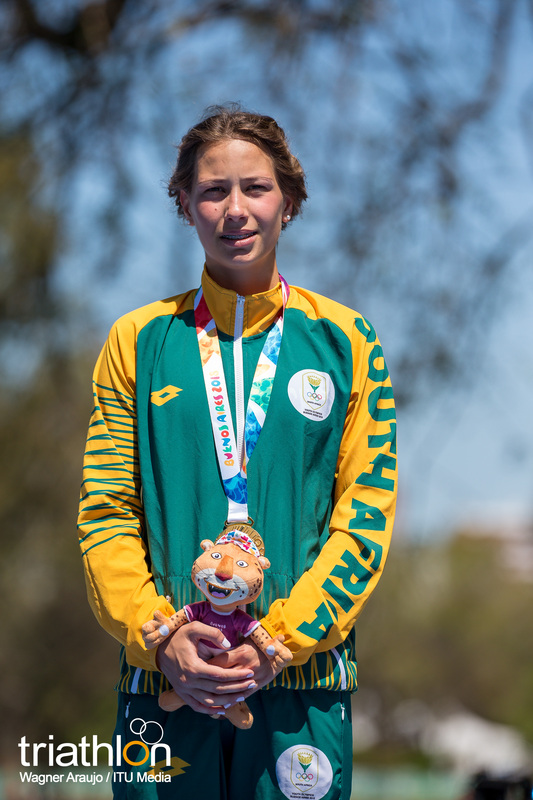 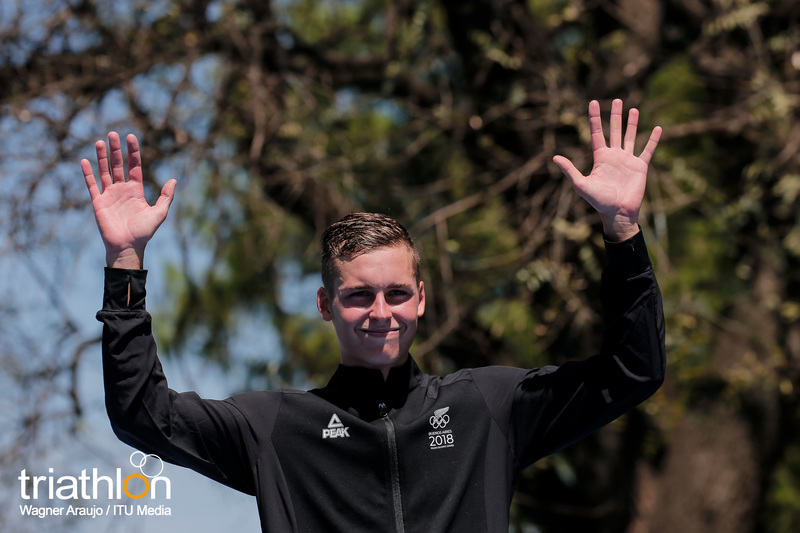 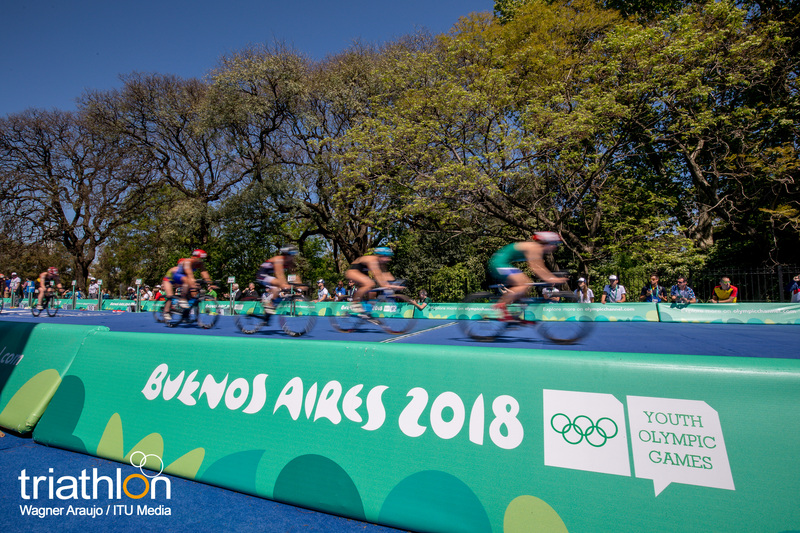 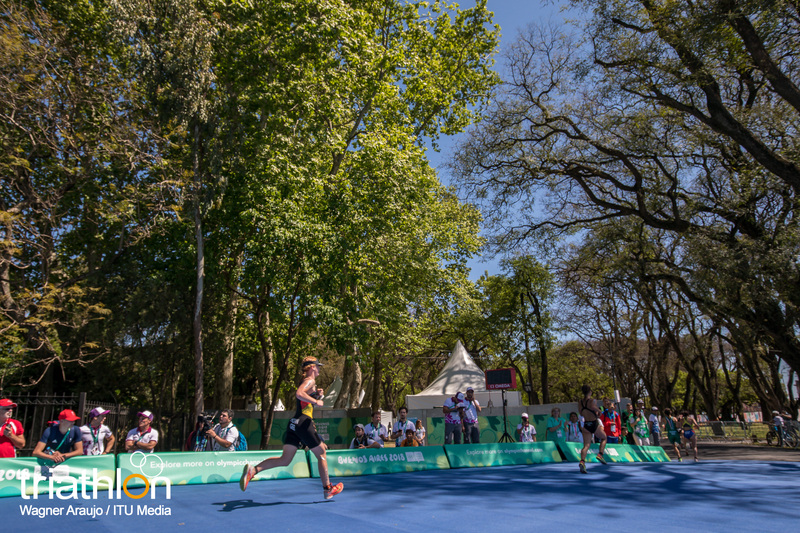 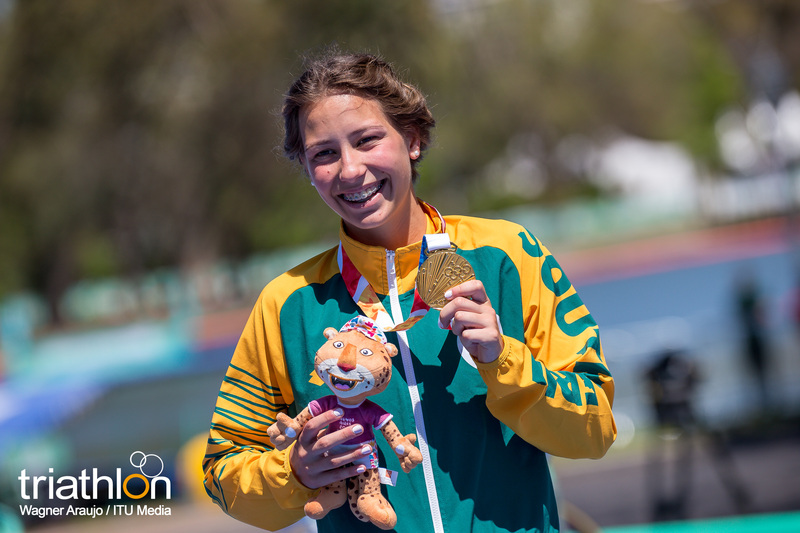 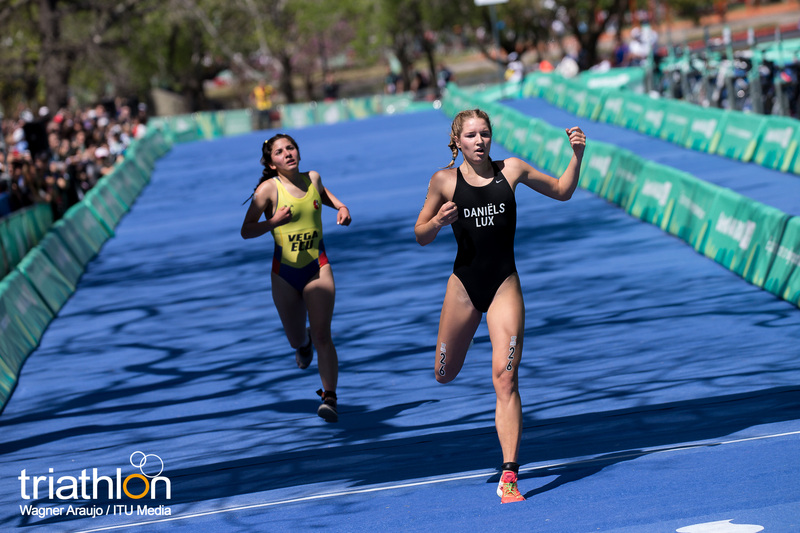 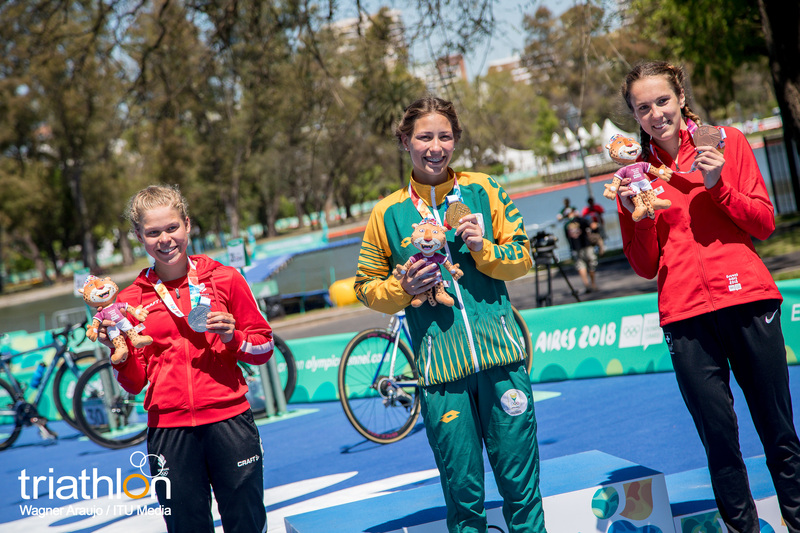 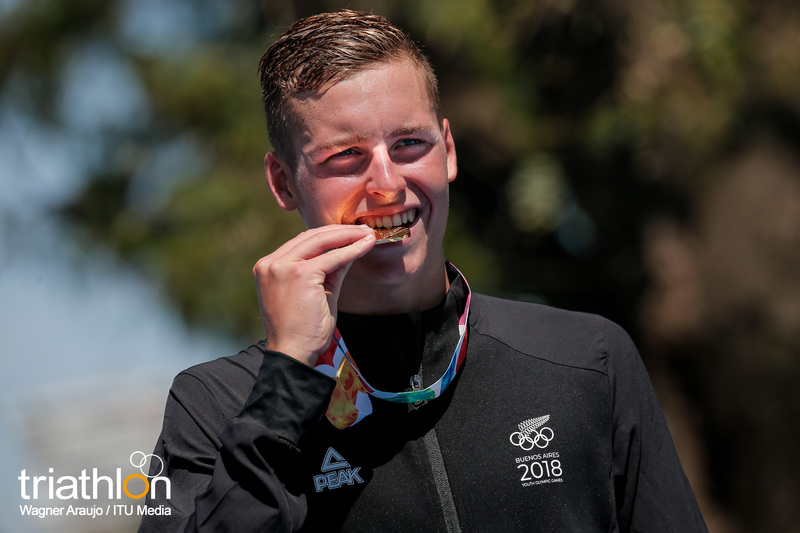 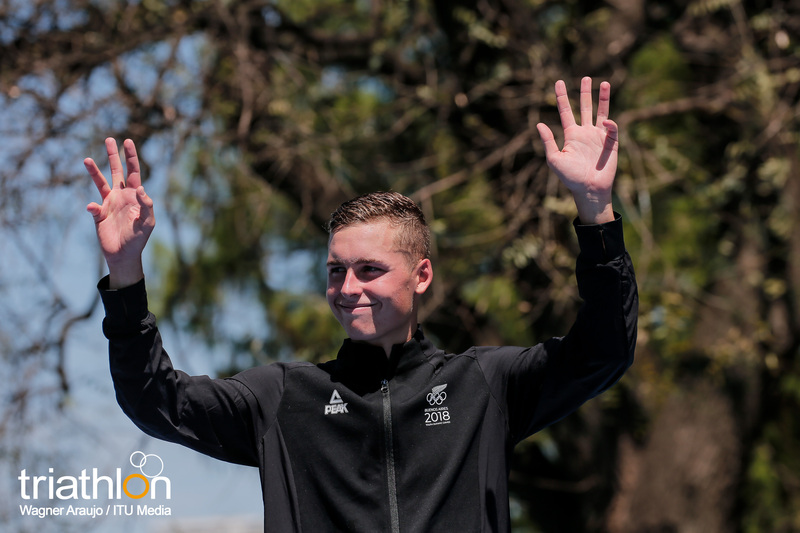 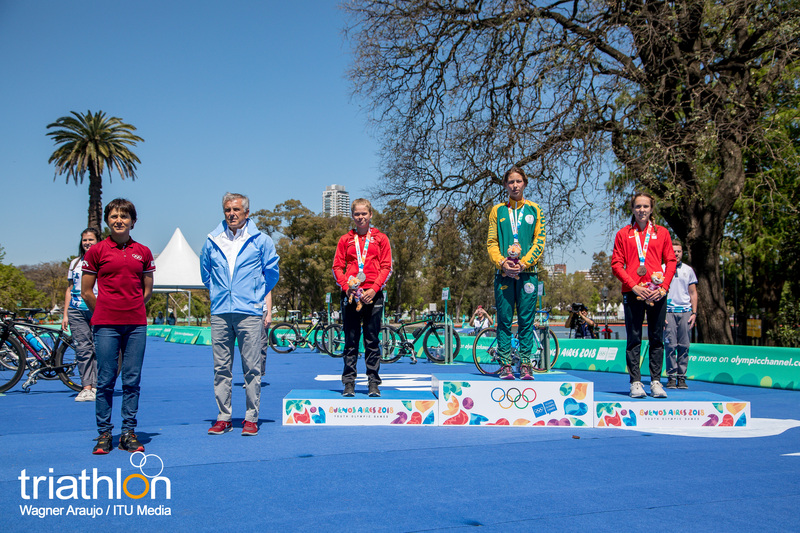 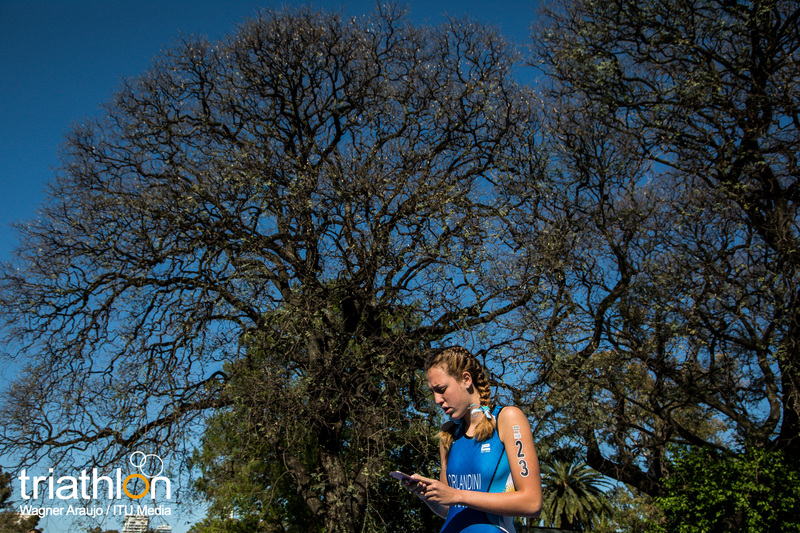 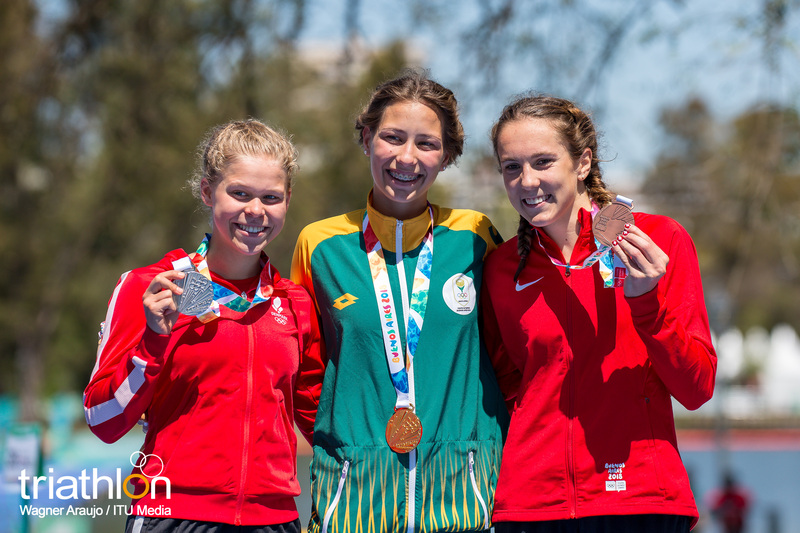 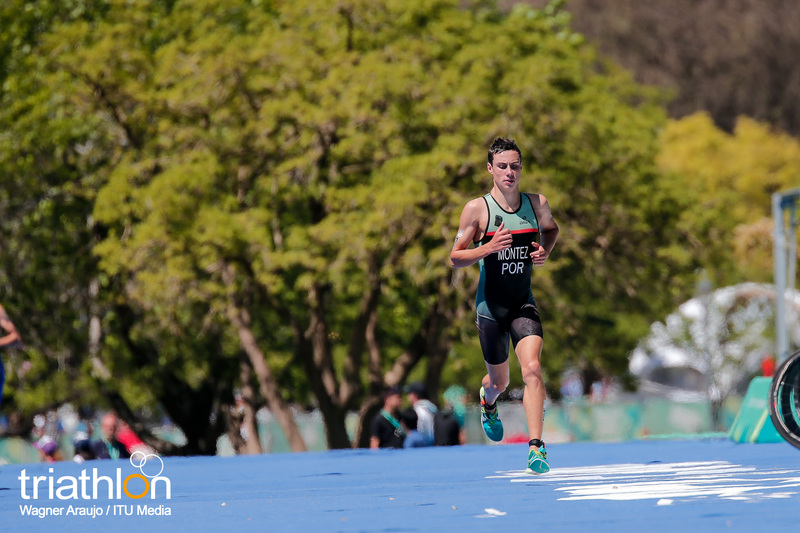 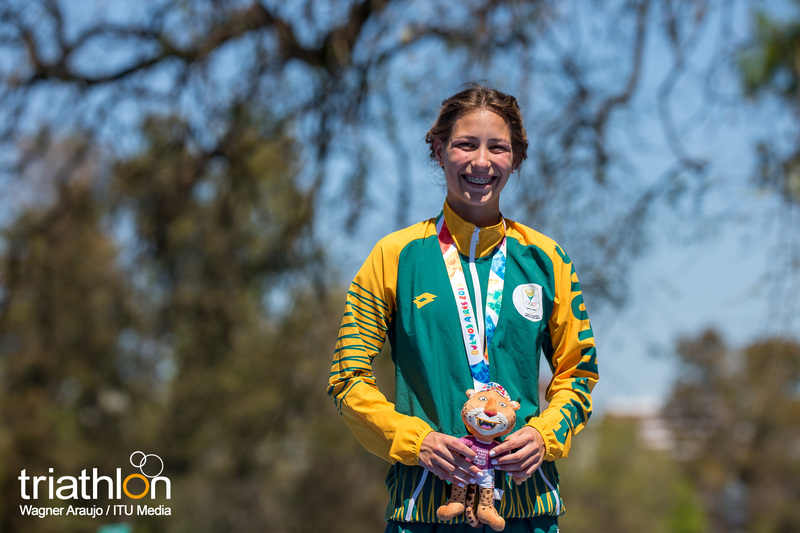 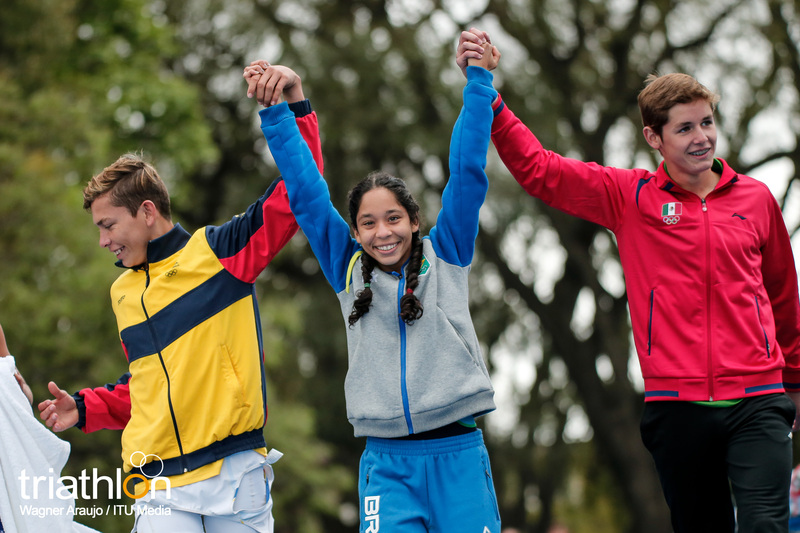 With a fantastic run that saw her fly over the final kilometres of the race, young South African Amber Schlebusch claimed the gold medal at the 2018 Buenos Aires Youth Olympic Games. 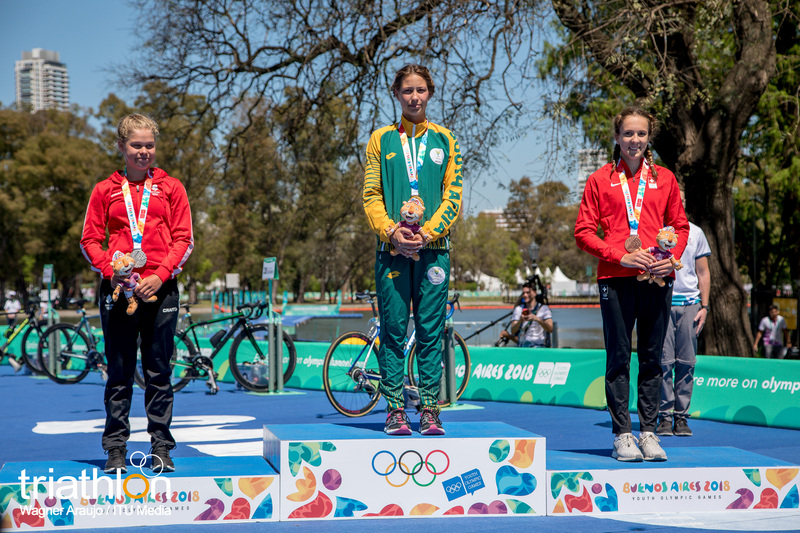 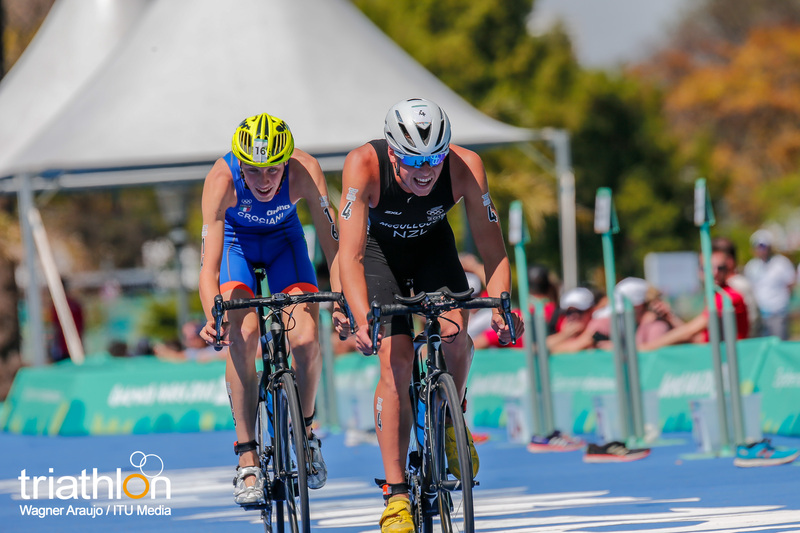 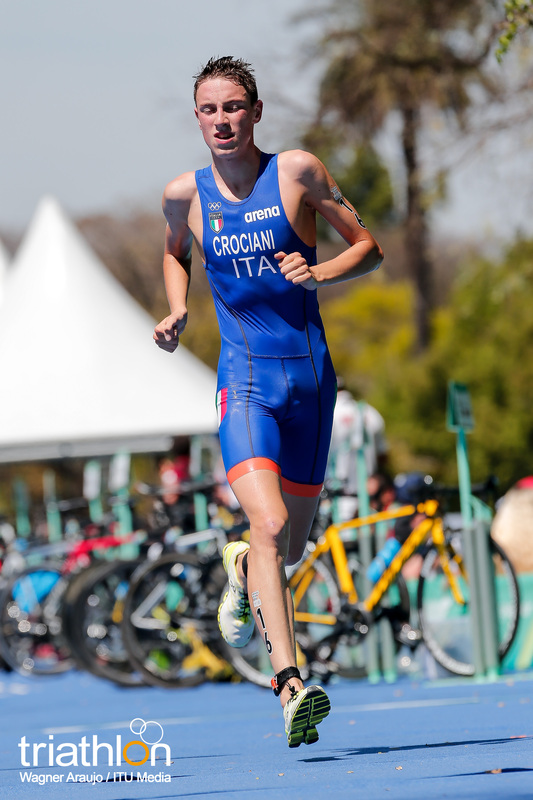 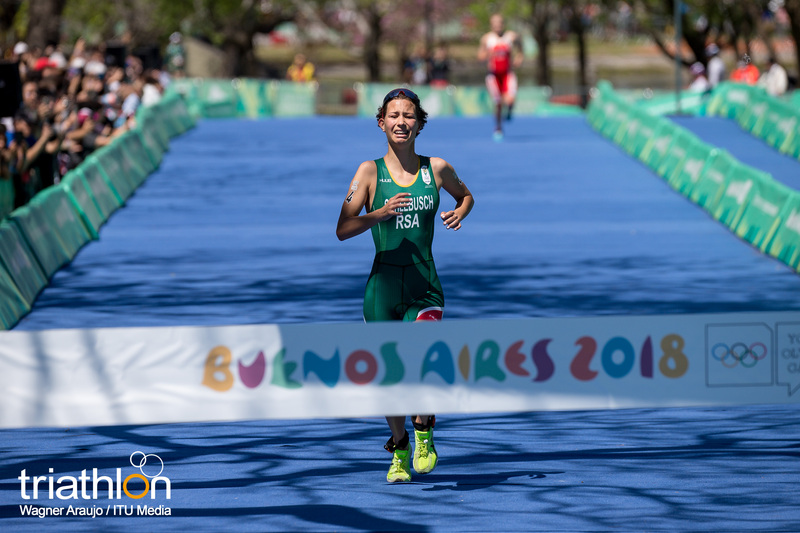 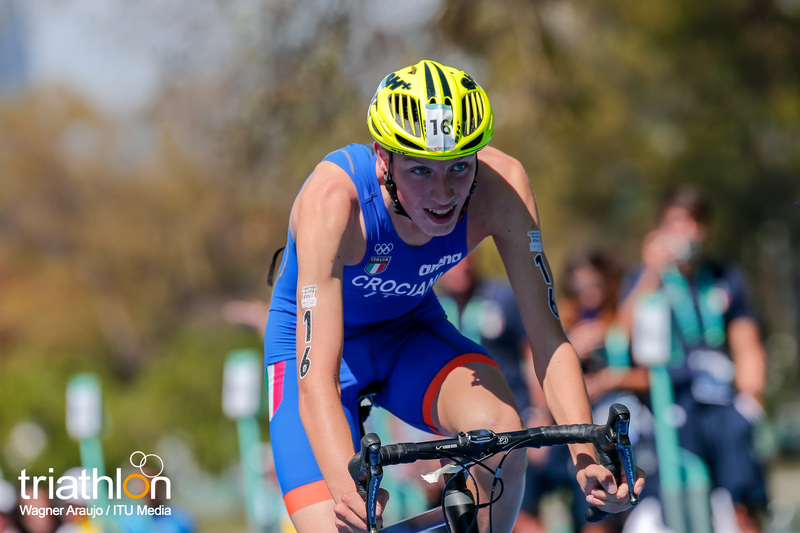 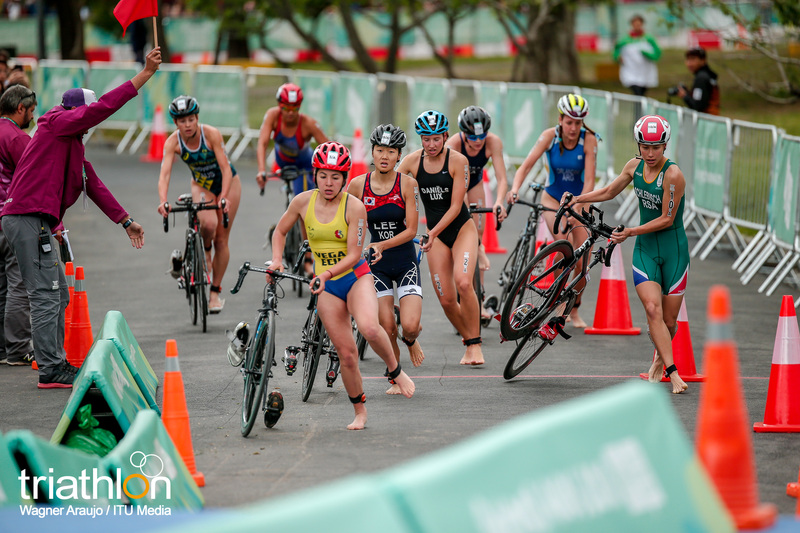 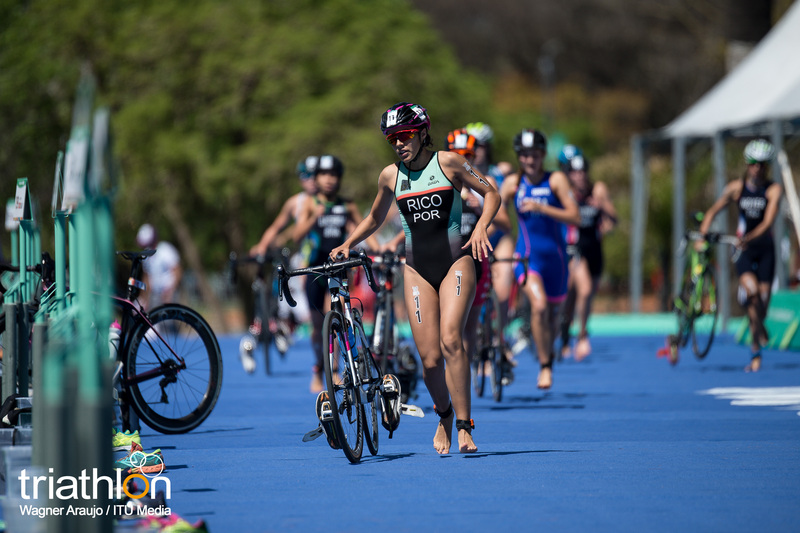 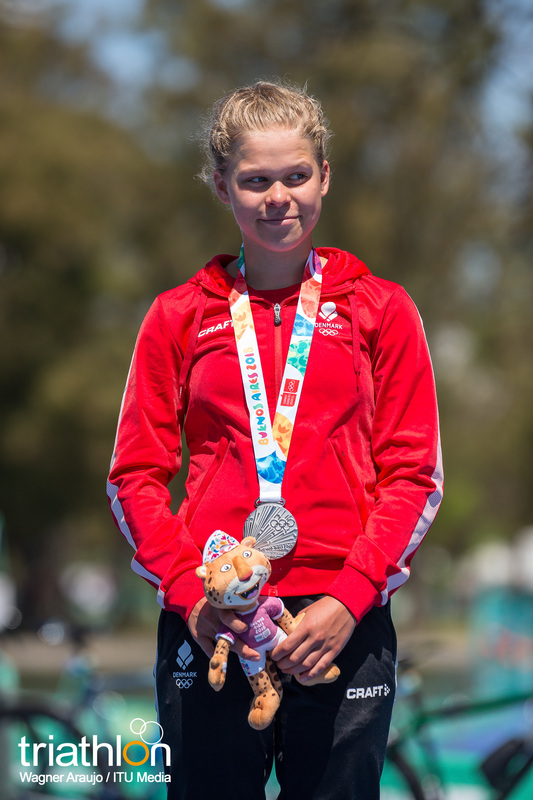 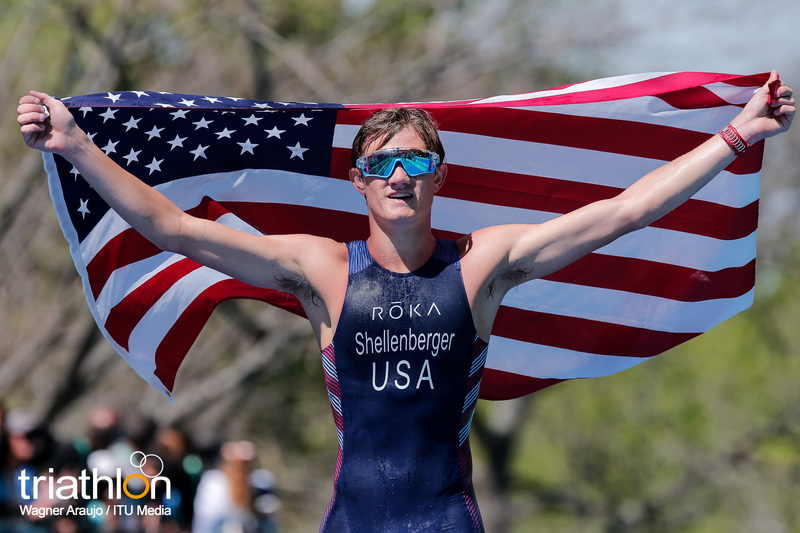 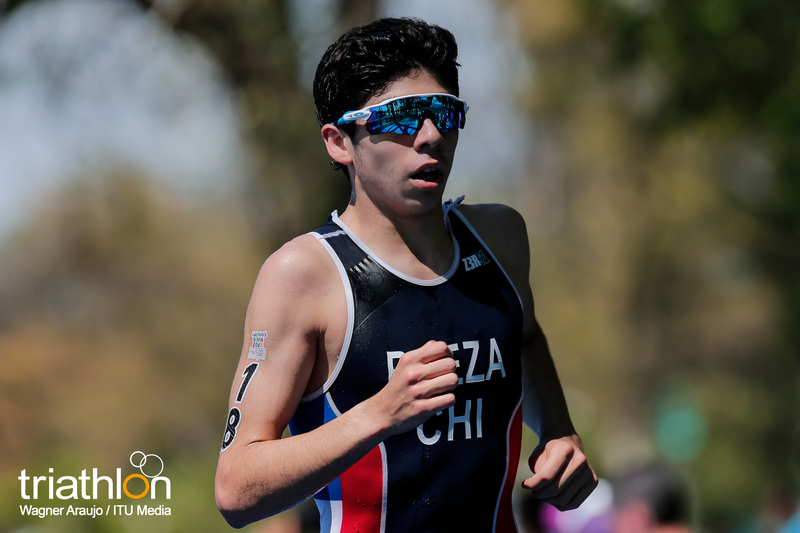 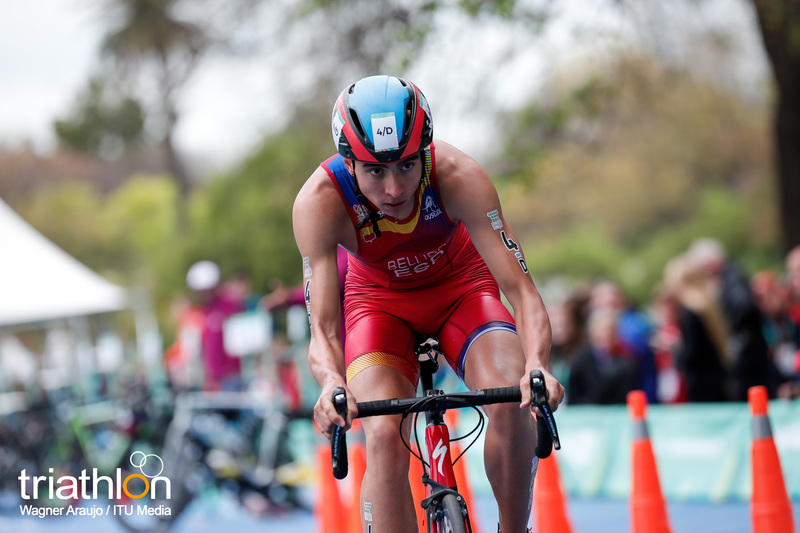 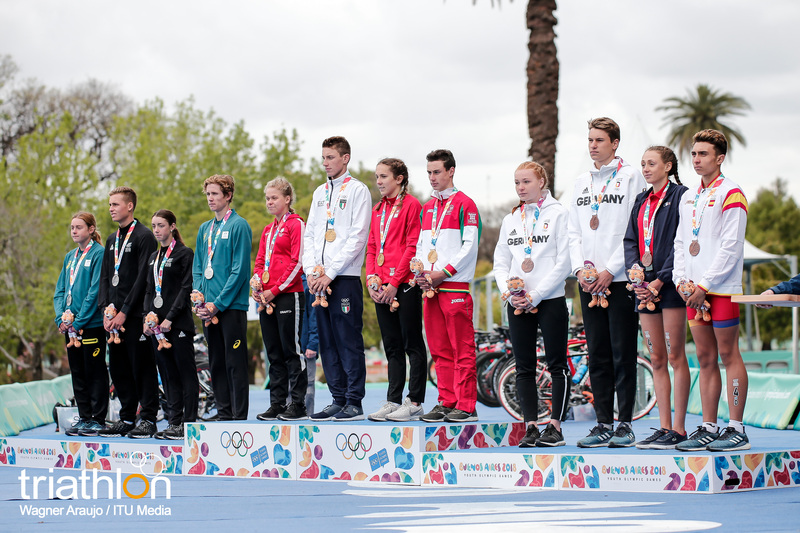 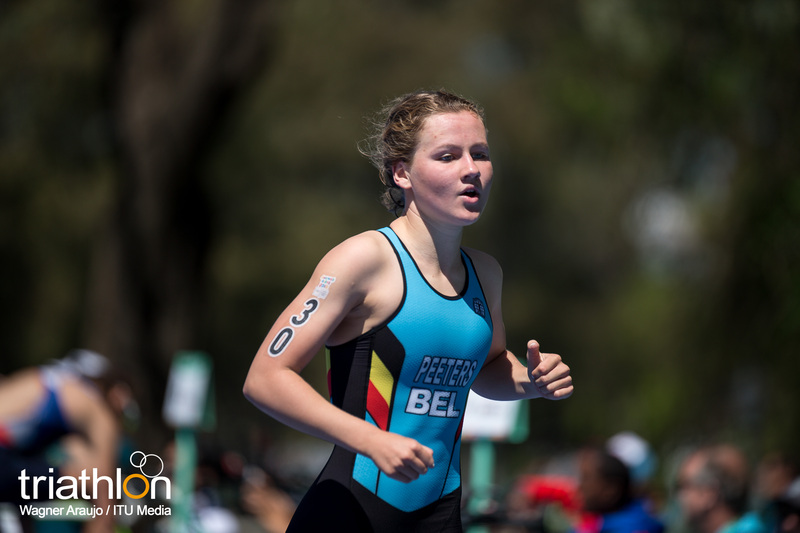 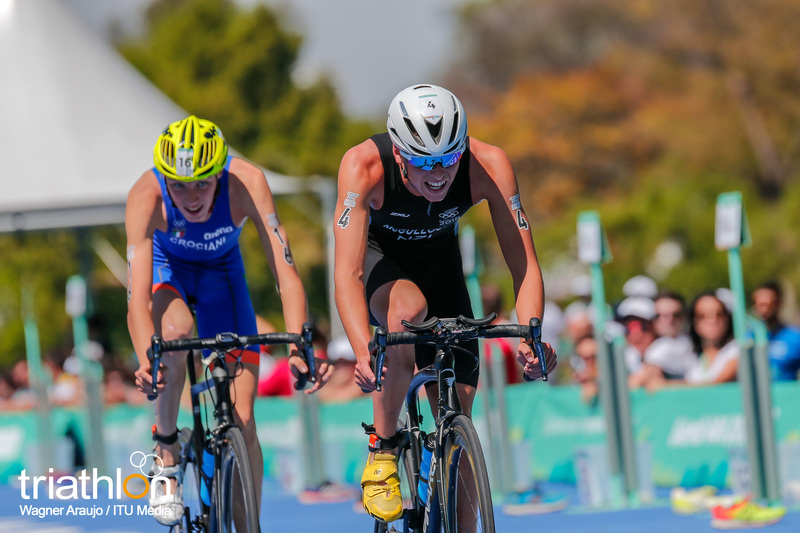 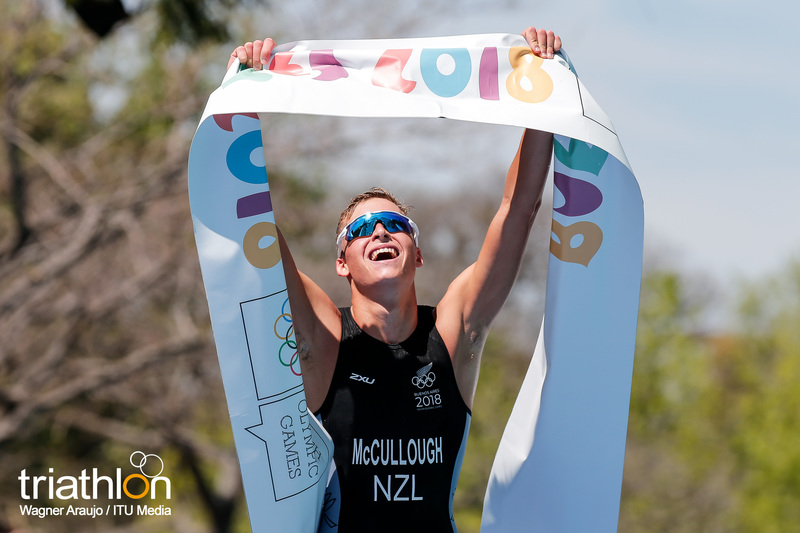 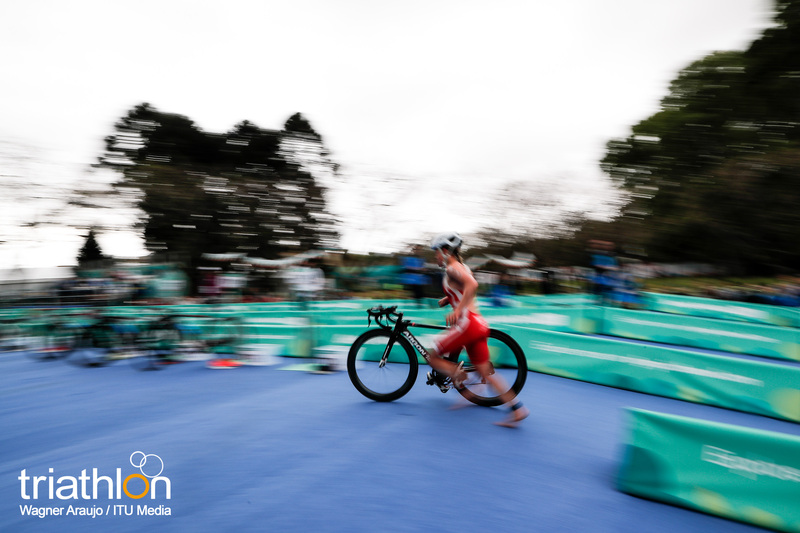 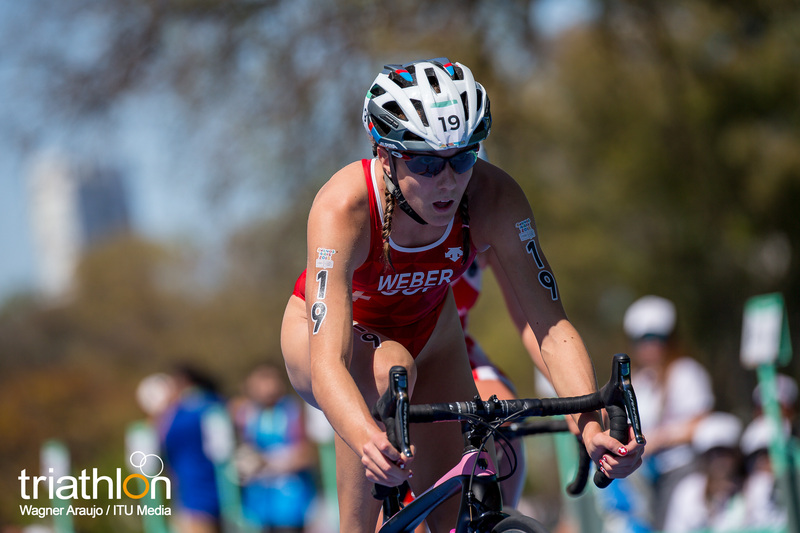 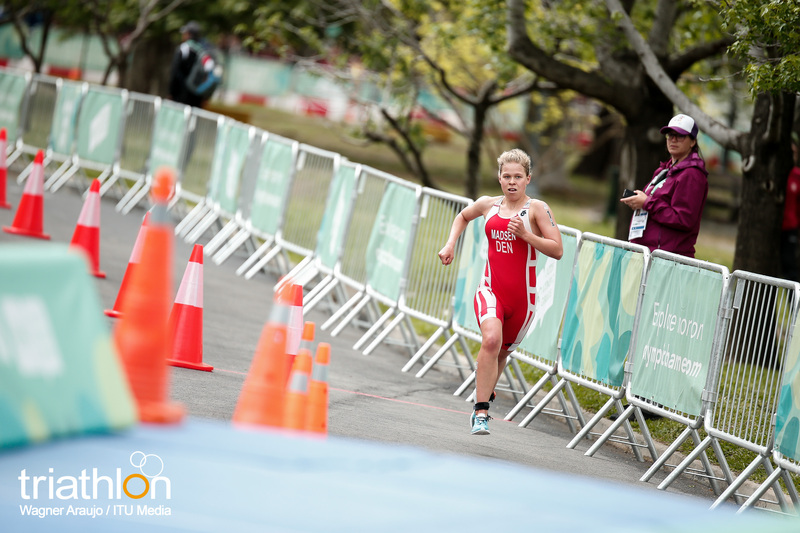 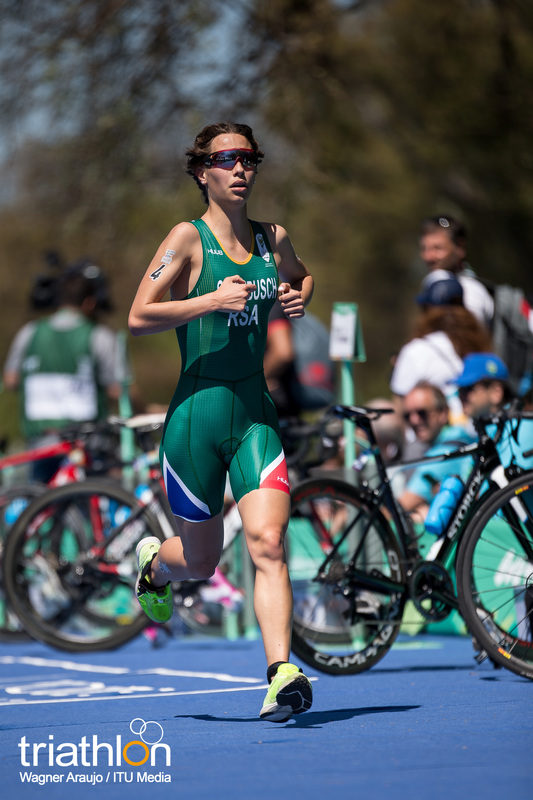 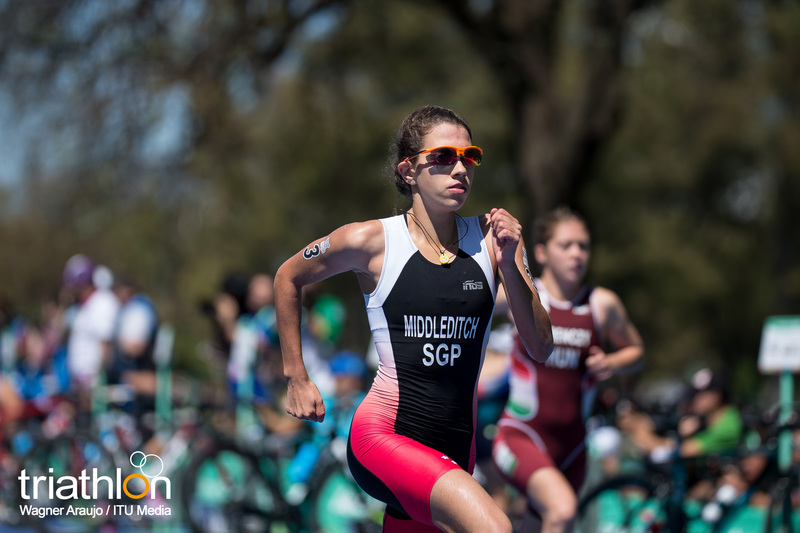 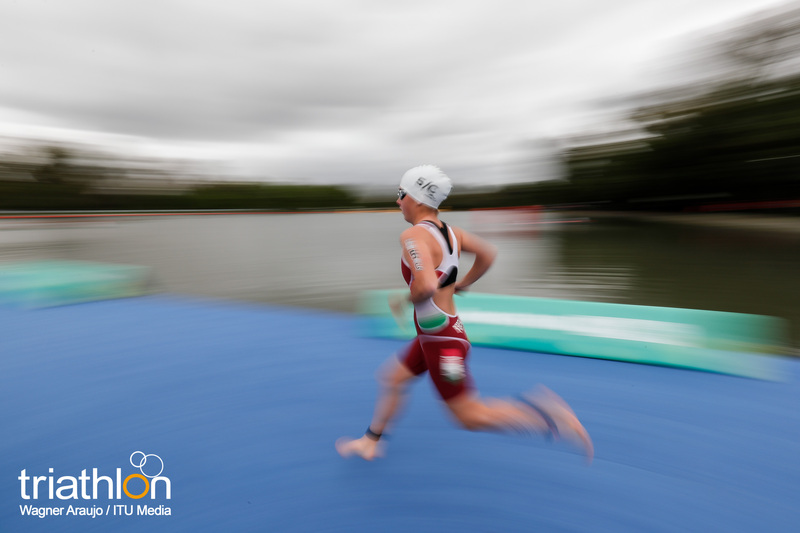 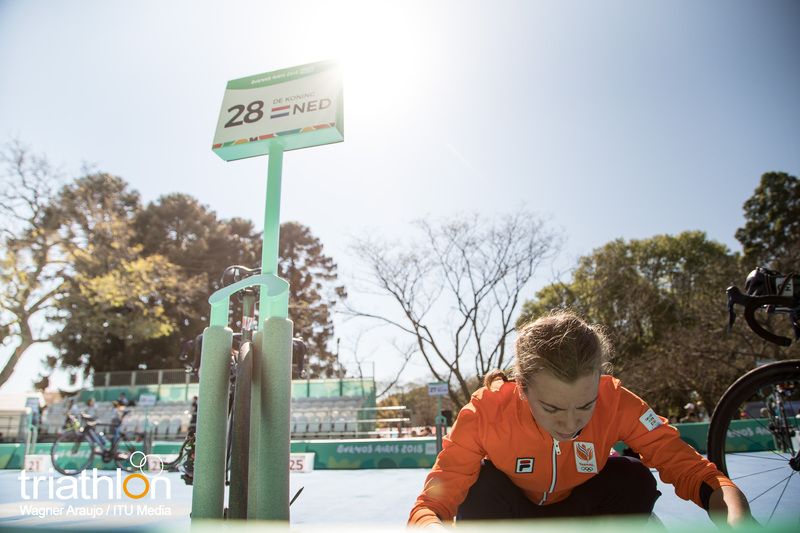 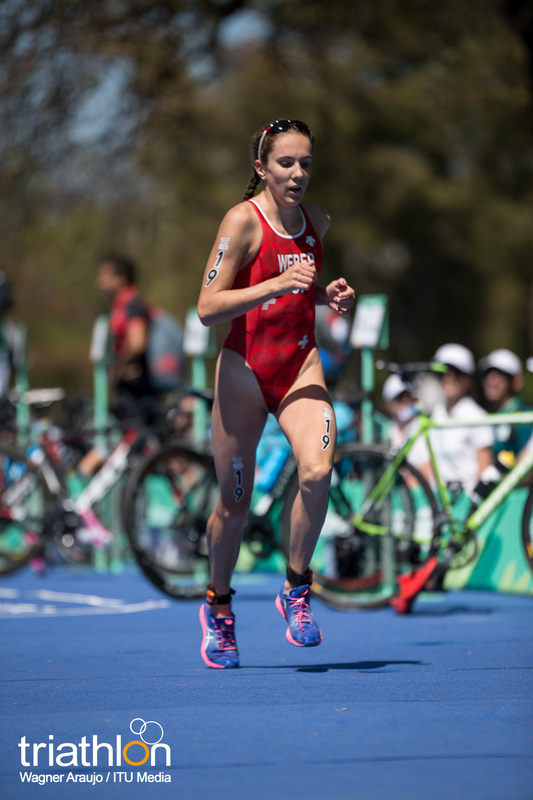 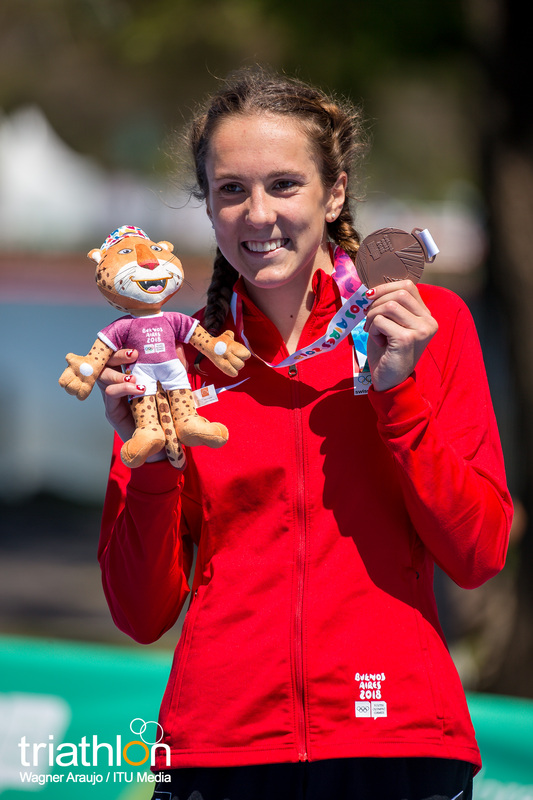 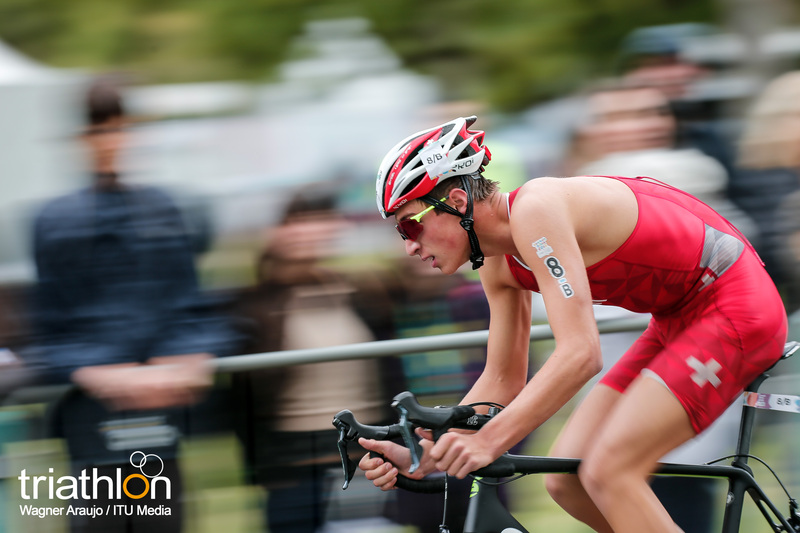 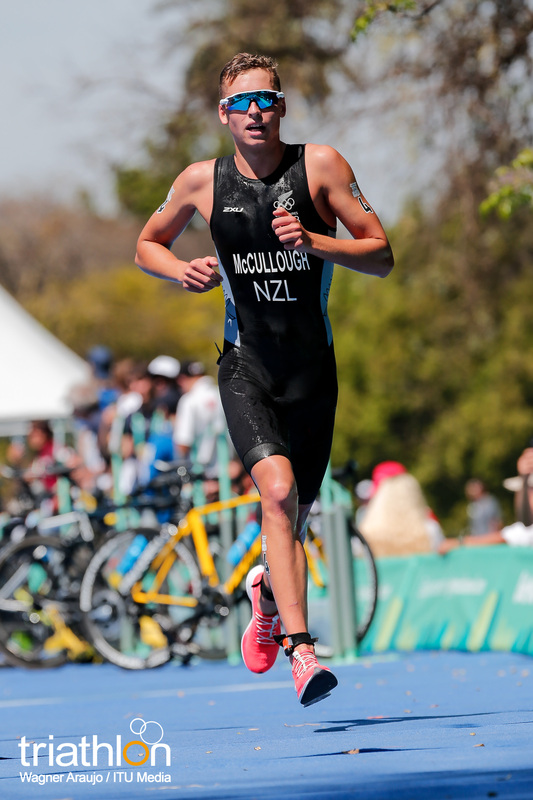 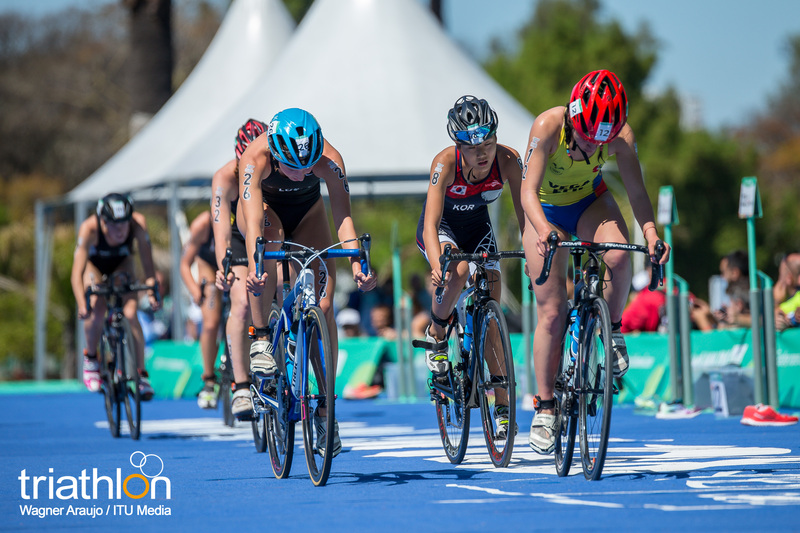 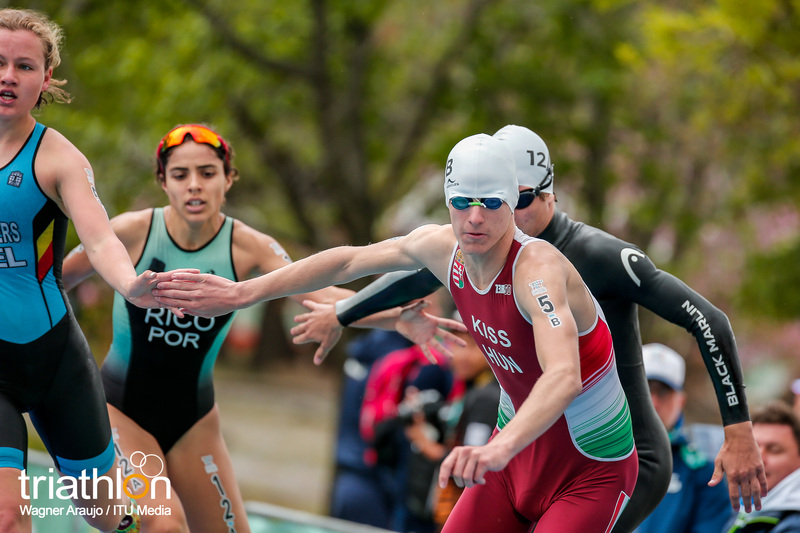 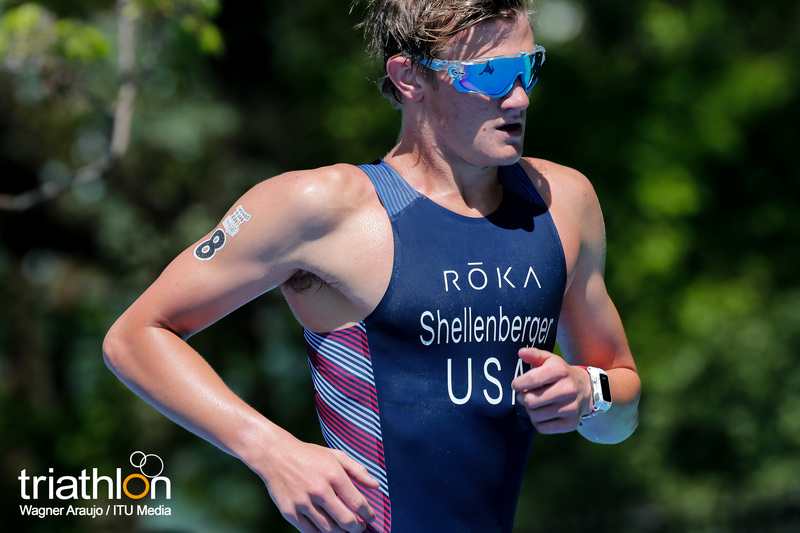 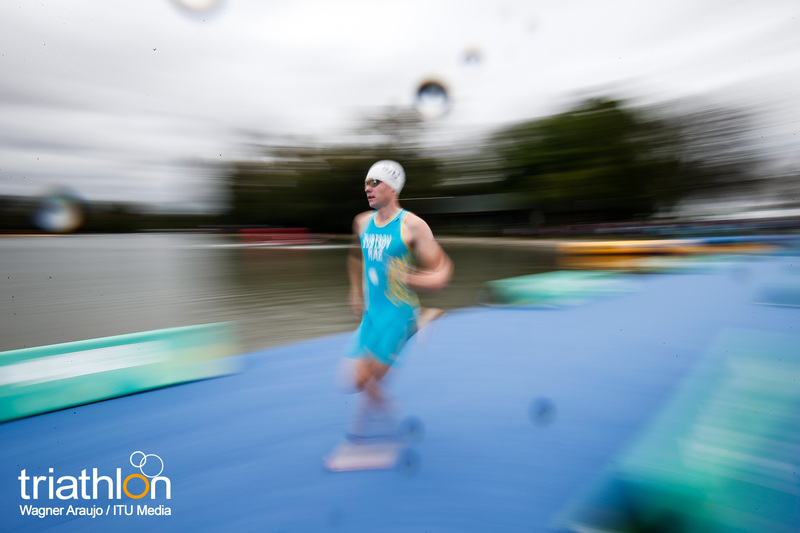 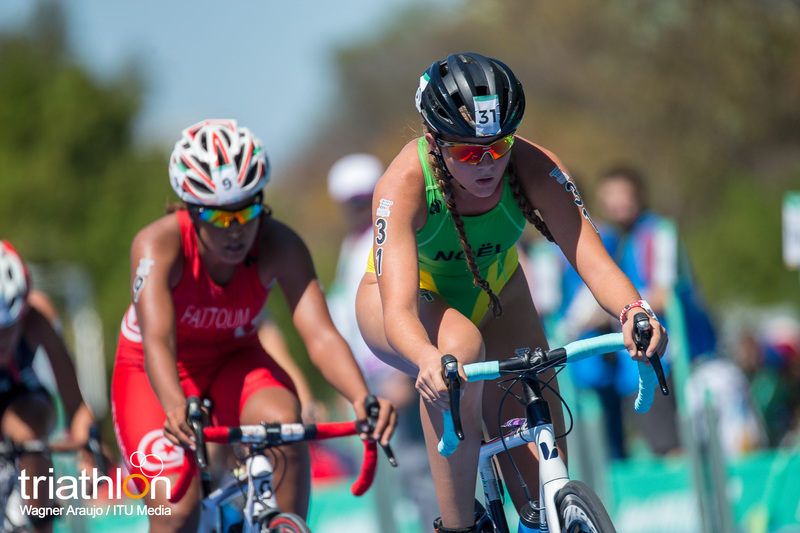 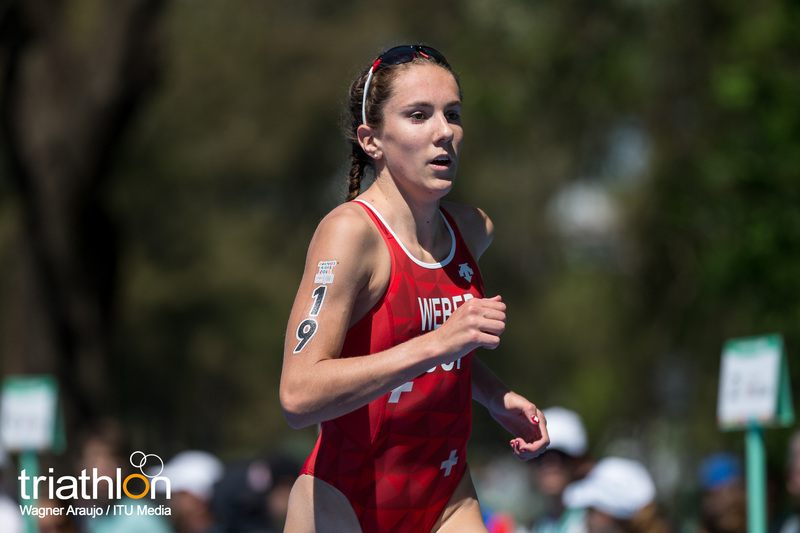 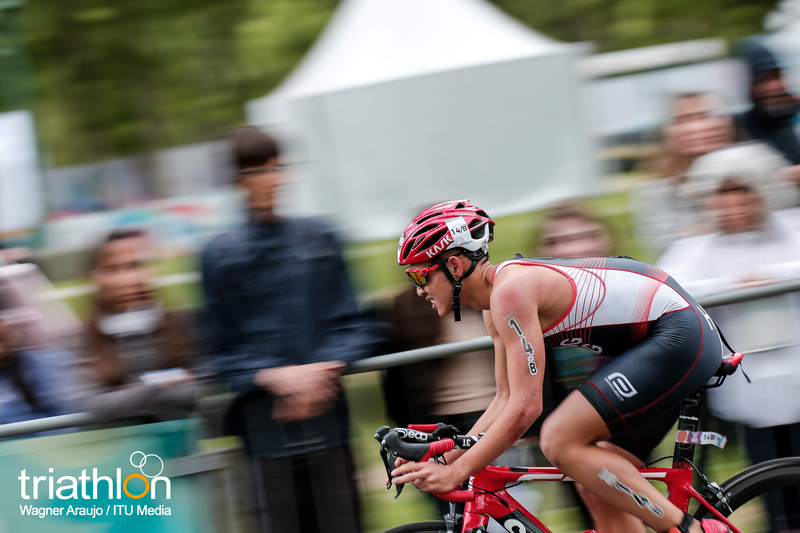 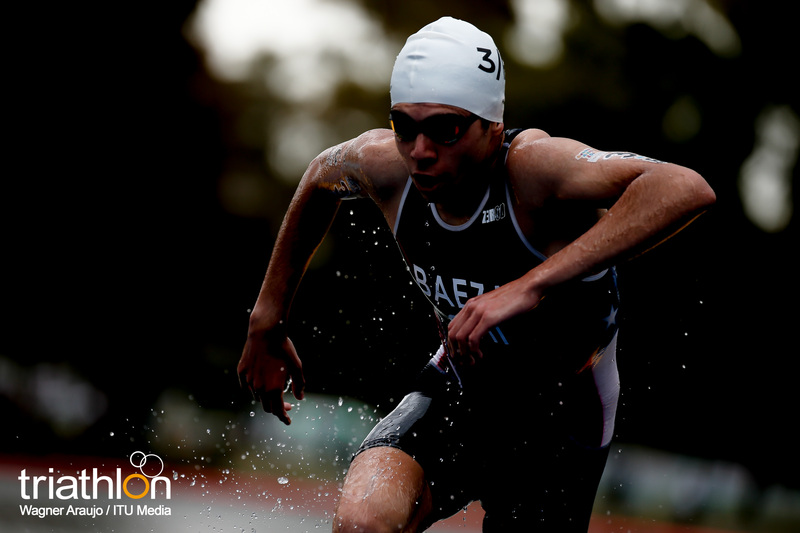 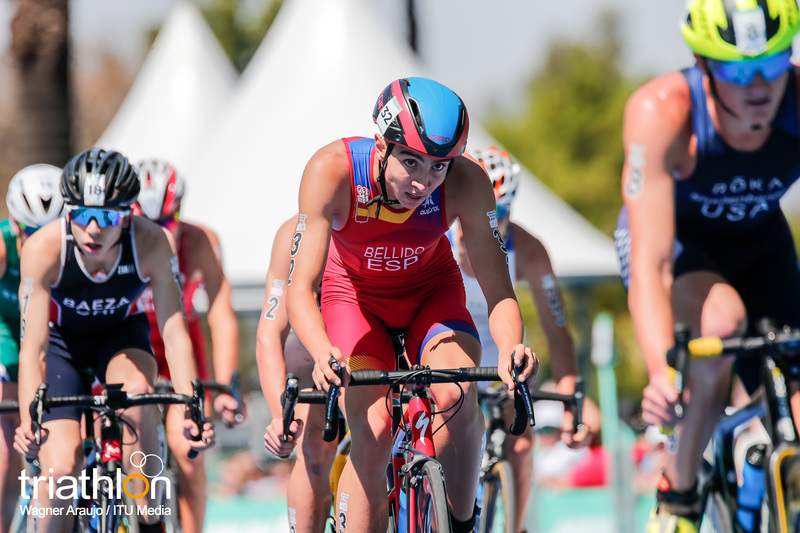 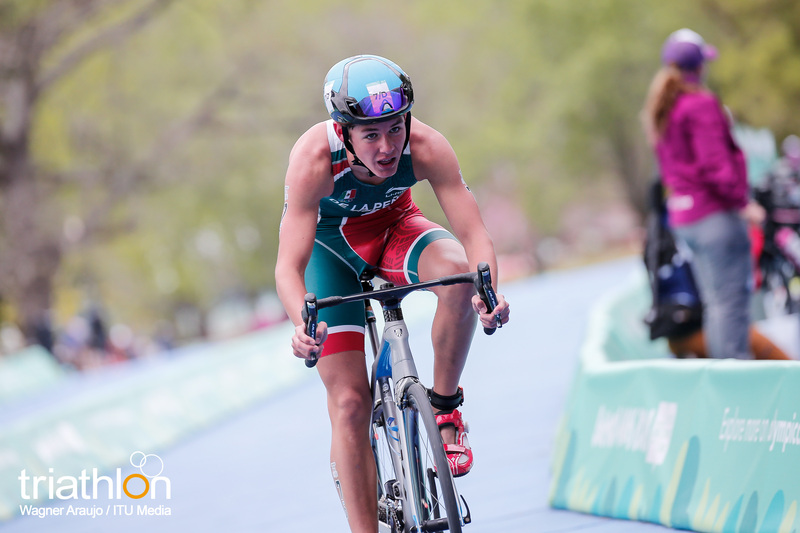 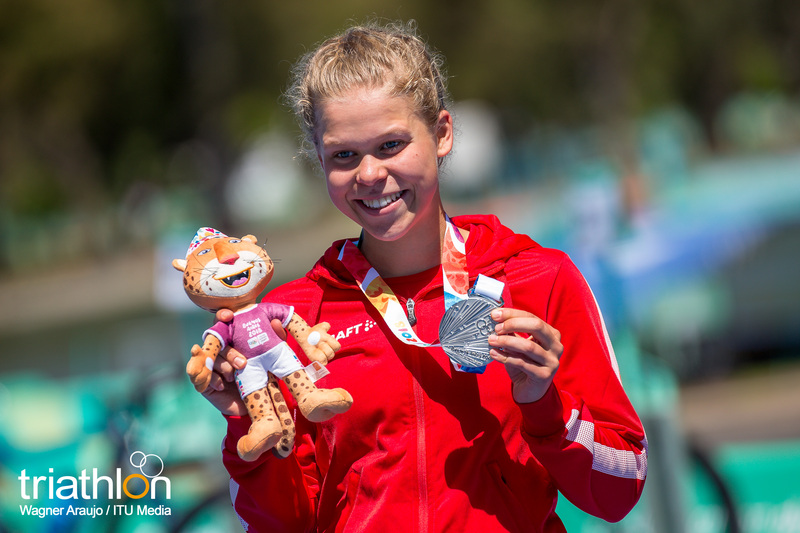 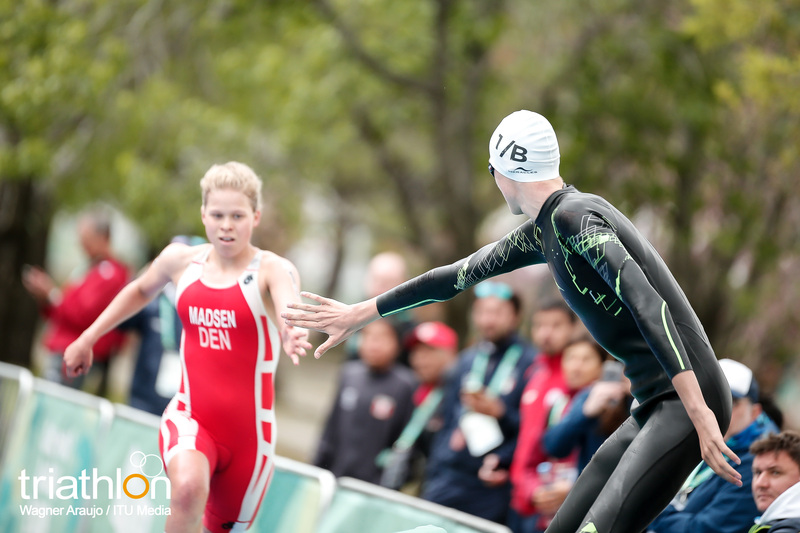 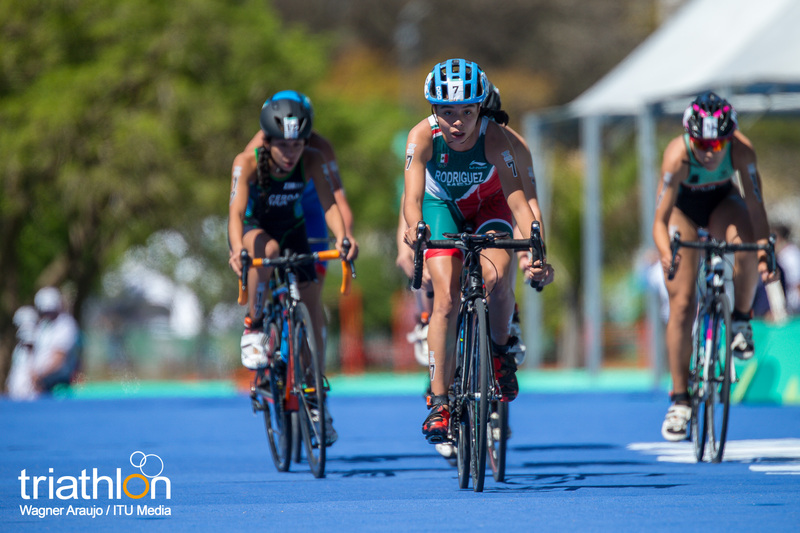 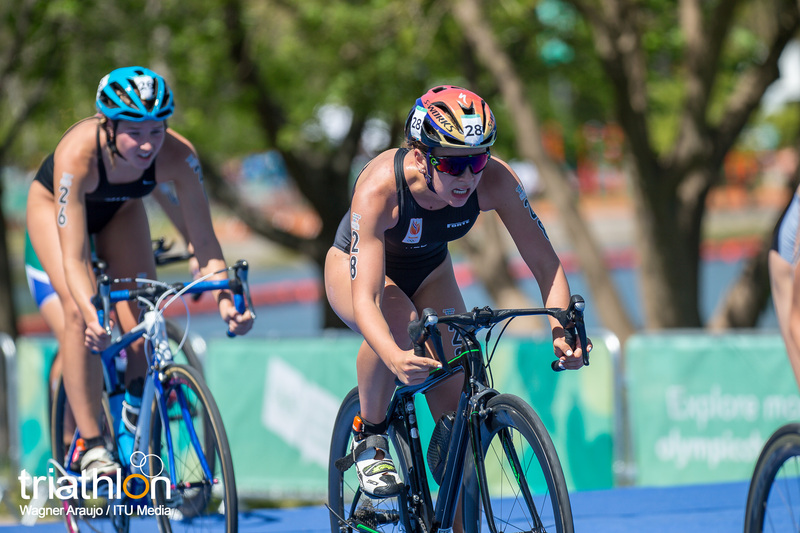 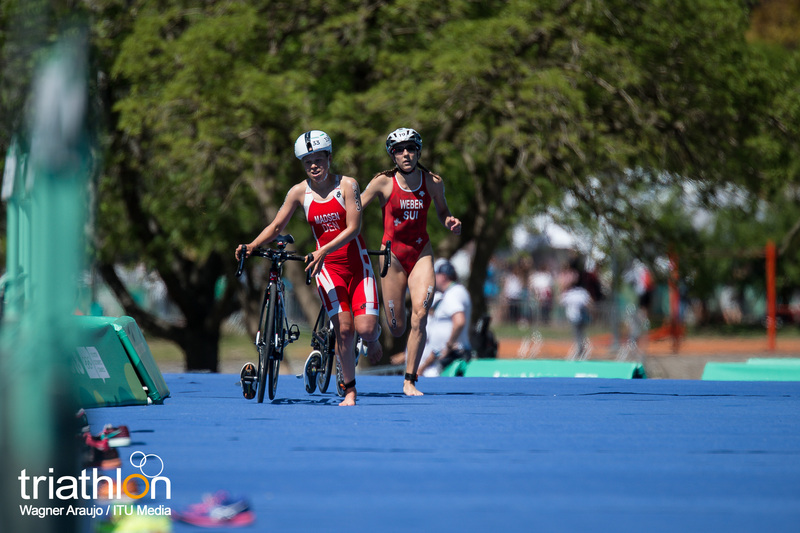 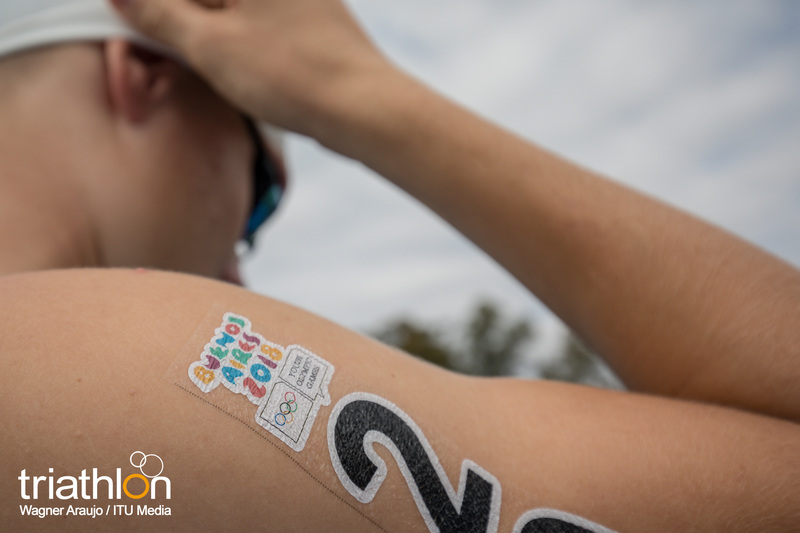 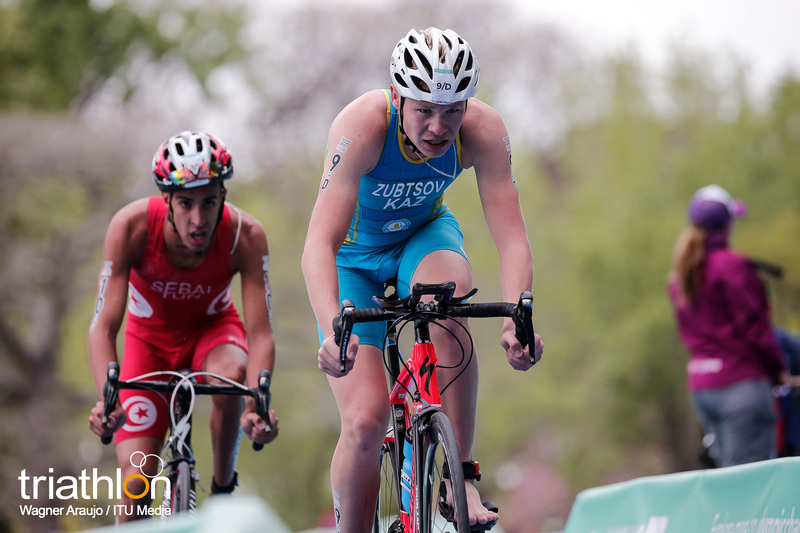 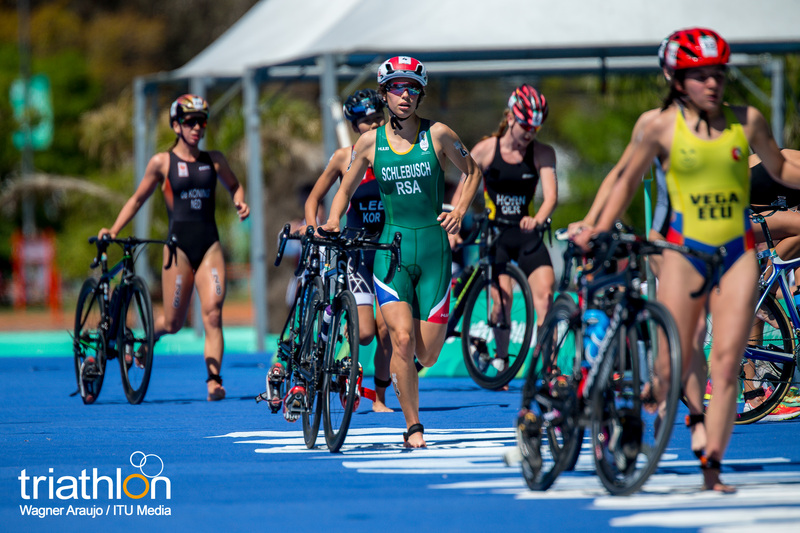 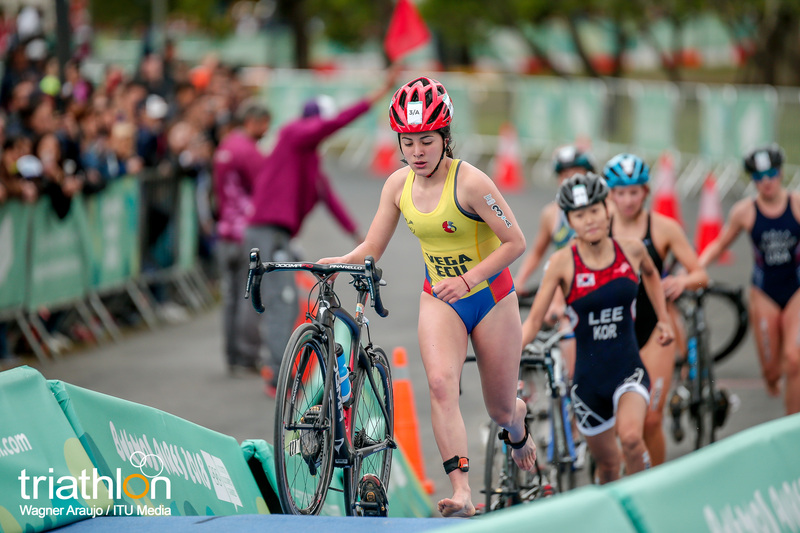 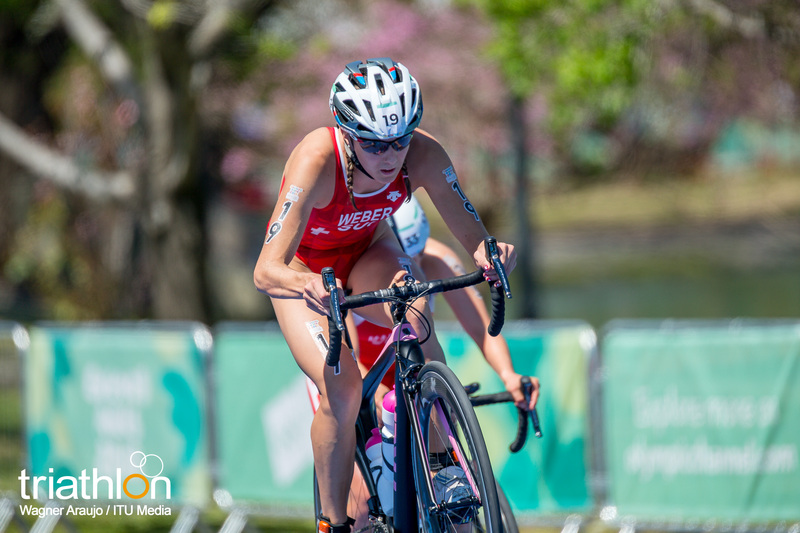 With a run split of 17 minutes and 15 seconds, Schlebusch earned her country’s first ever Youth Olympics triathlon medal. 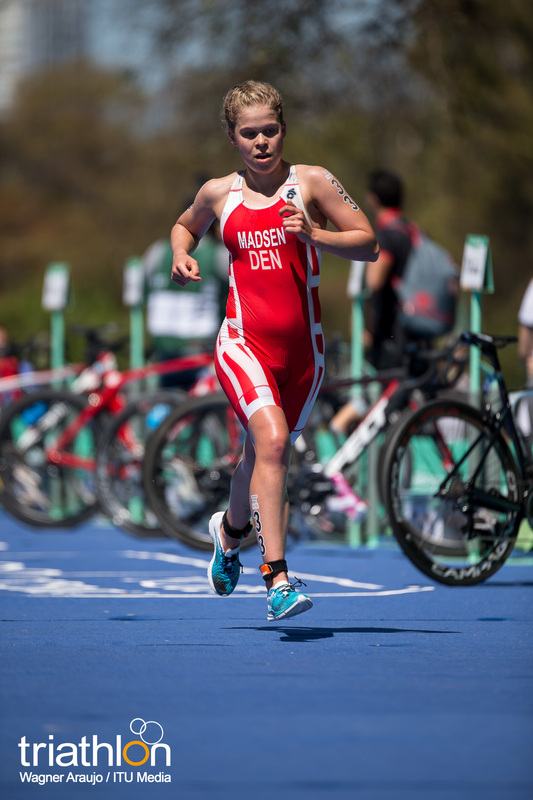 Second across the finish line was Danish Sif Bendix Madsen while Anja Weber (SUI) claimed bronze. 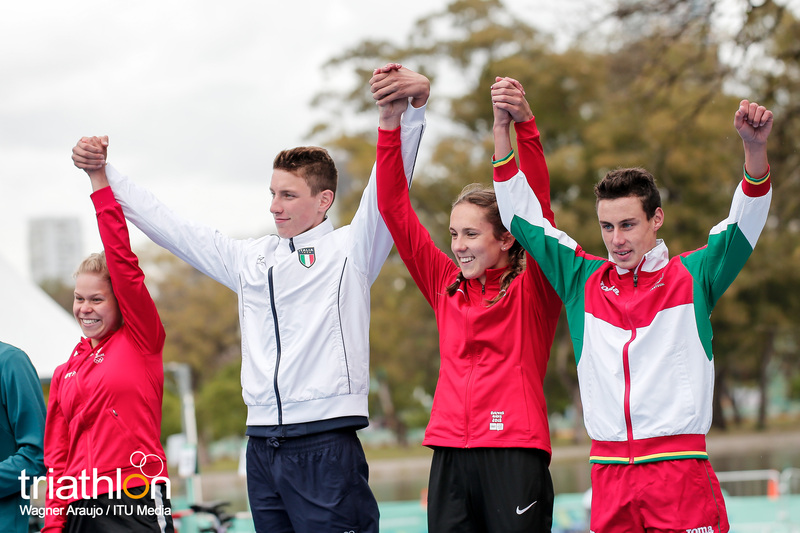 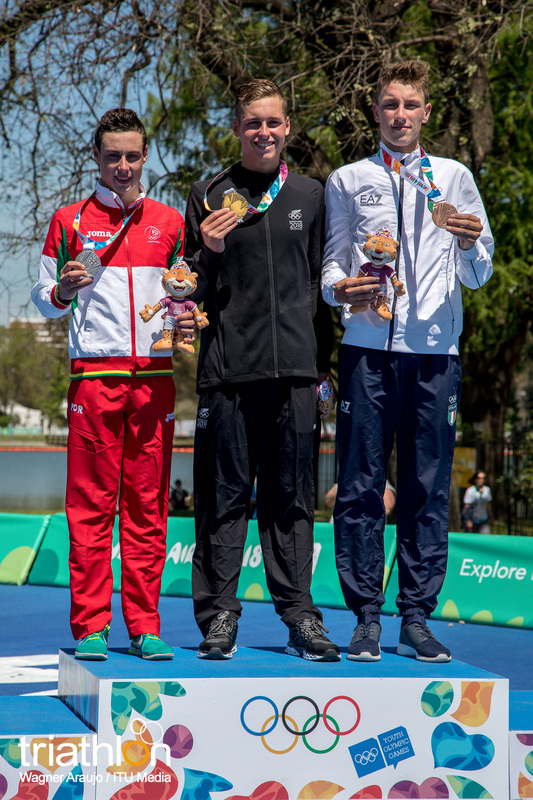 Remarkably, all three athletes on the podium were born in the very same week of July 2001. 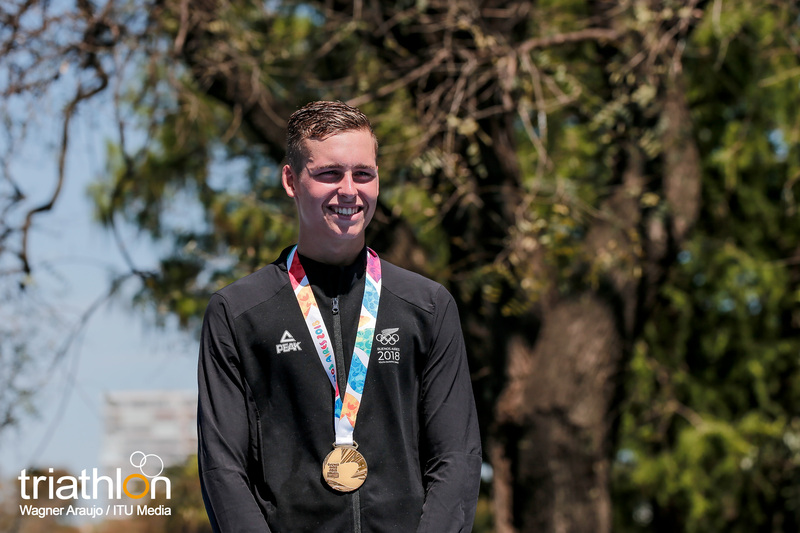 “I’m in this sort of disbelief right now, it feels amazing. 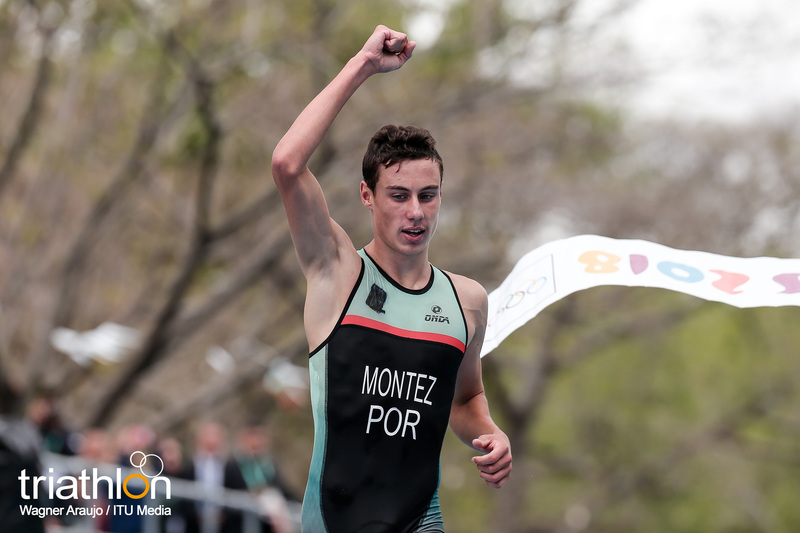 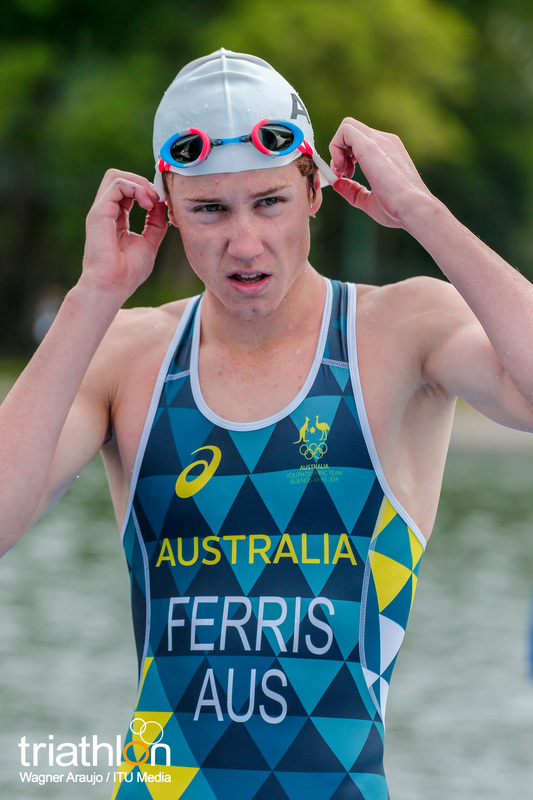 Now I can say I’m the Youth Olympic champion, it’s a pretty good title to have so I’m really stoked. 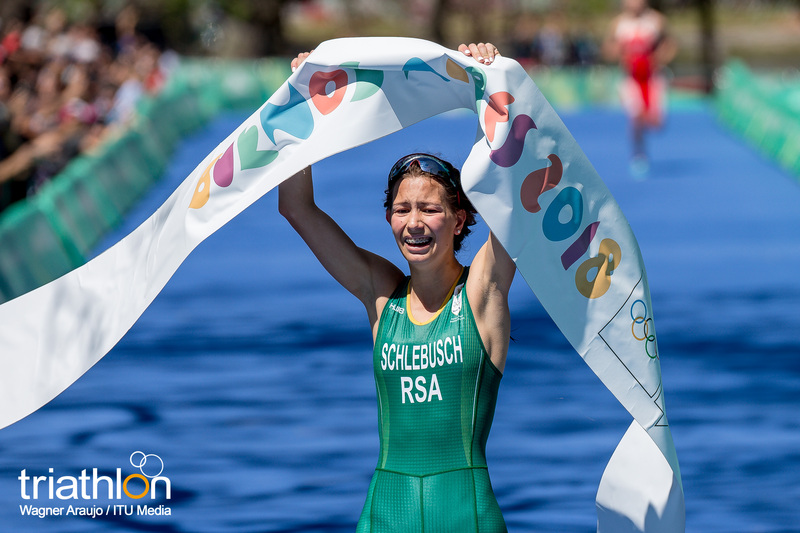 I have no words”, said a delighted Schlebusch after crossing the finish line. 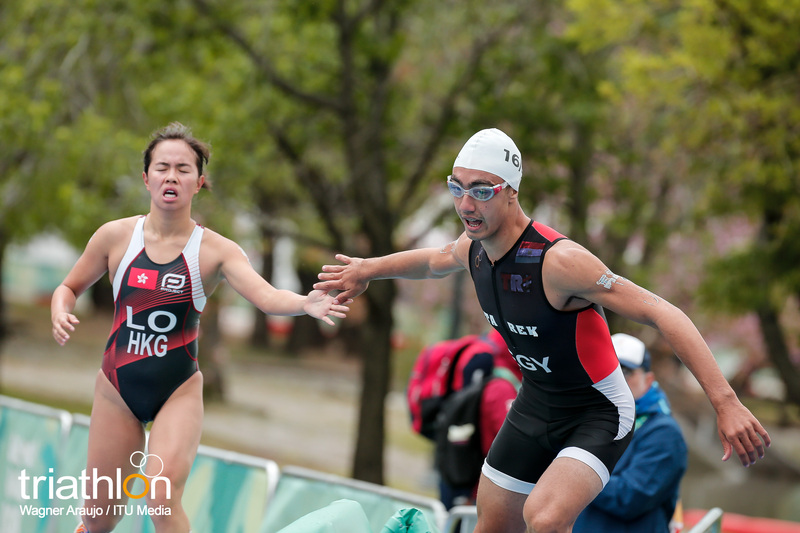 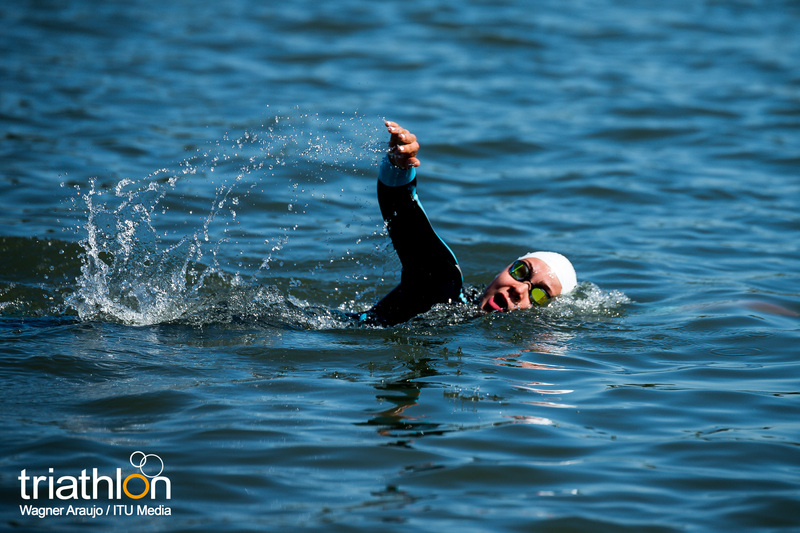 “It was a bad swim but then I caught up on the run, I’m really really happy to end up feeling really strong”, she said. 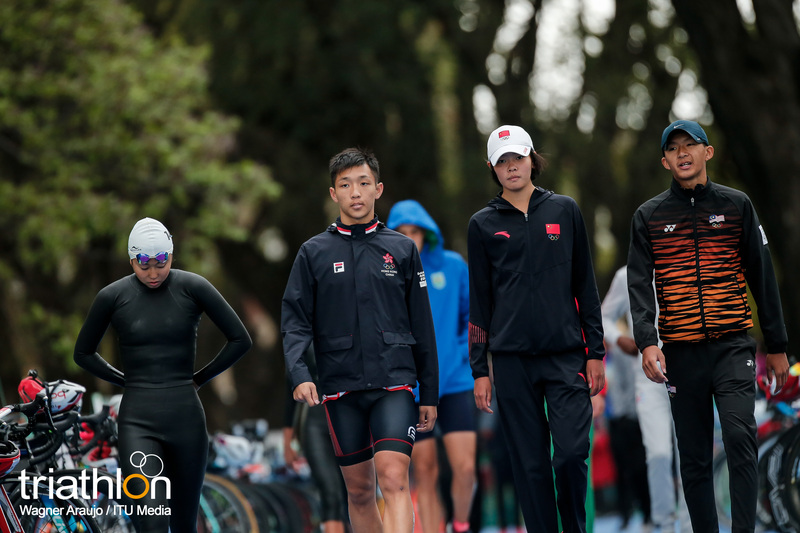 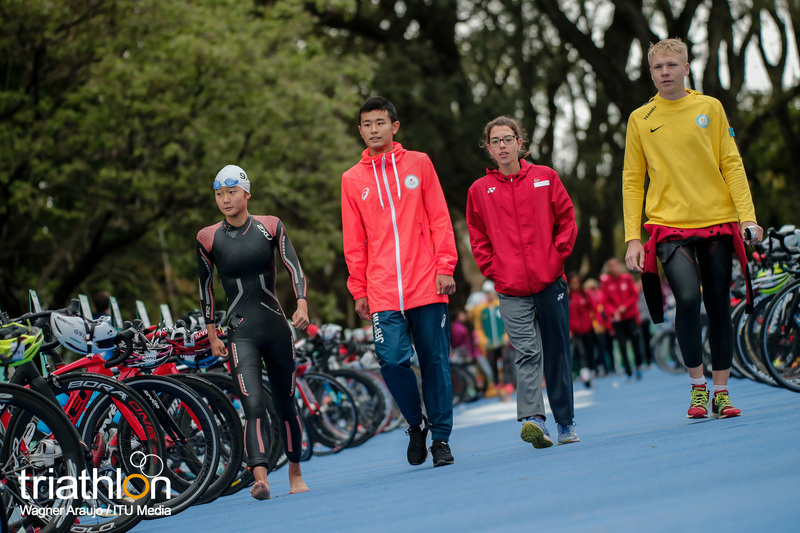 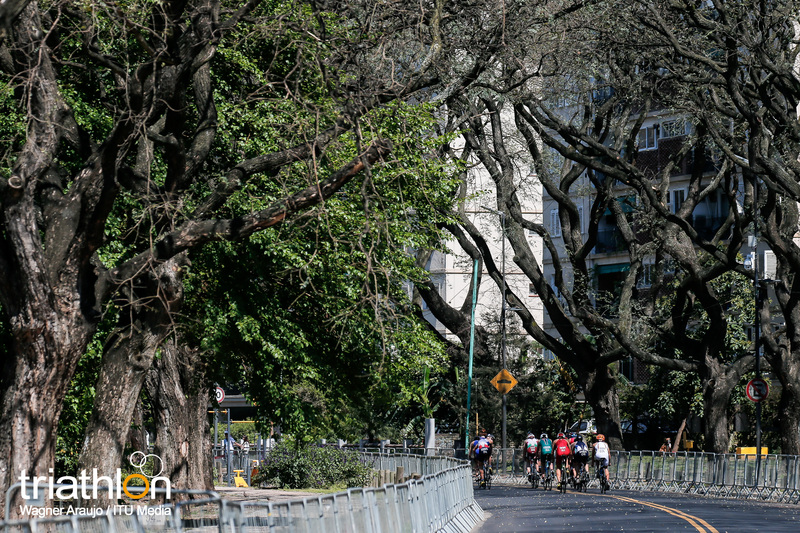 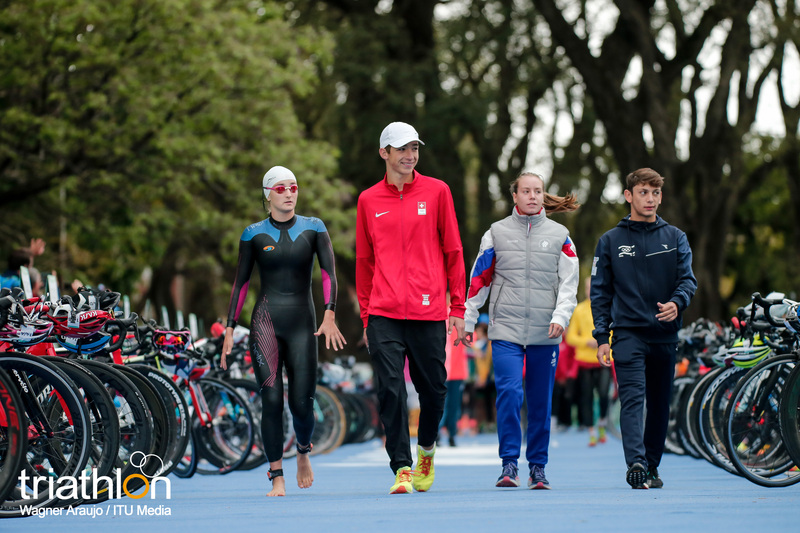 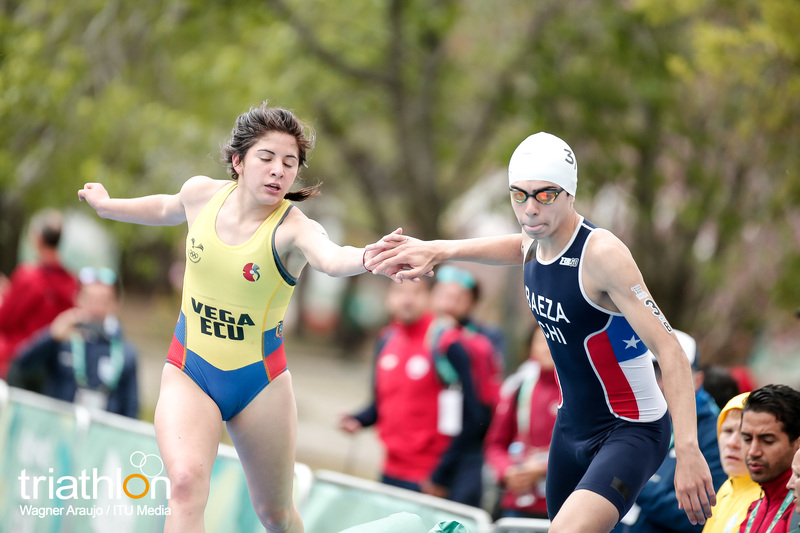 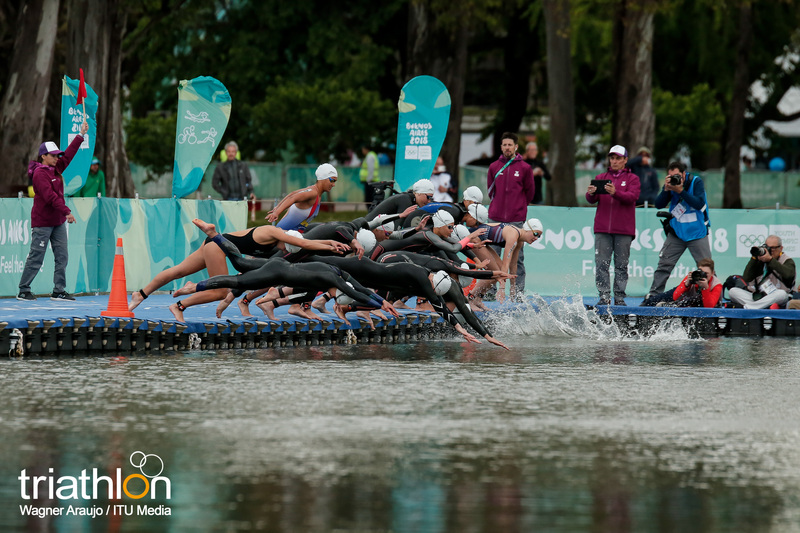 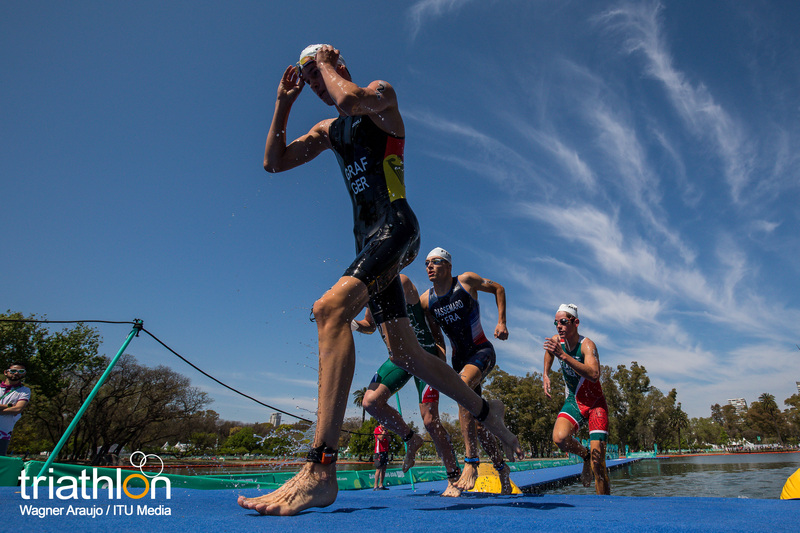 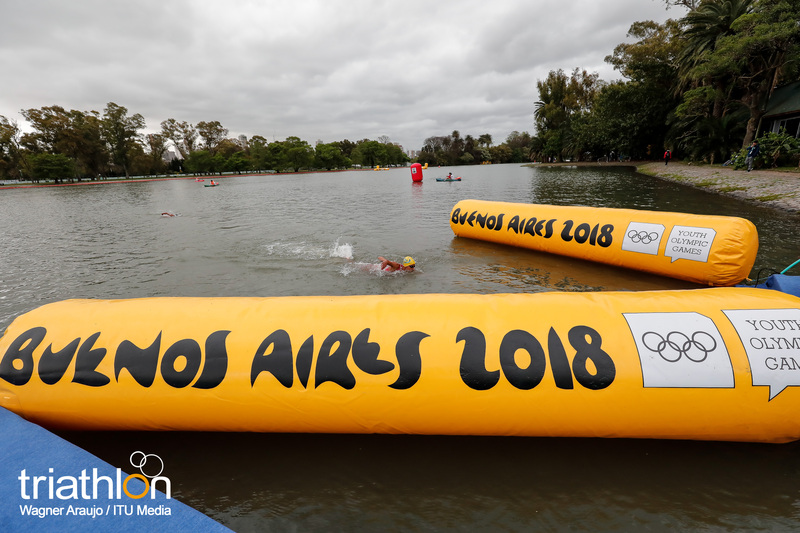 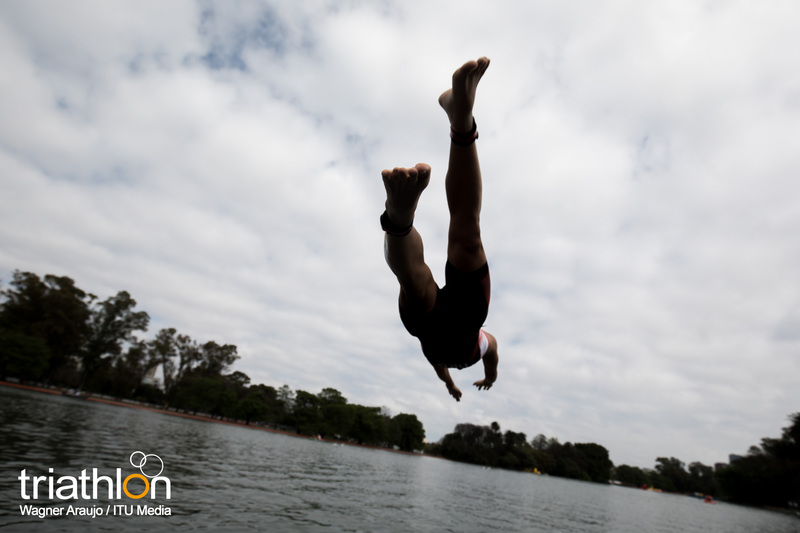 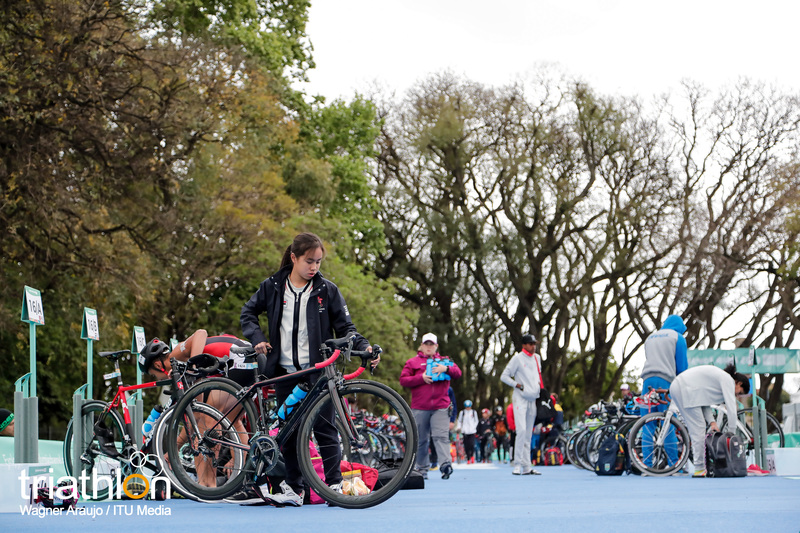 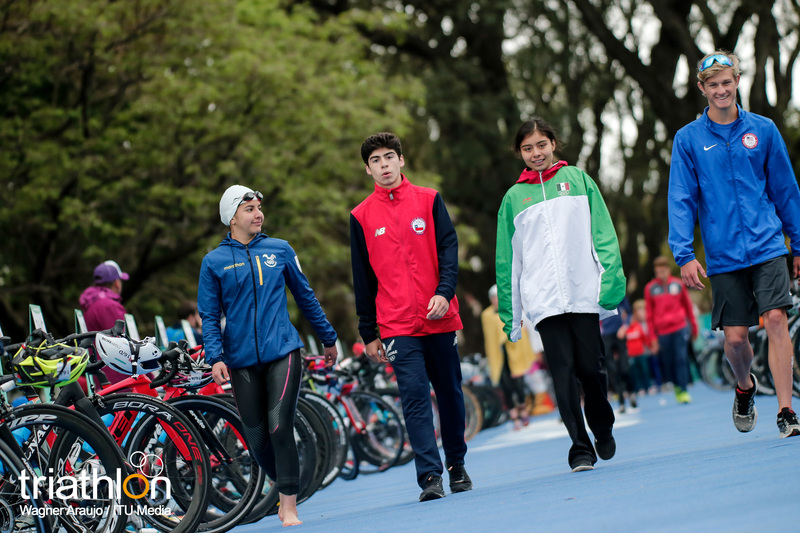 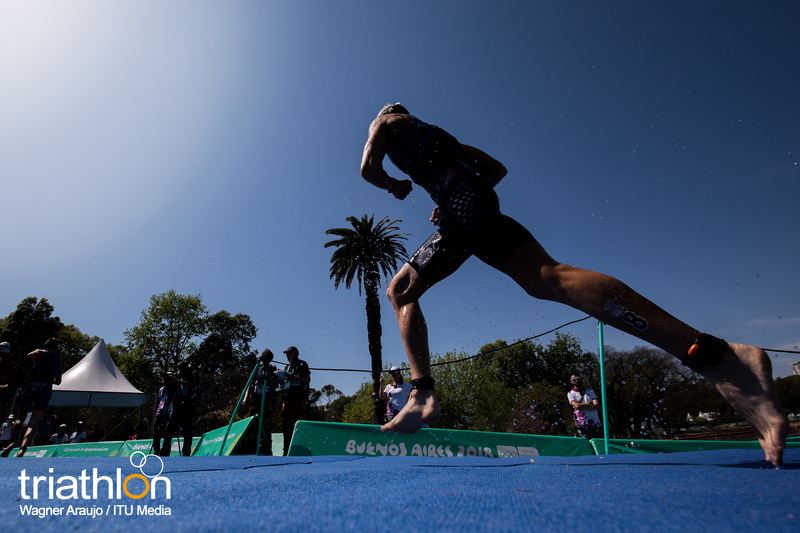 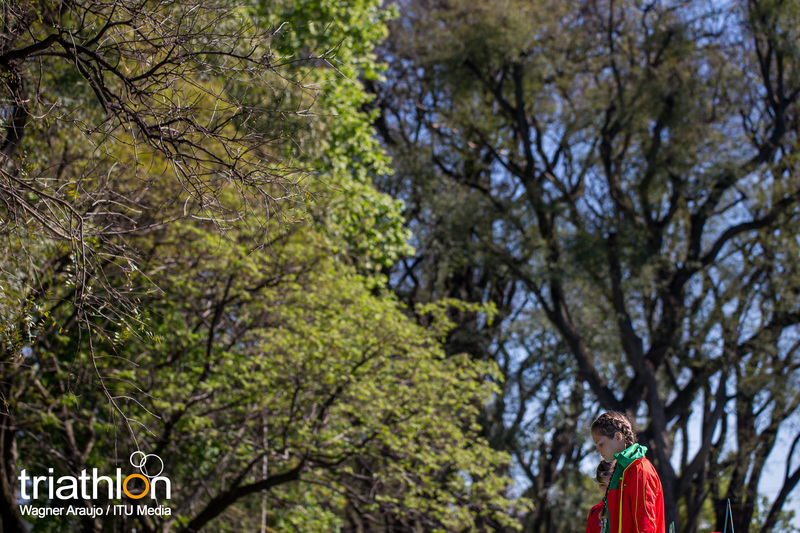 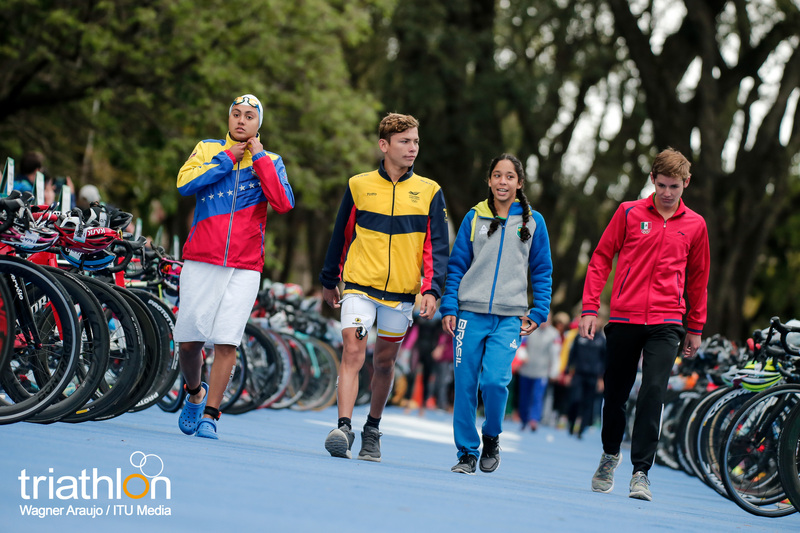 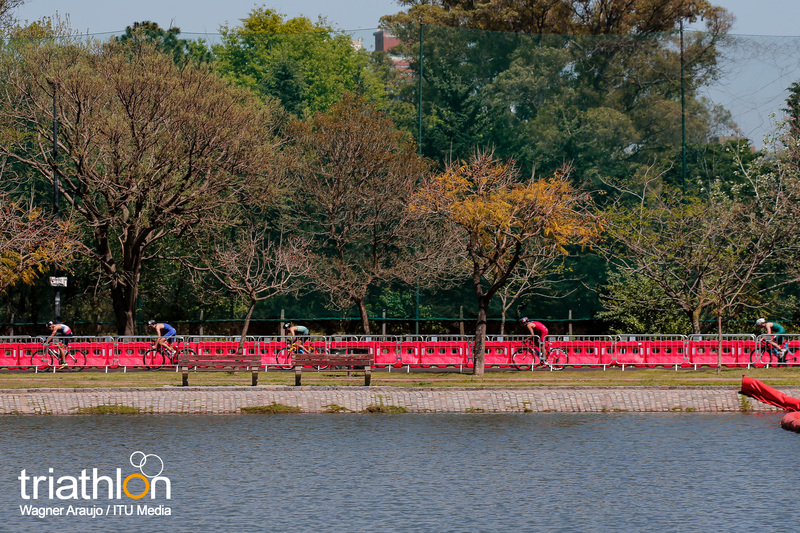 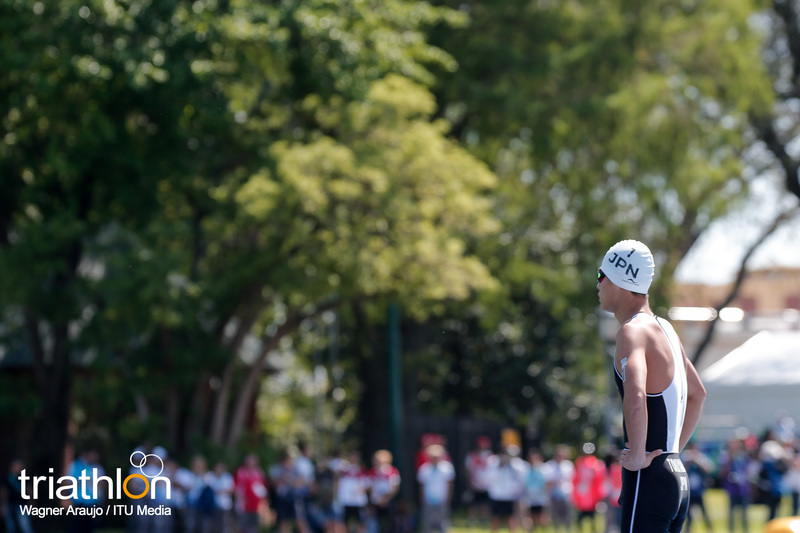 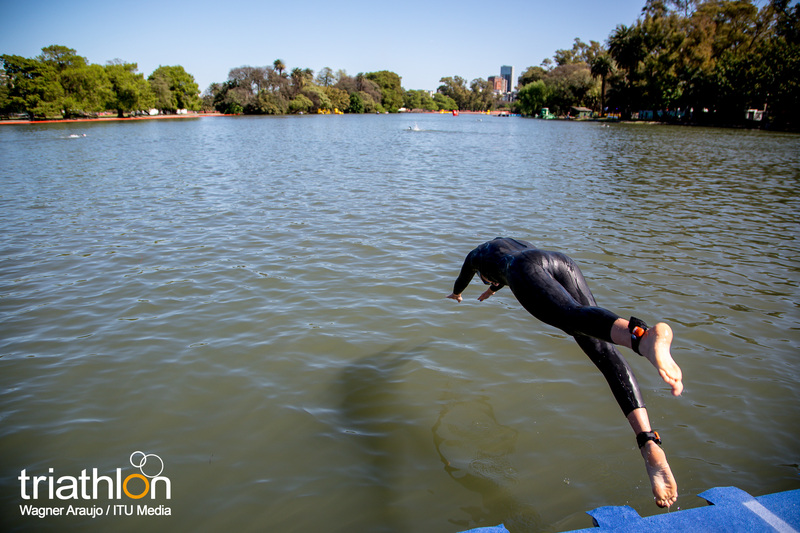 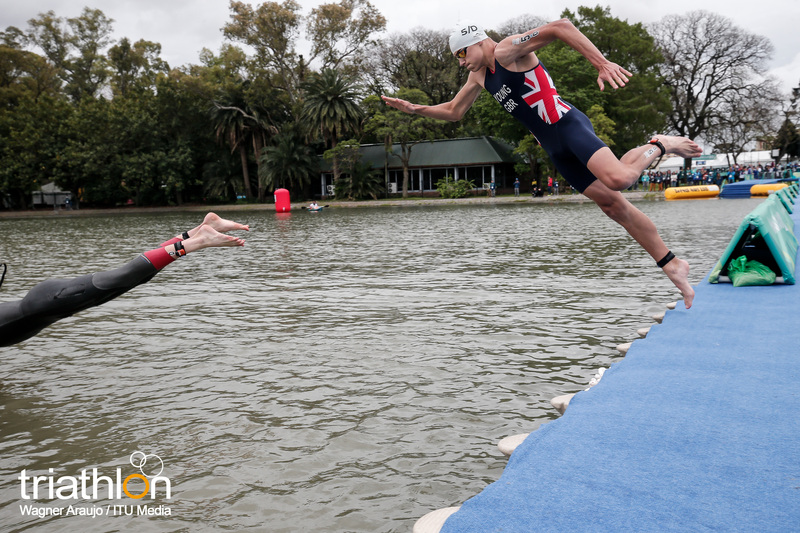 The race started on a sunny morning in Buenos Aires but the chilly water, at 18.9 degrees, saw all athletes wear a wetsuit except China’s brave young Xingying Yu. 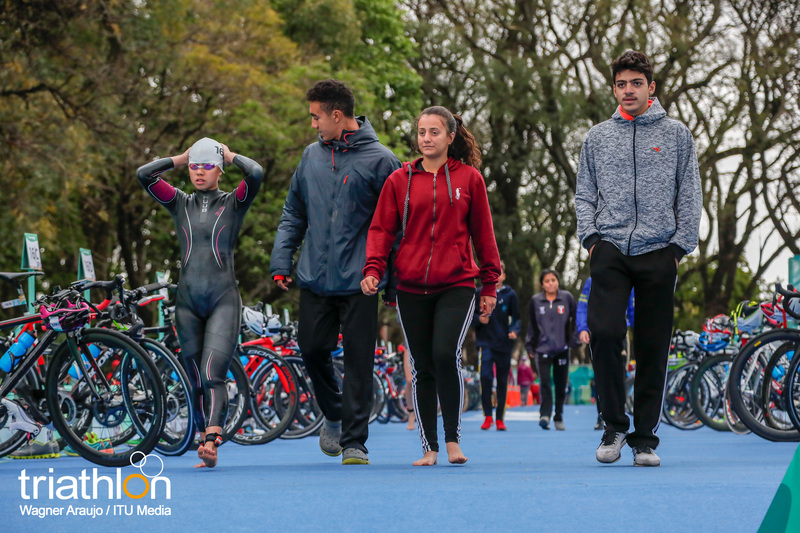 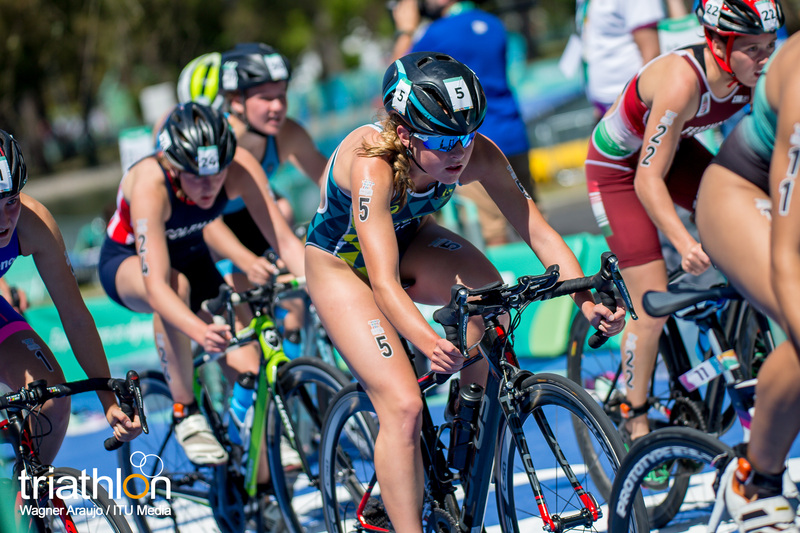 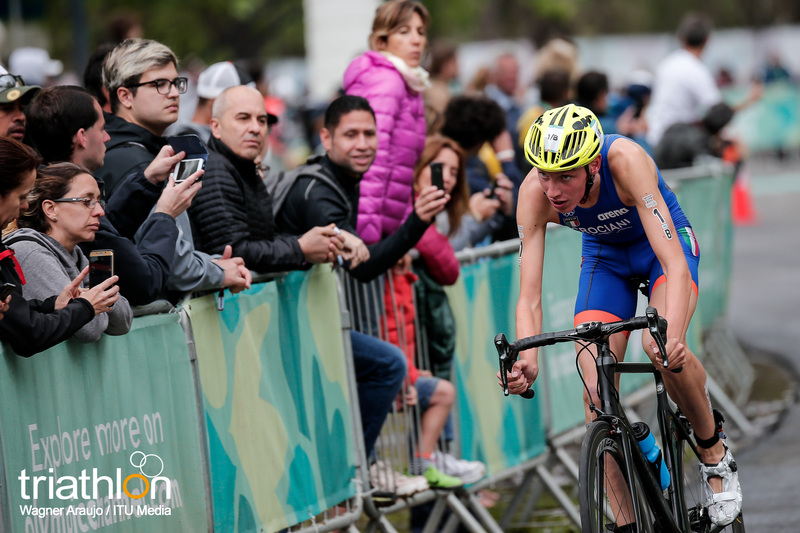 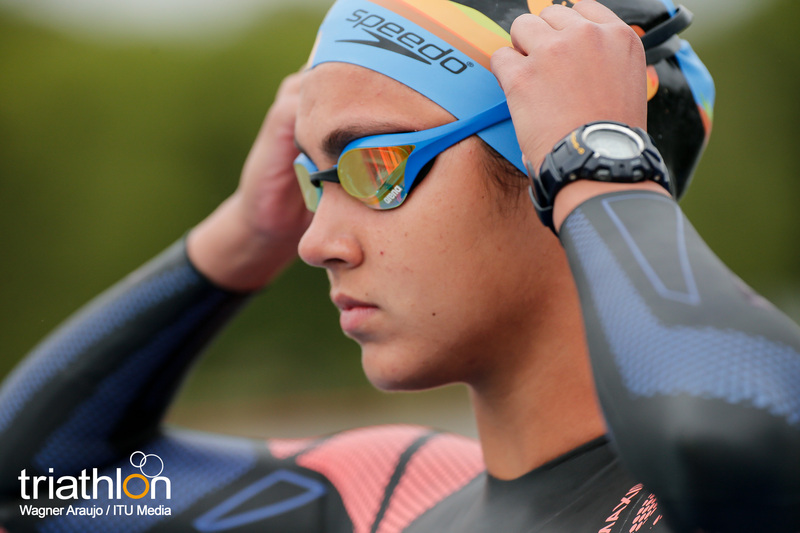 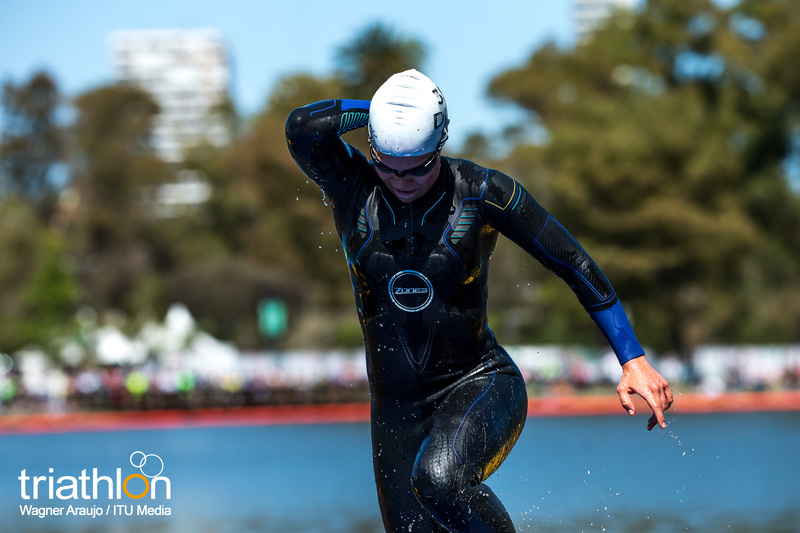 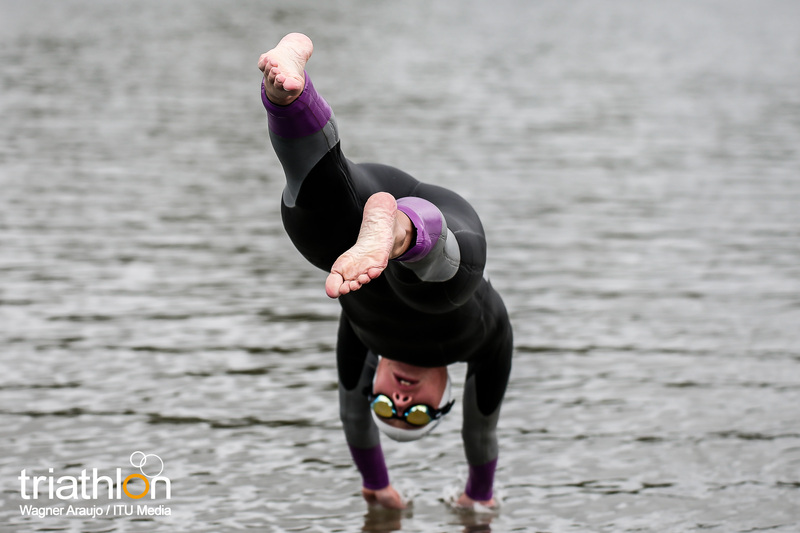 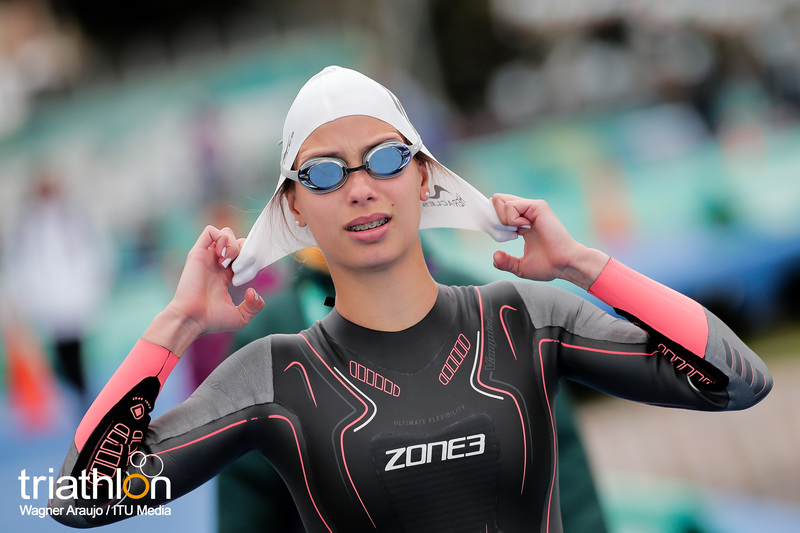 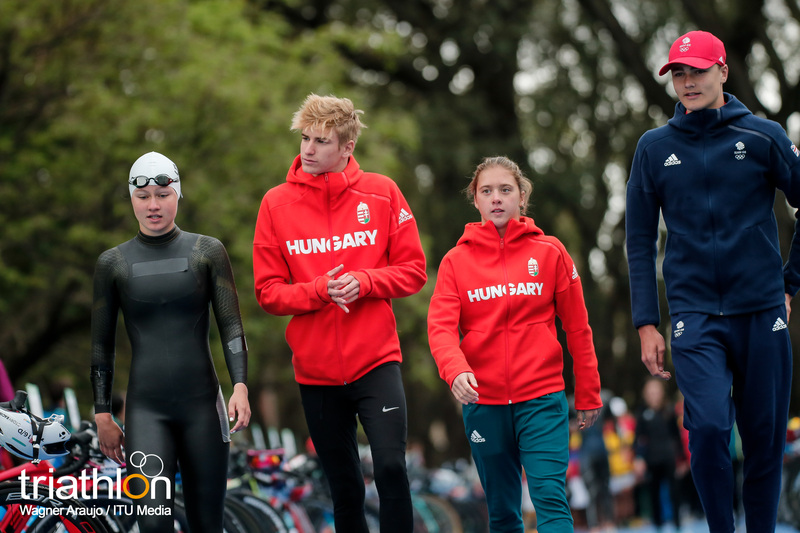 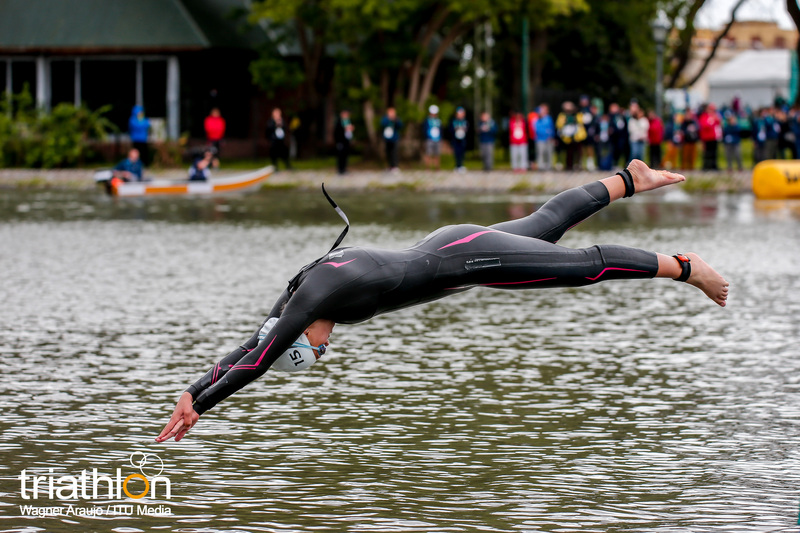 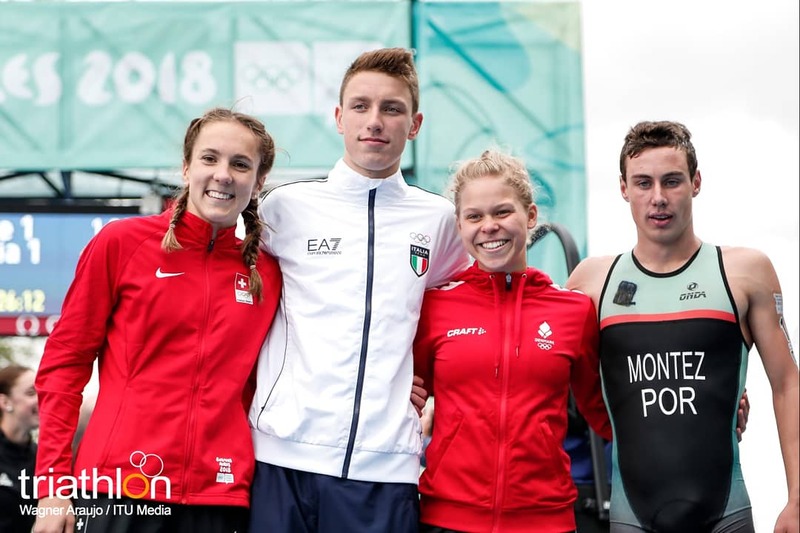 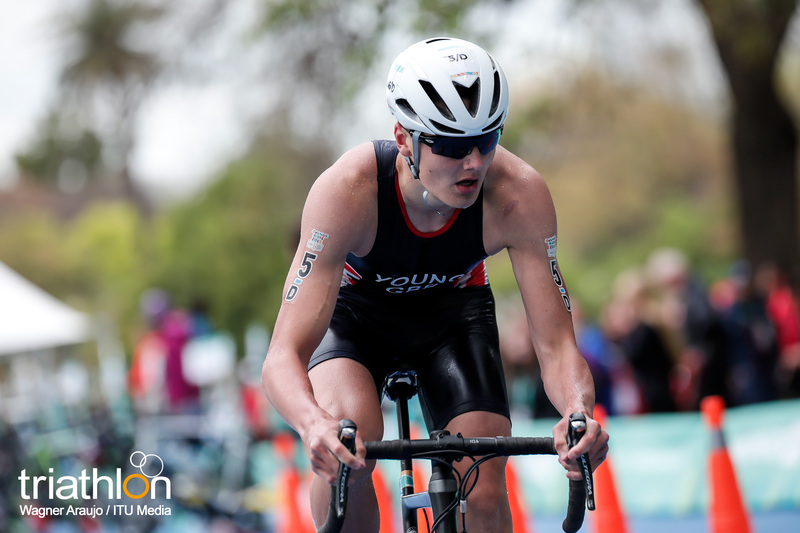 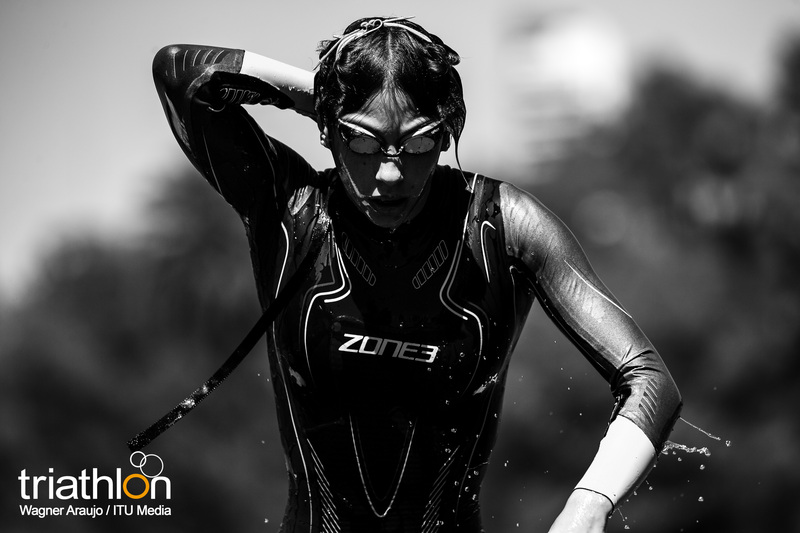 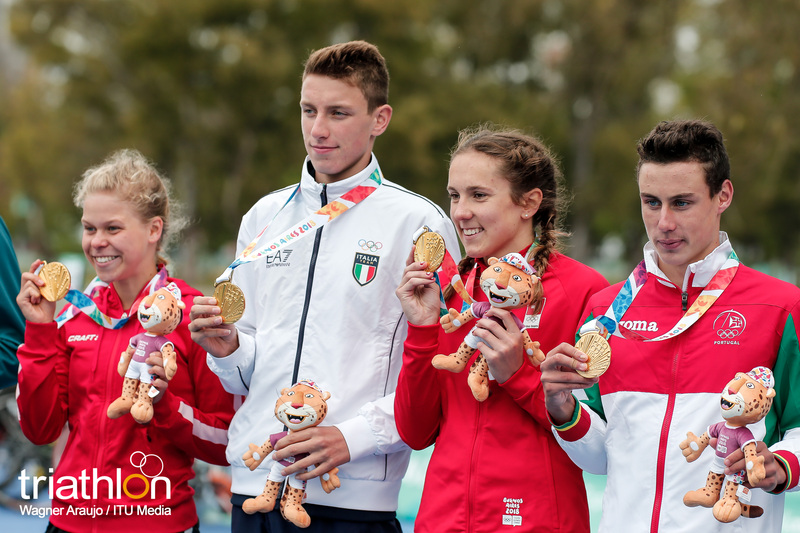 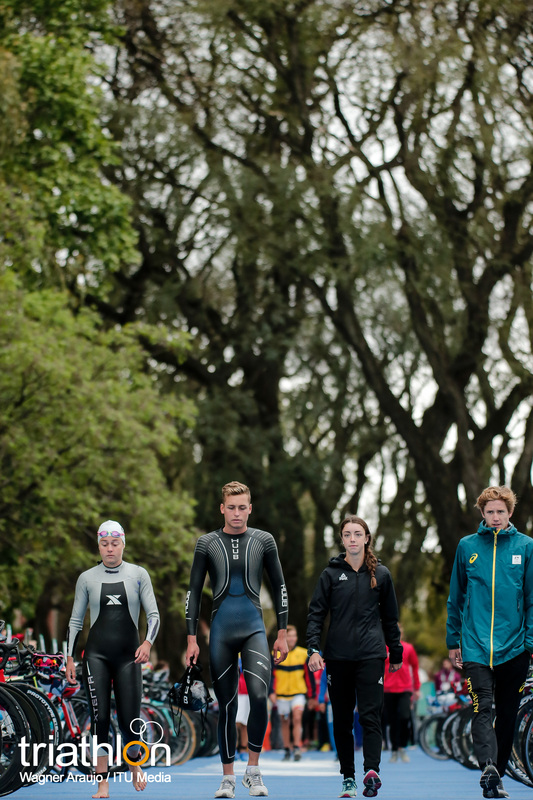 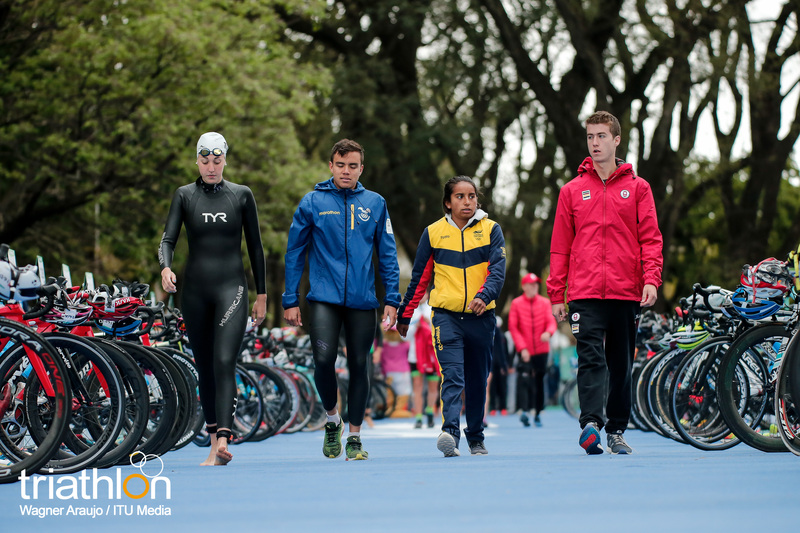 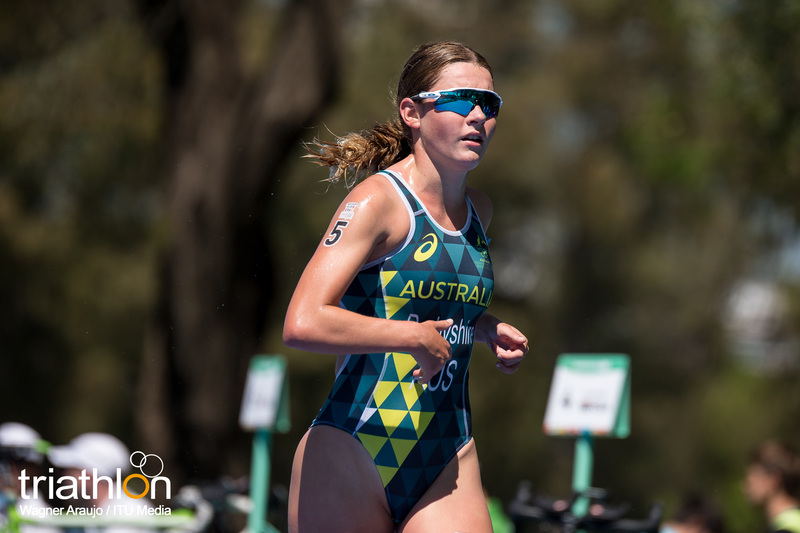 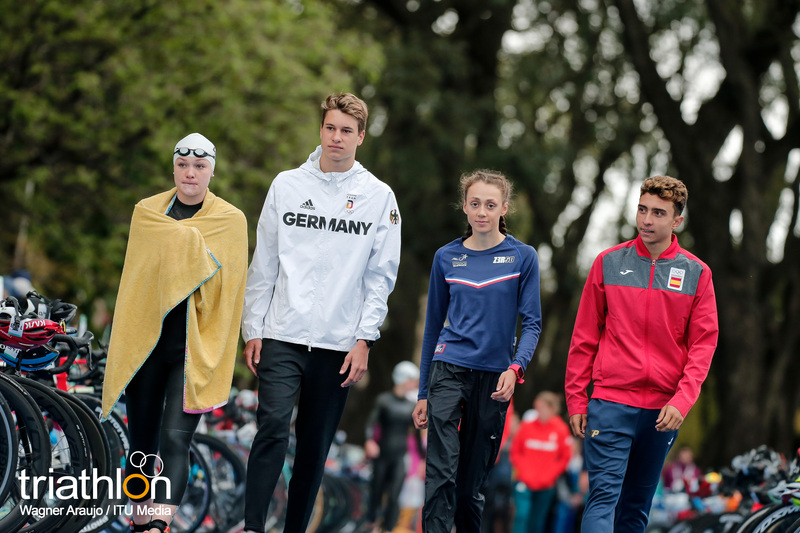 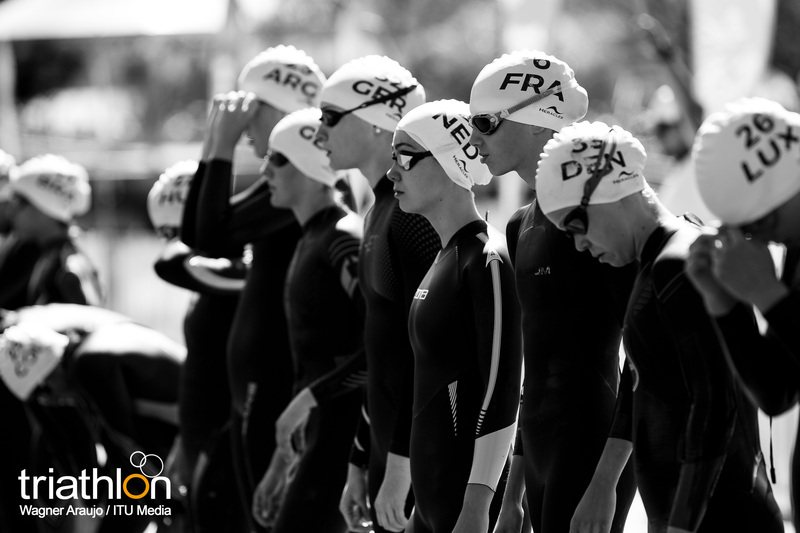 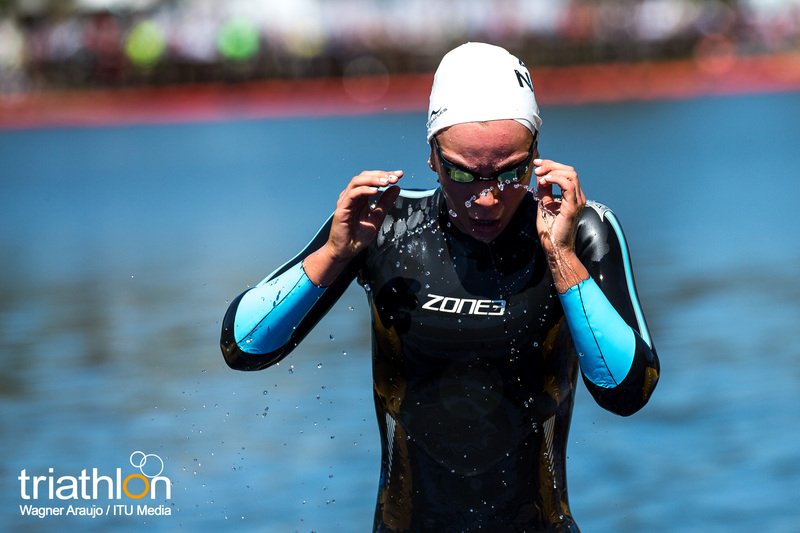 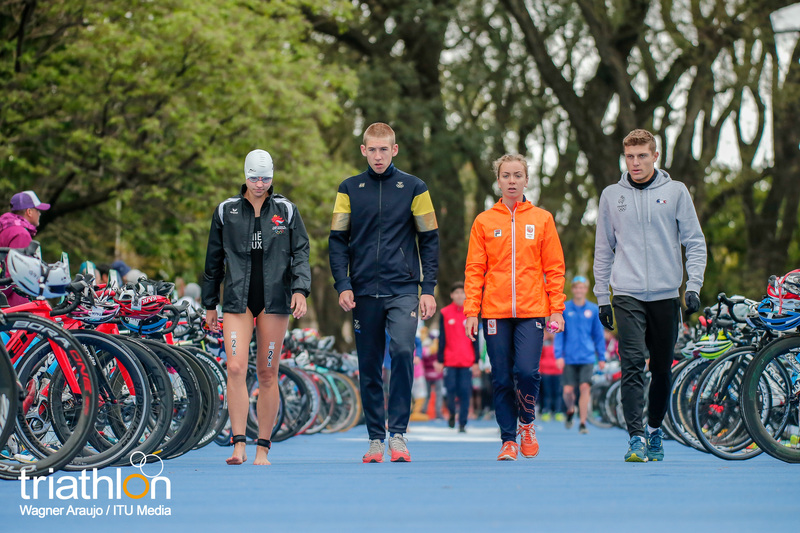 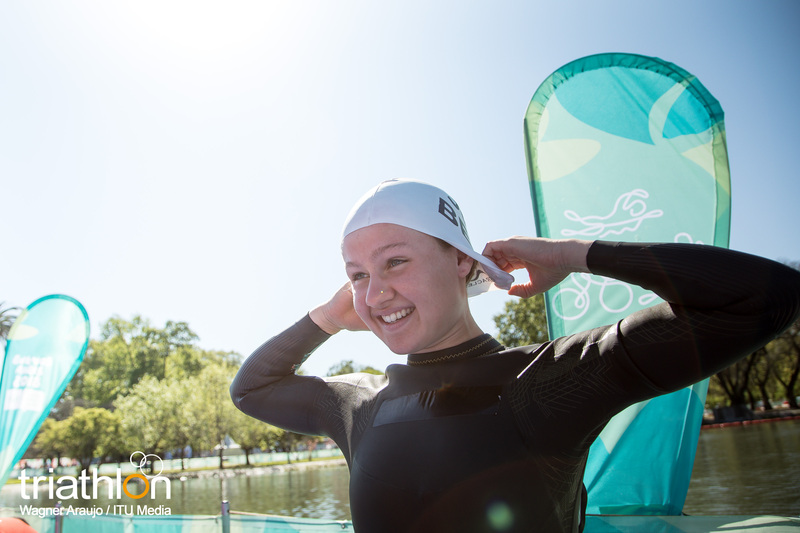 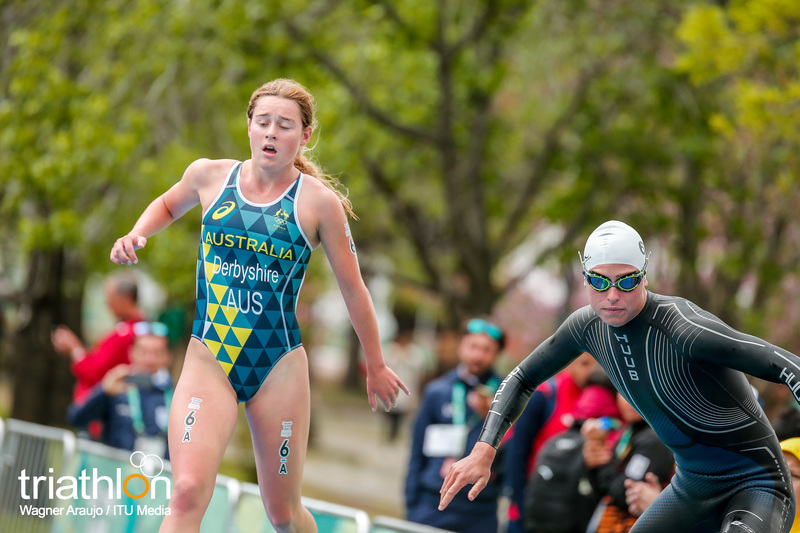 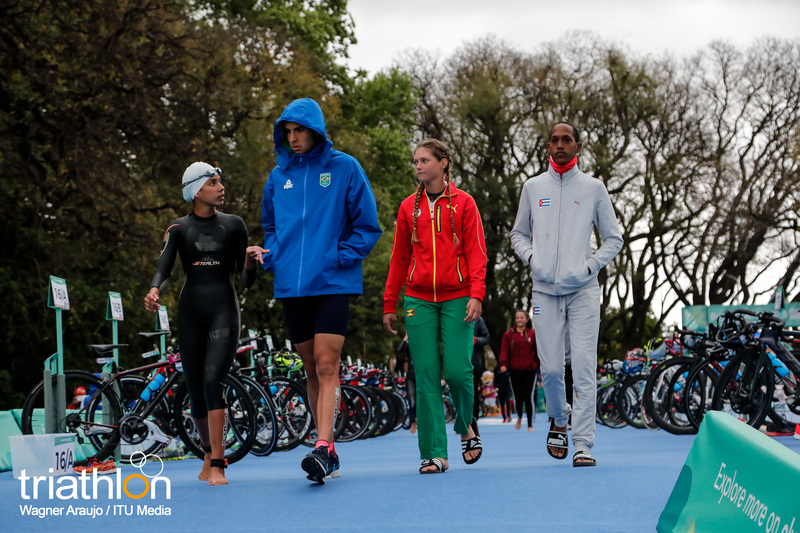 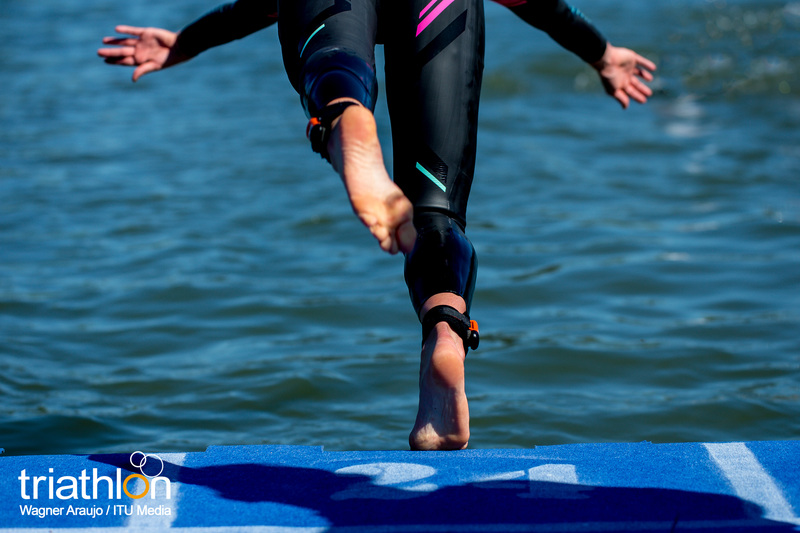 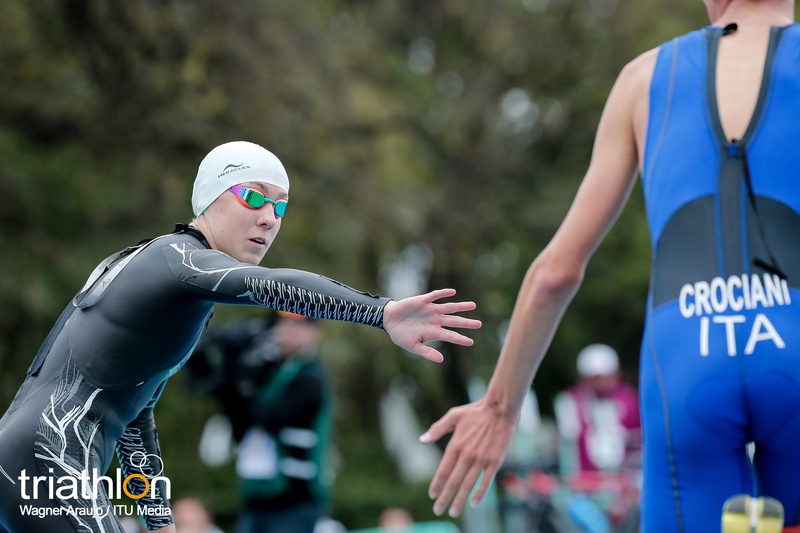 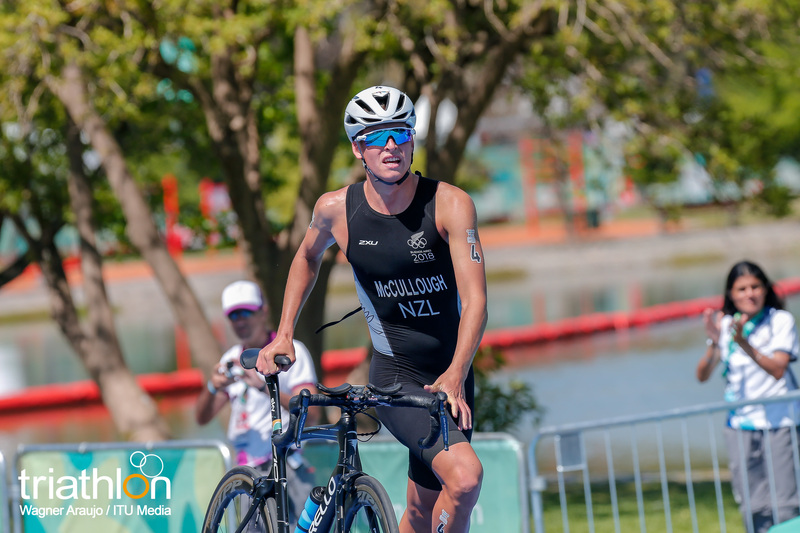 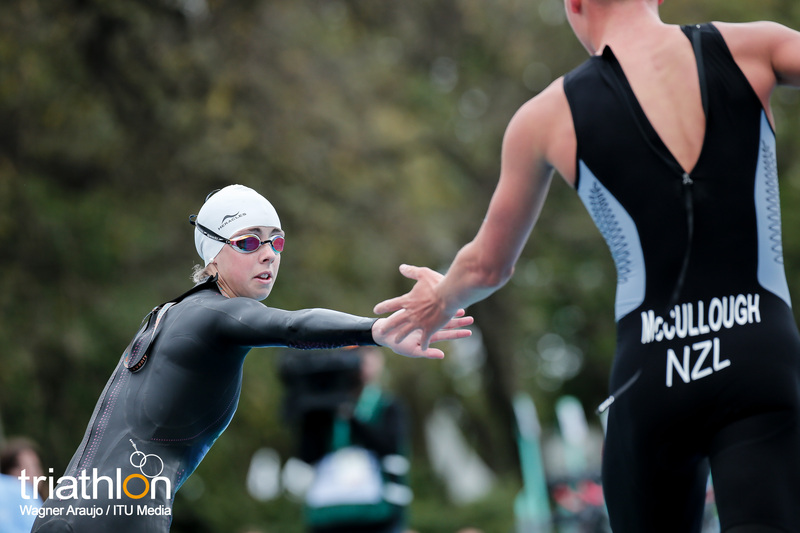 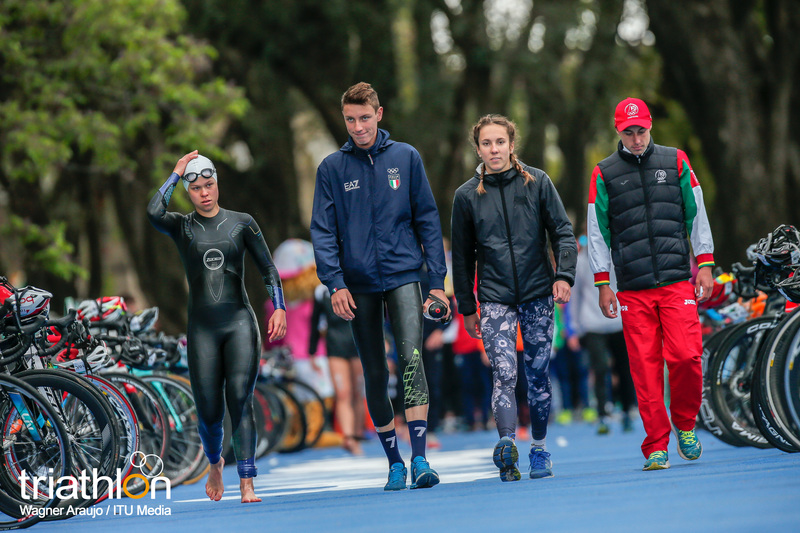 Wearing a wetsuit was in fact one of the challenges to some of the young triathletes, with little experience of international competitions and even less on racing with a wetsuit, as Karina Clemant (VEN) explained, donning her wetsuit for the first time in a race. 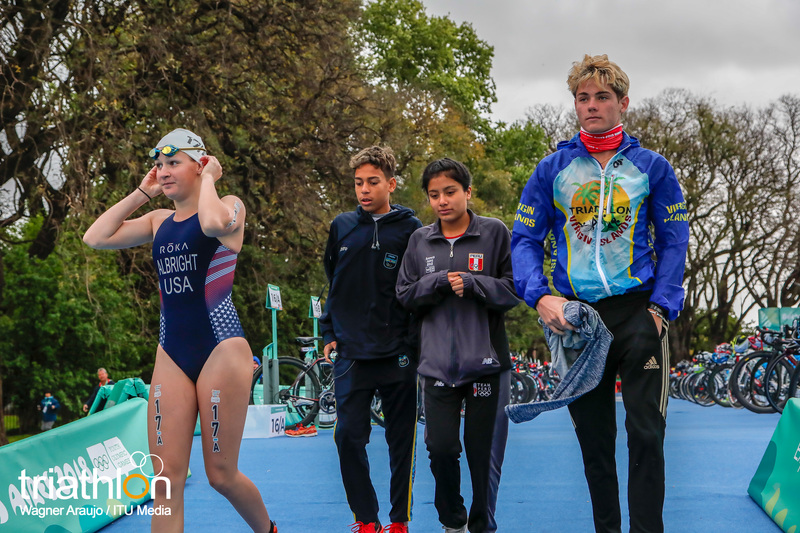 With the athletes diving in the clear waters at 11 am, it was the American Maryhelen Albright who lead over the first strokes, only to stop right after the first buoy to receive medical assistance. 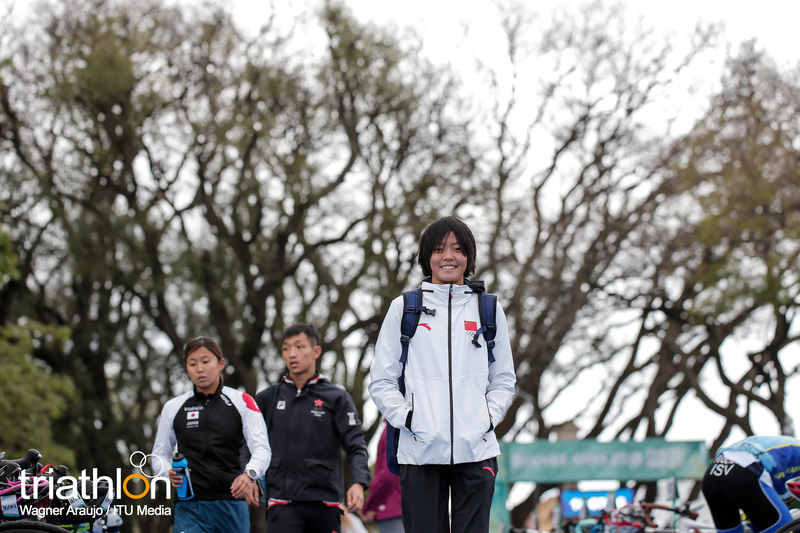 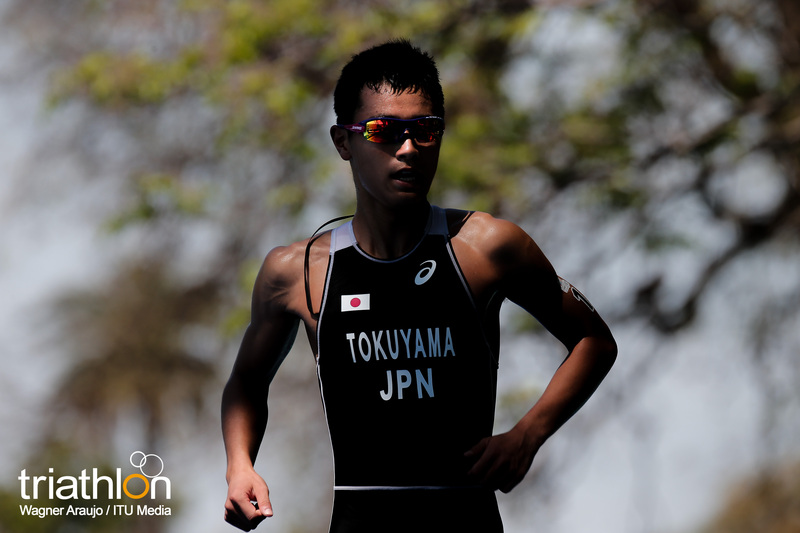 Japan’s Maki Uchida then assumed the lead, managing to open a small gap of almost 10 seconds from the two chasers, Weber and Schlebusch. 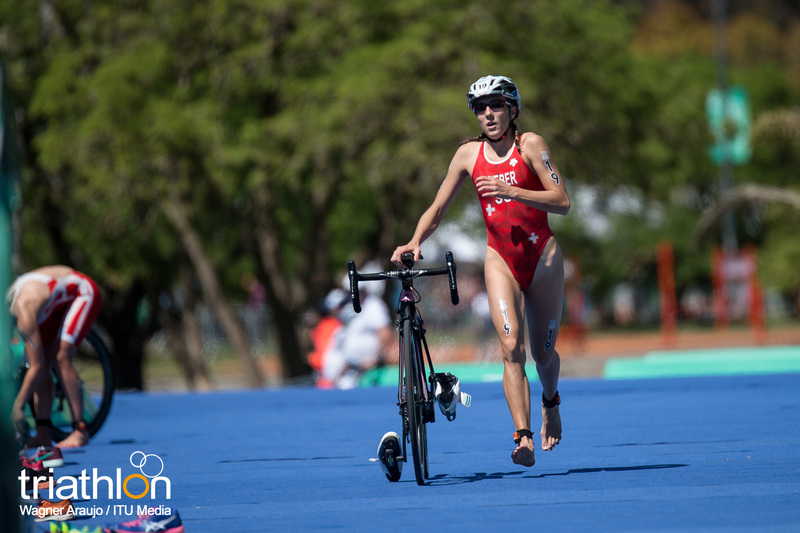 When the girls jumped on their bikes, it was the Swiss who took the lead with Sif Bendix Madsen (DEN) right on her heels. 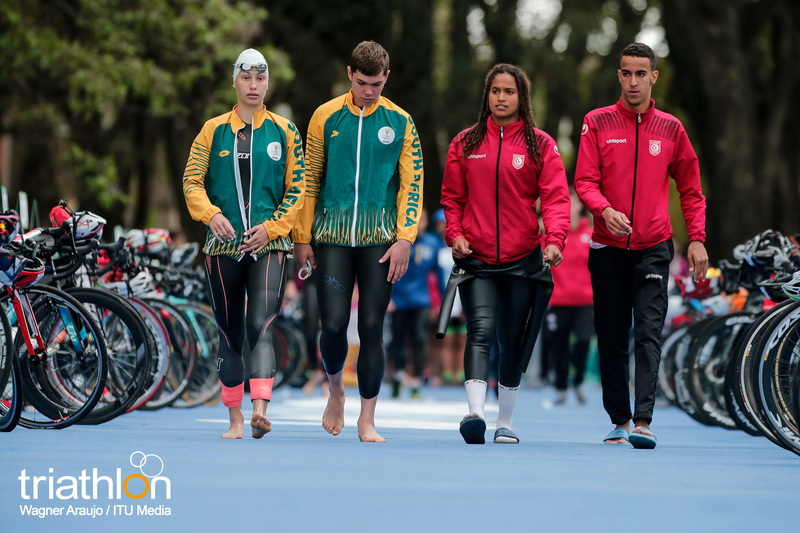 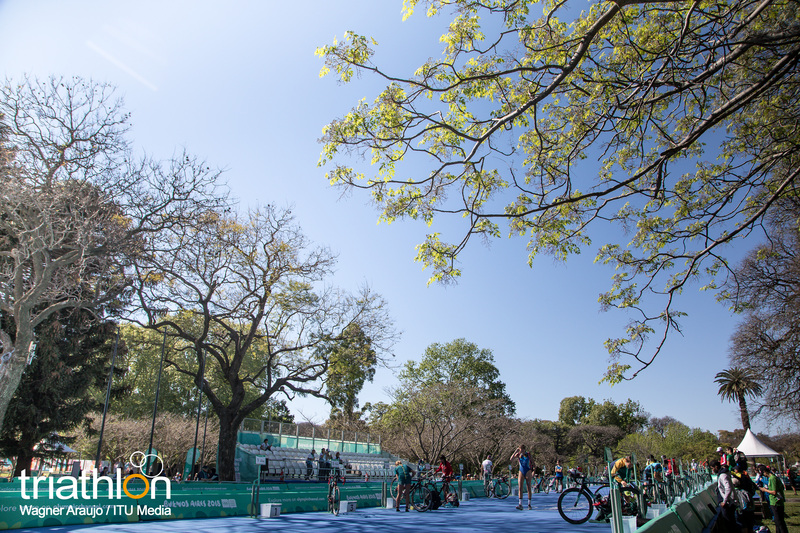 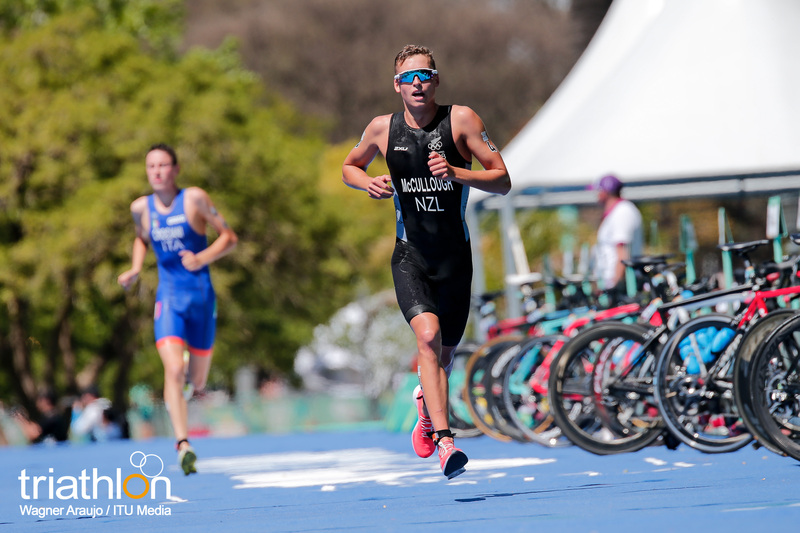 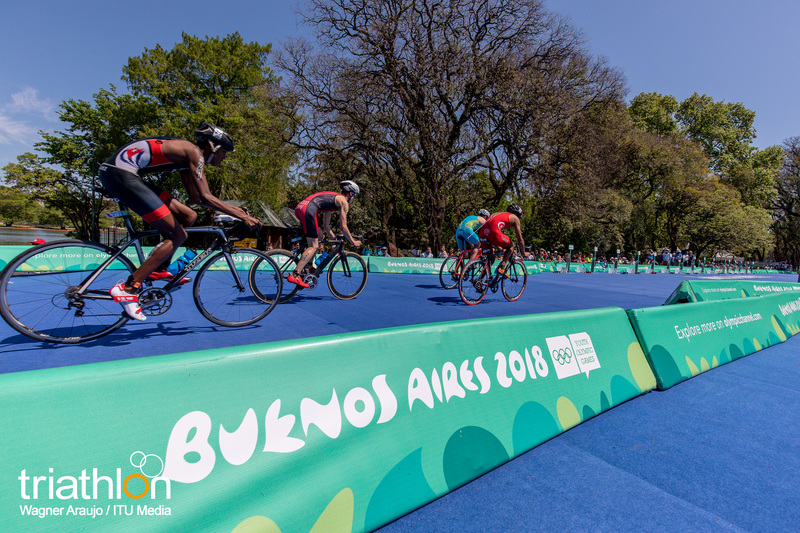 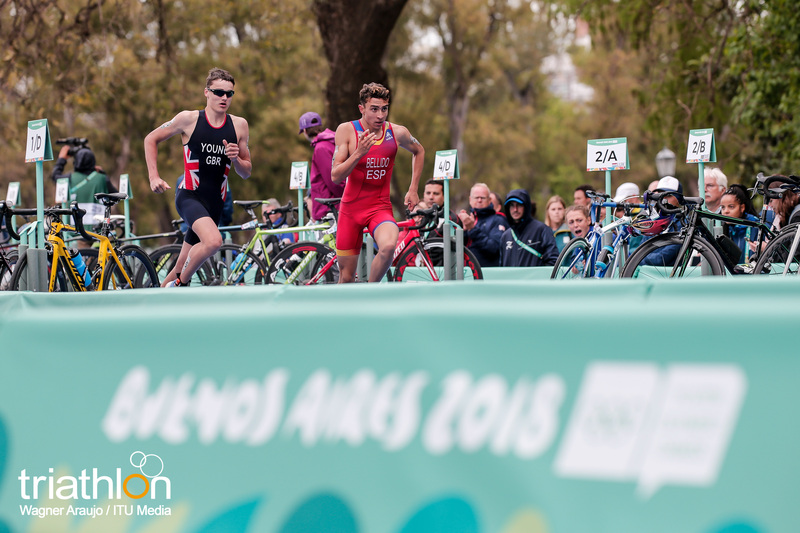 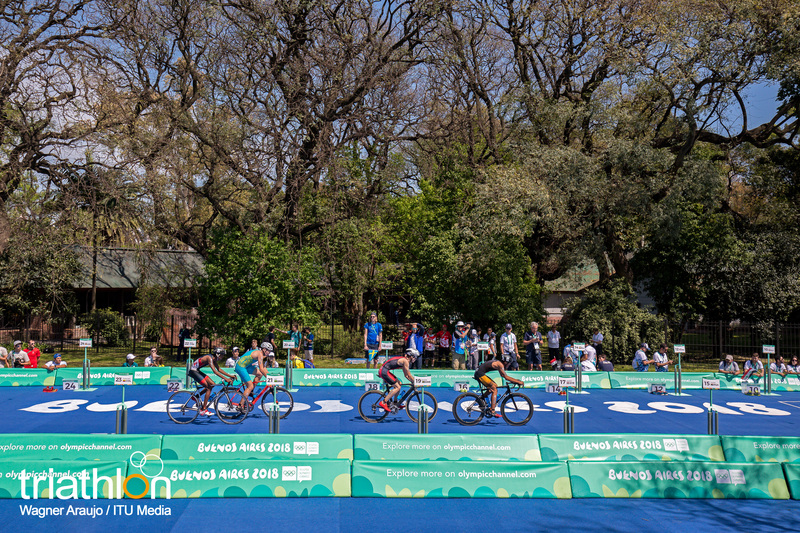 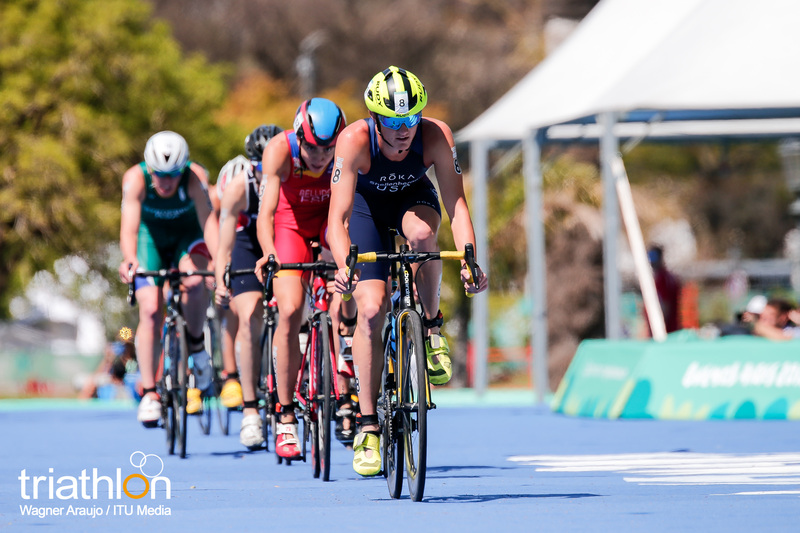 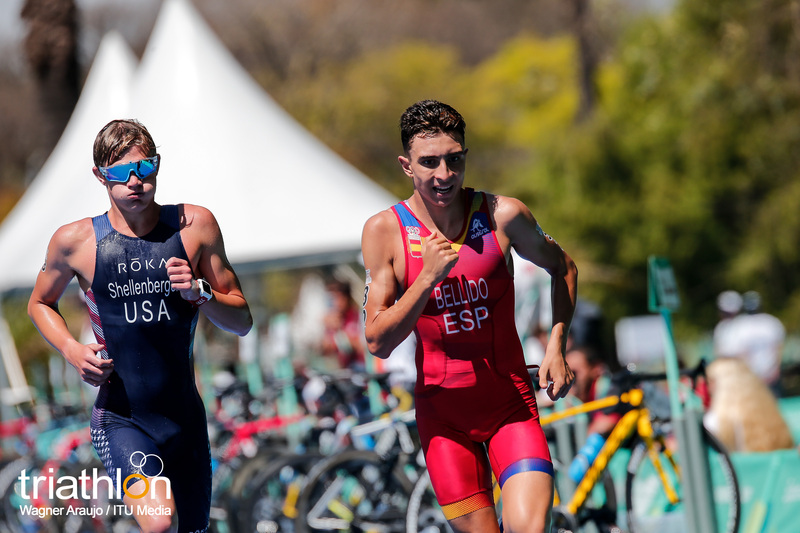 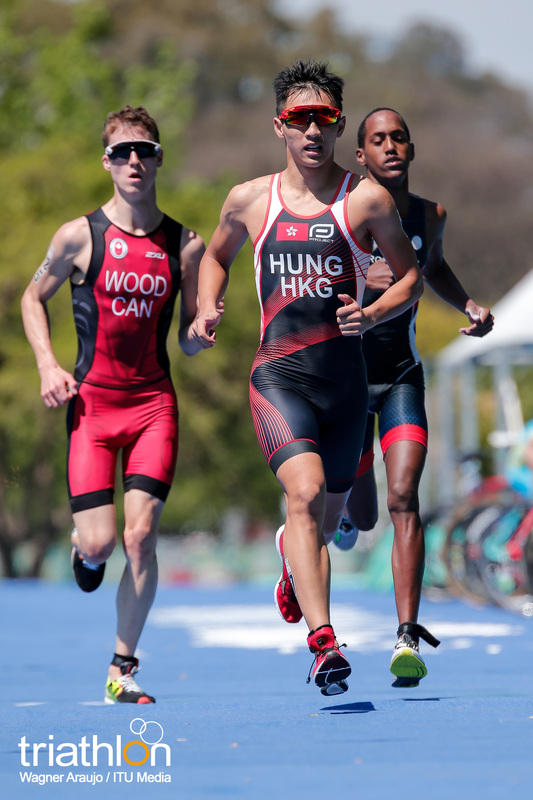 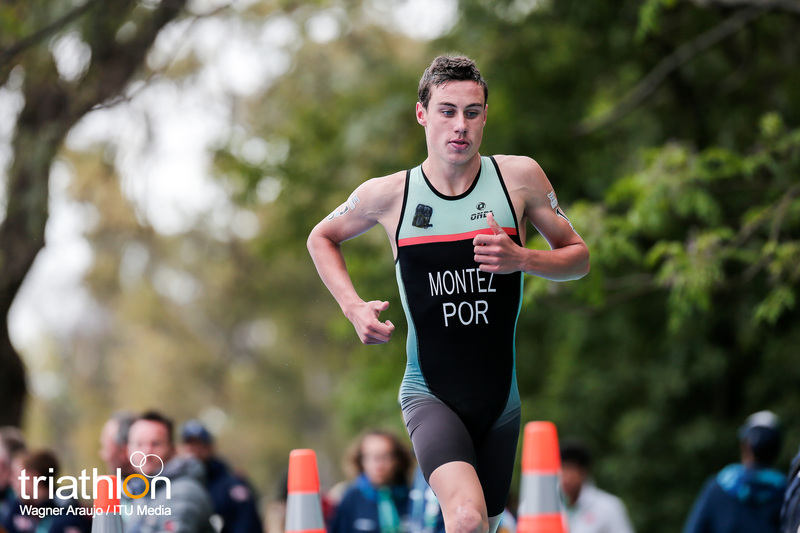 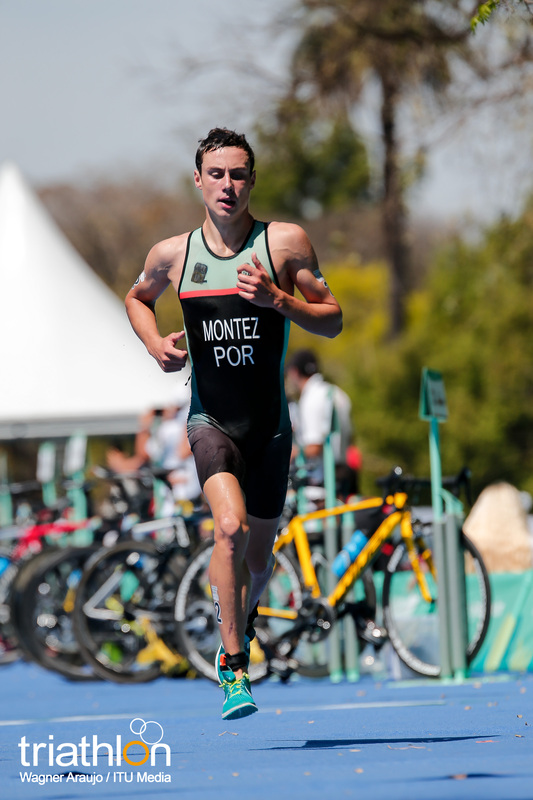 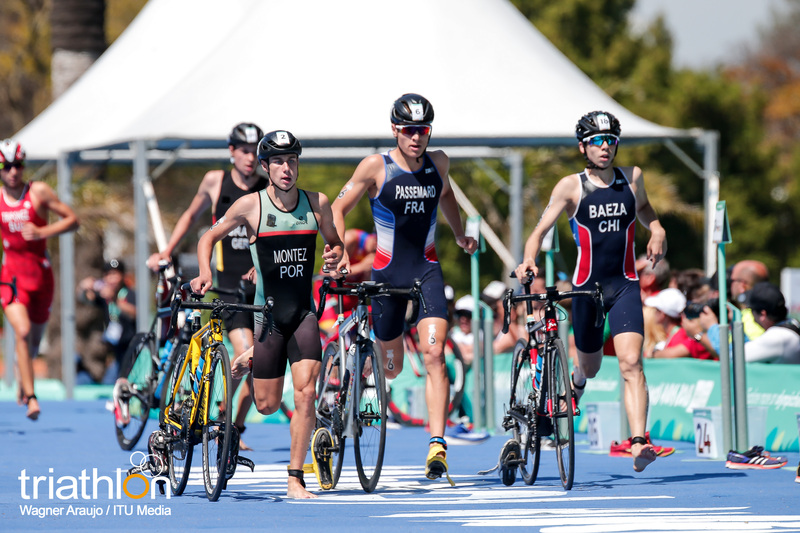 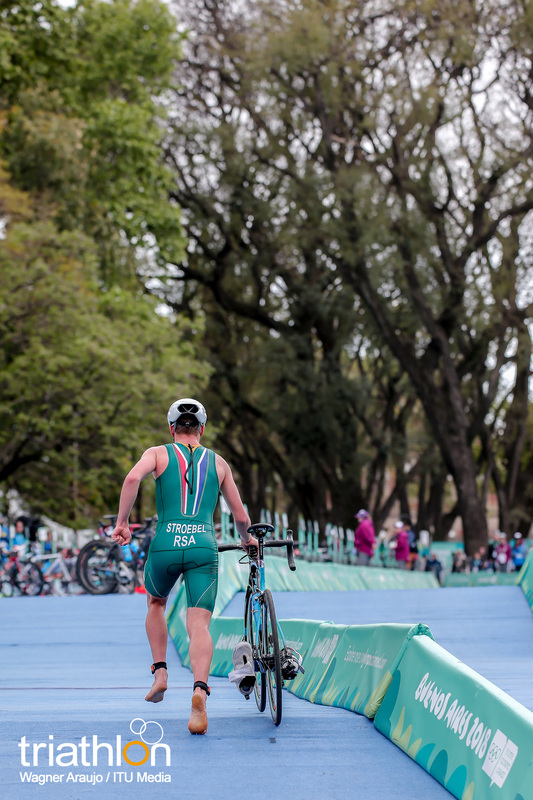 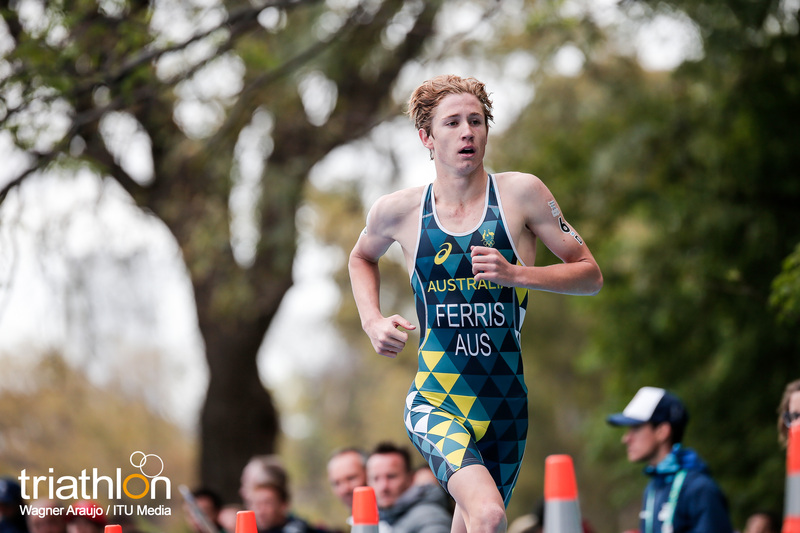 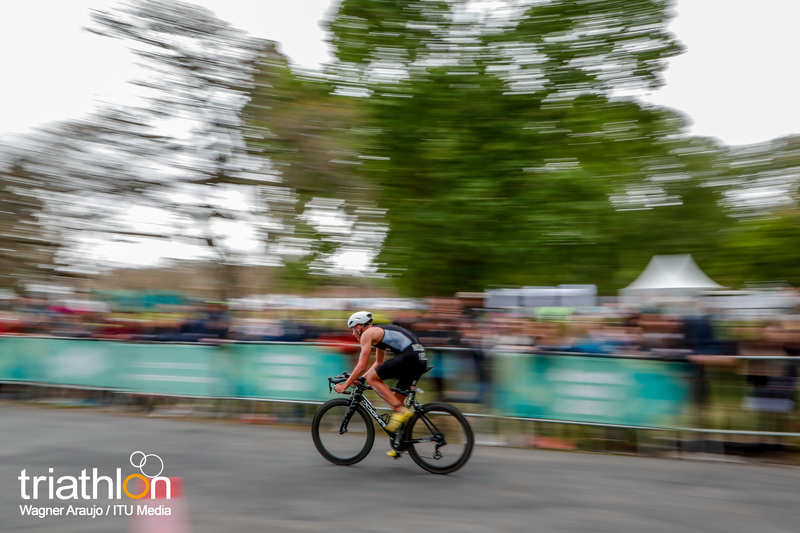 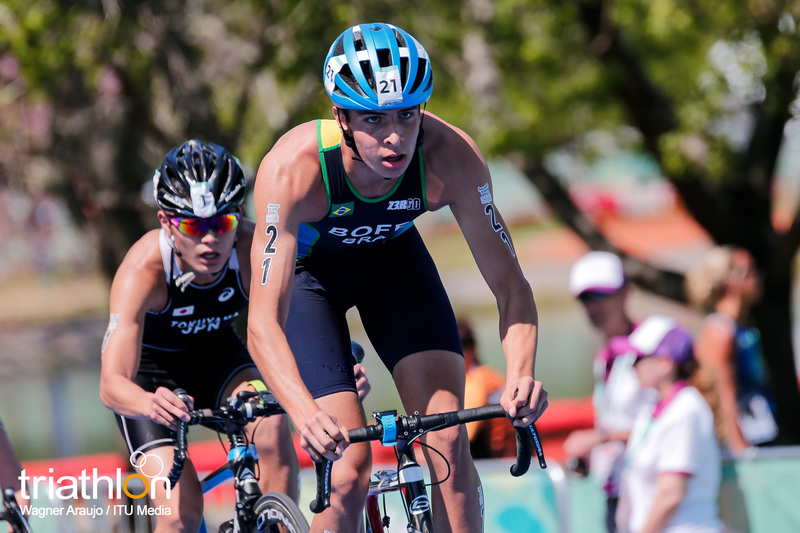 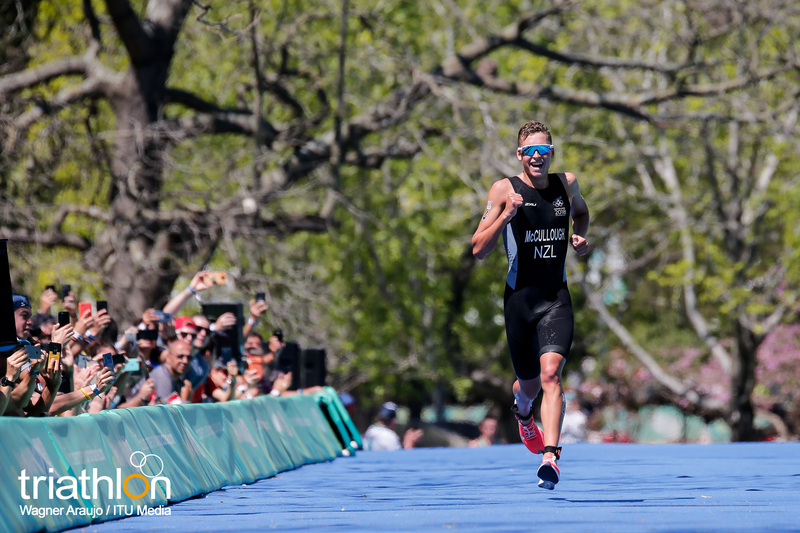 The pair worked together well across the first two laps of the technical course, while behind them a group of seven athletes gave chase but with little luck as they struggled to organise themselves effectively. 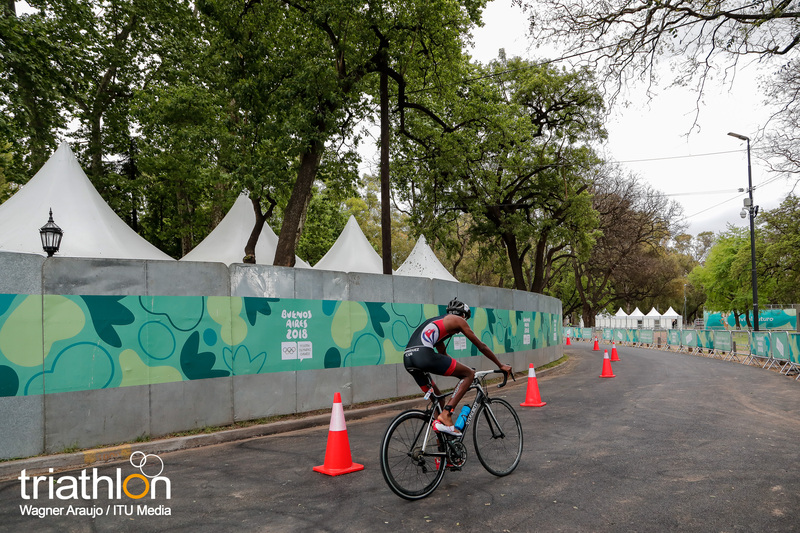 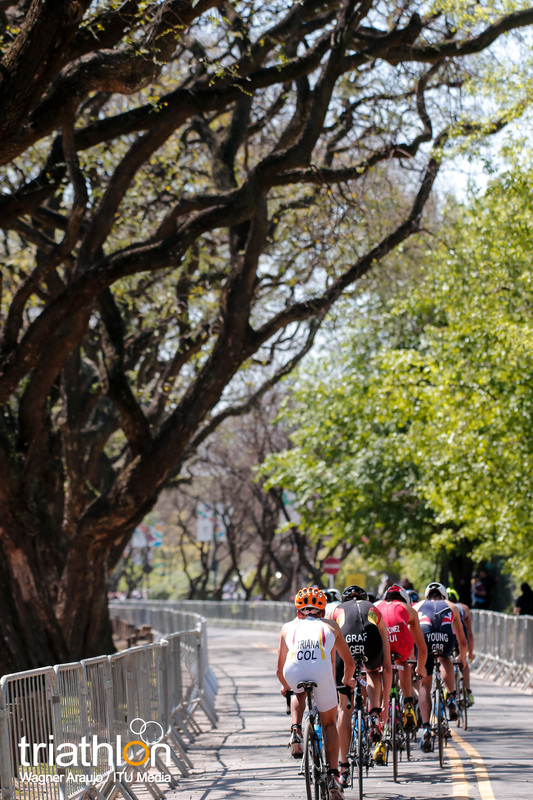 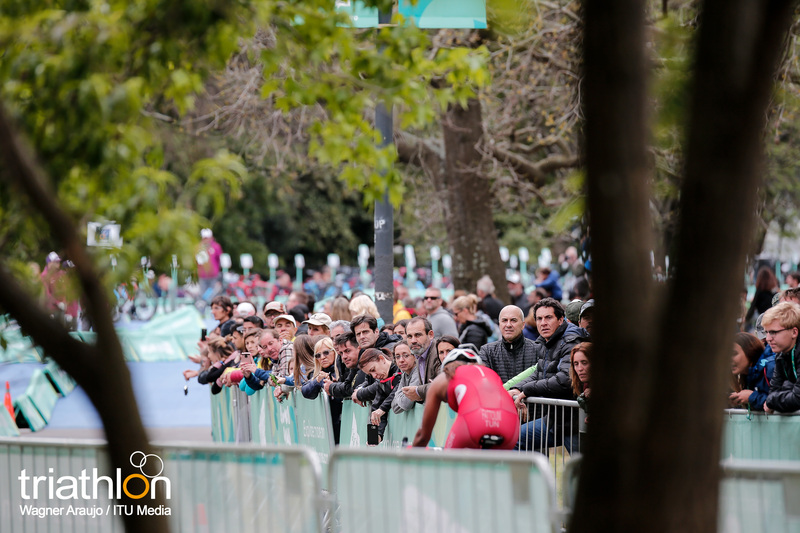 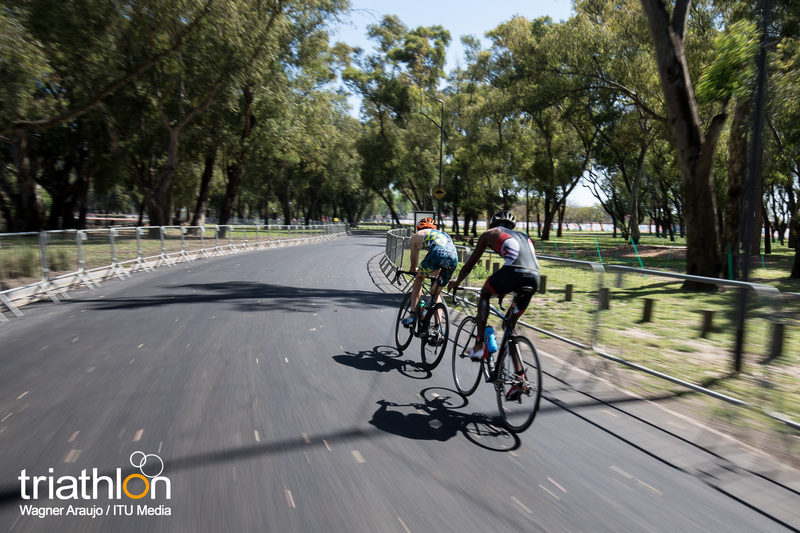 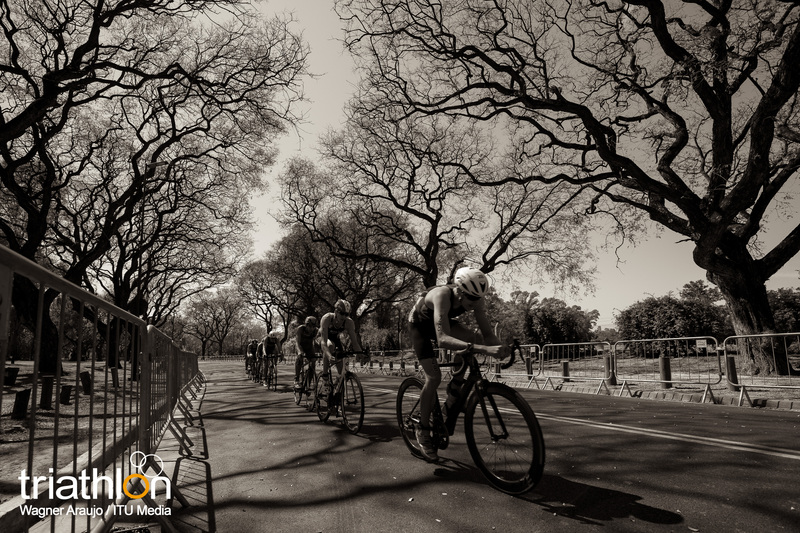 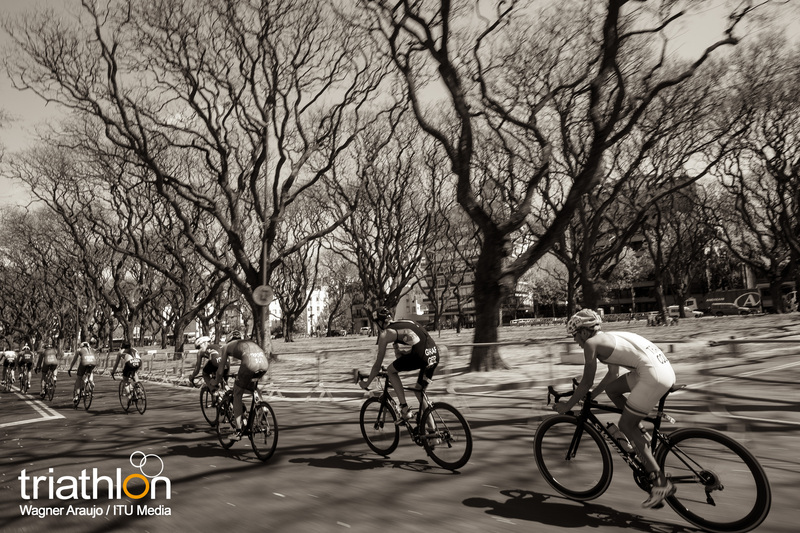 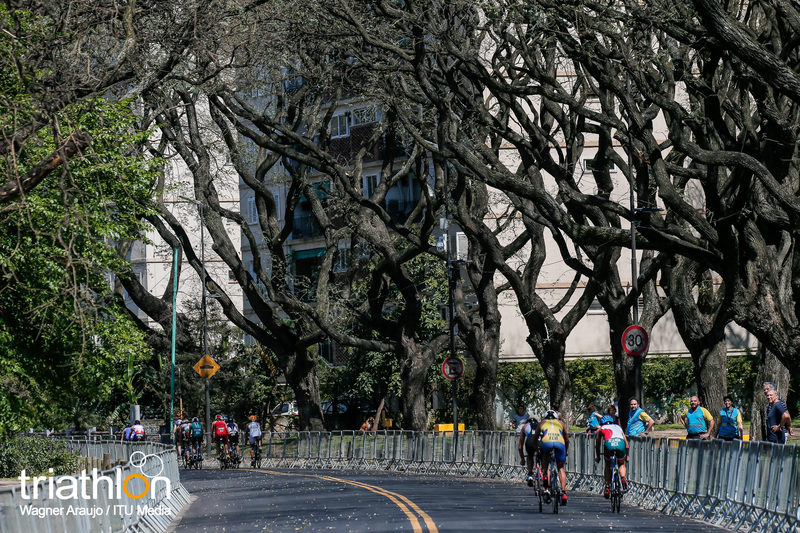 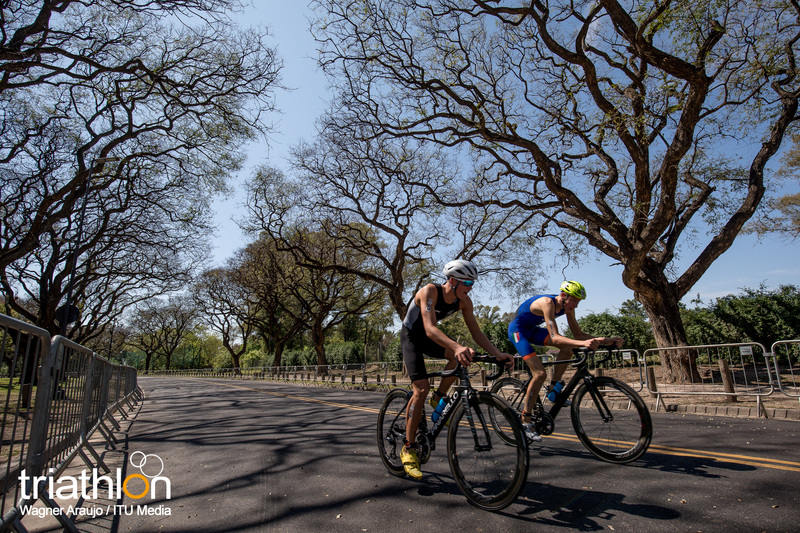 With two laps to go, the leaders had a 26-second advantage, that by the end of the 20km bike had stretched to 37 seconds. 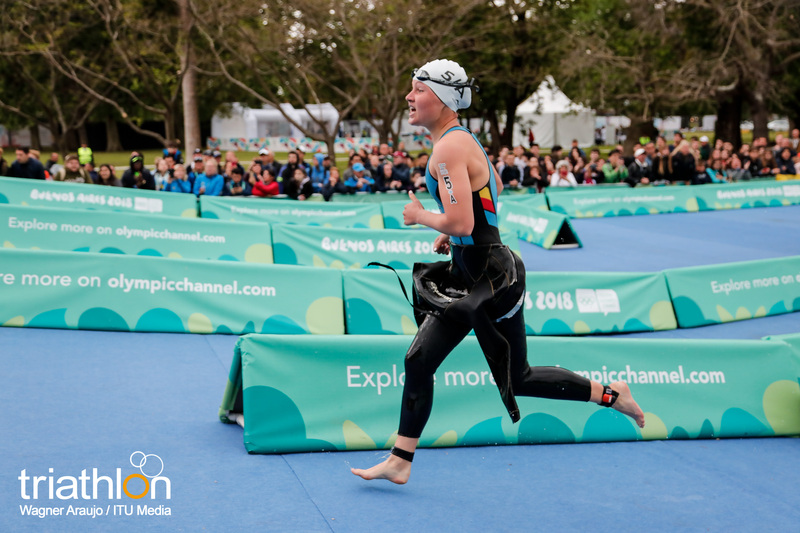 Bendix Madsen and Weber were first out of the second transition, with Eva Daniels (LUX), Barbara De Koning (NED), Brea Roderick (NZL) and Schlebusch following behind them. 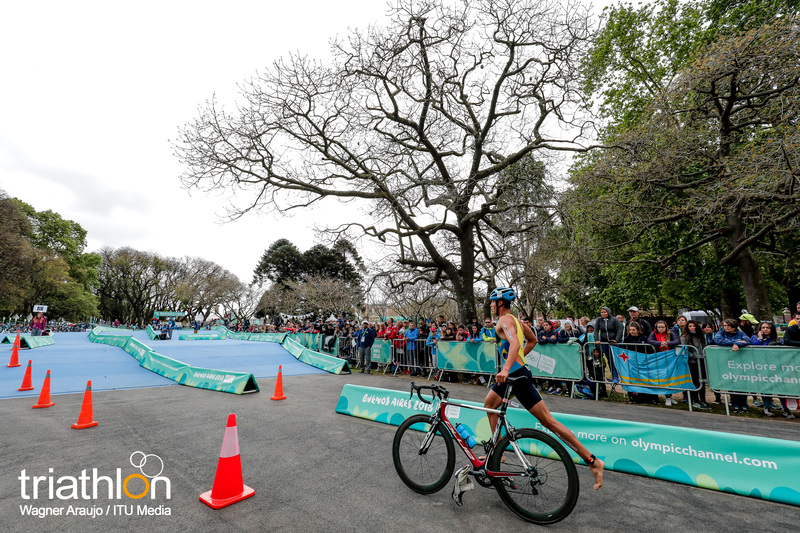 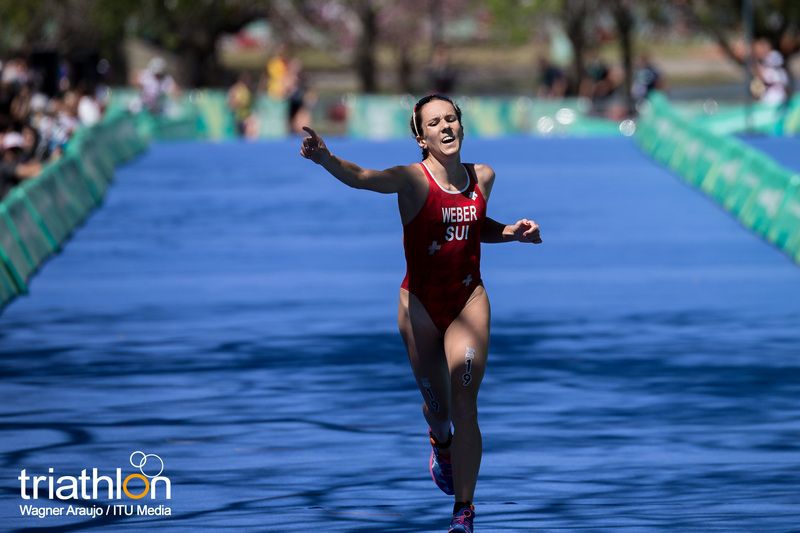 During the tough 5km run course it looked clear that the Dane was the one to beat as she dropped Weber in the first lap of 2.5km but unaware that behind her, Schlebusch was really flying. 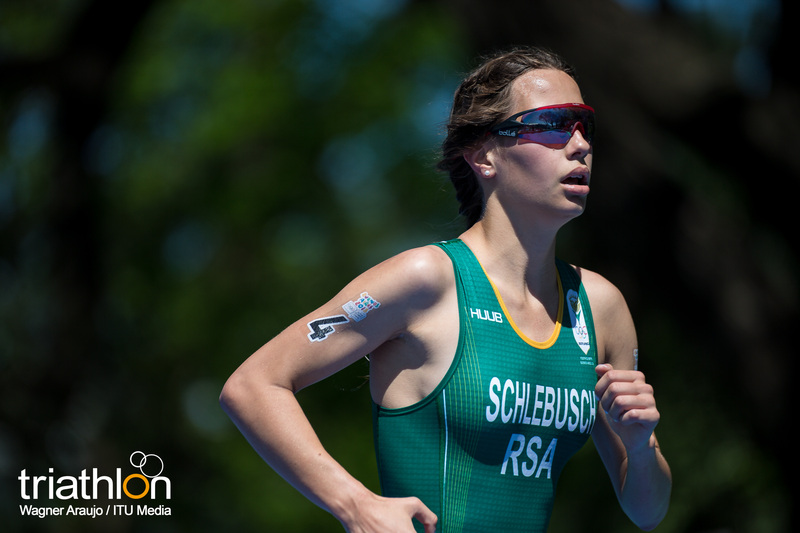 The South African passed her rivals one by one before finally passing Bendix Madsen with less than 500 metres to go. 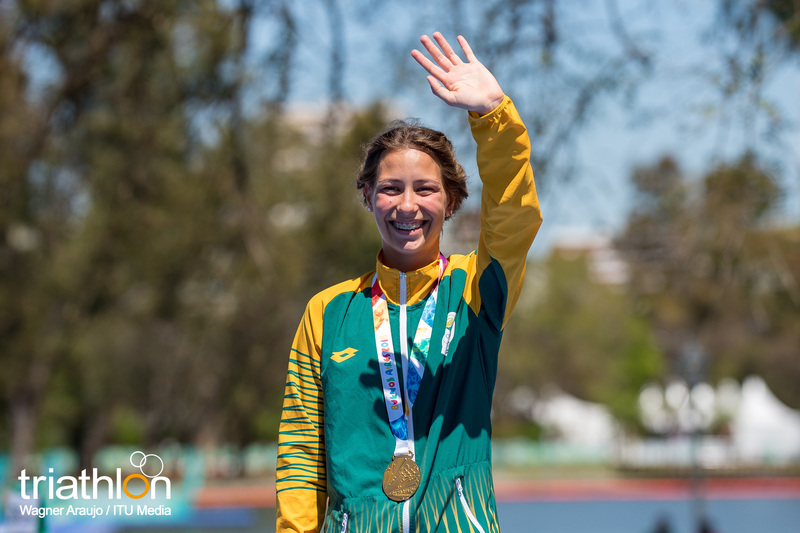 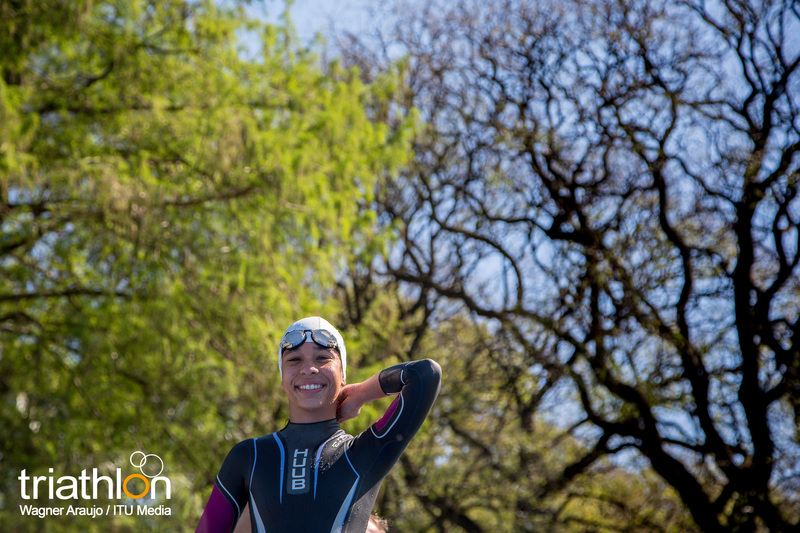 From that moment the young South African was able to break out a smile and enjoy her moment, taking the tape in a time of 58 minutes and 47 seconds and with the fastest run split of the day. 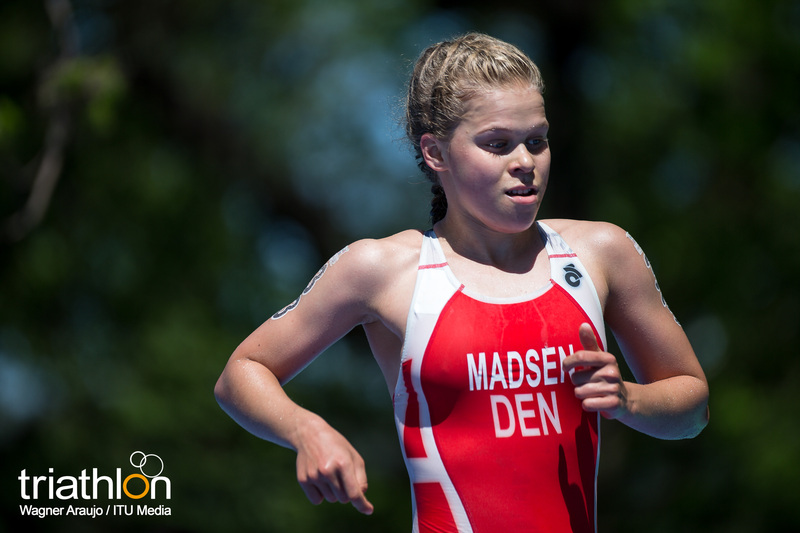 Behind her, second place went to Bendix Madsen while Weber managed to hold on to the bronze medal, finishing a few seconds ahead of Eva Daniels in fourth. 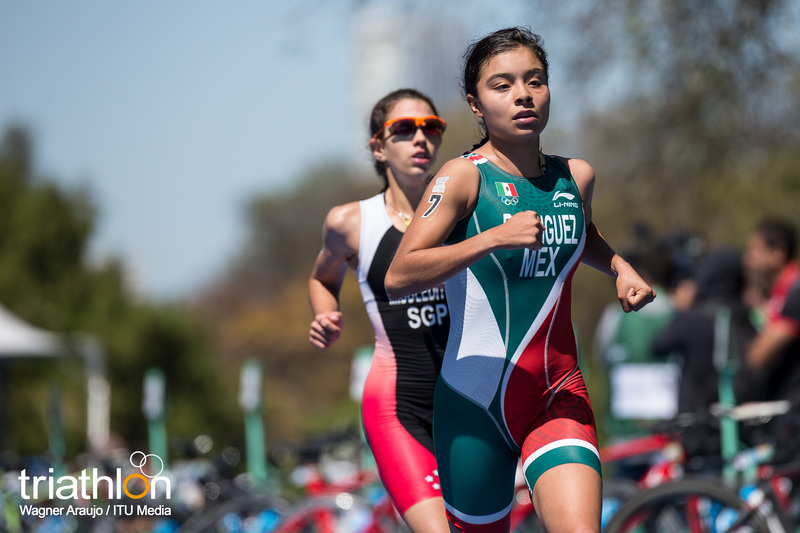 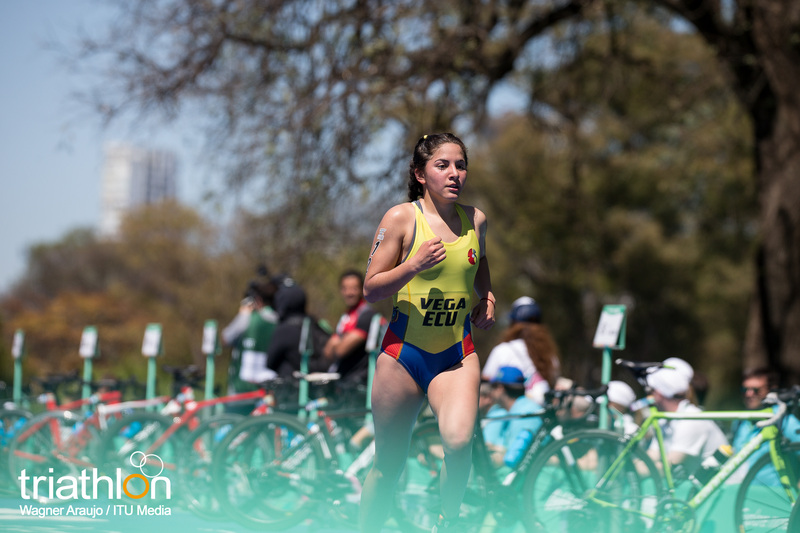 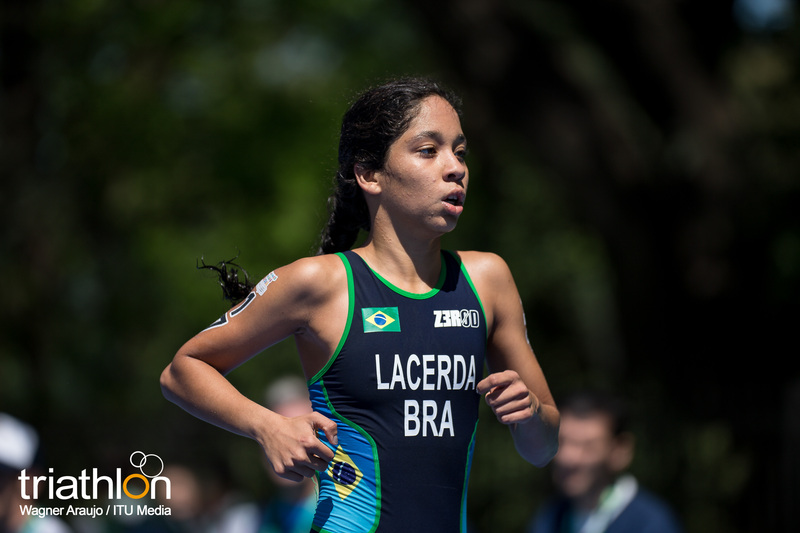 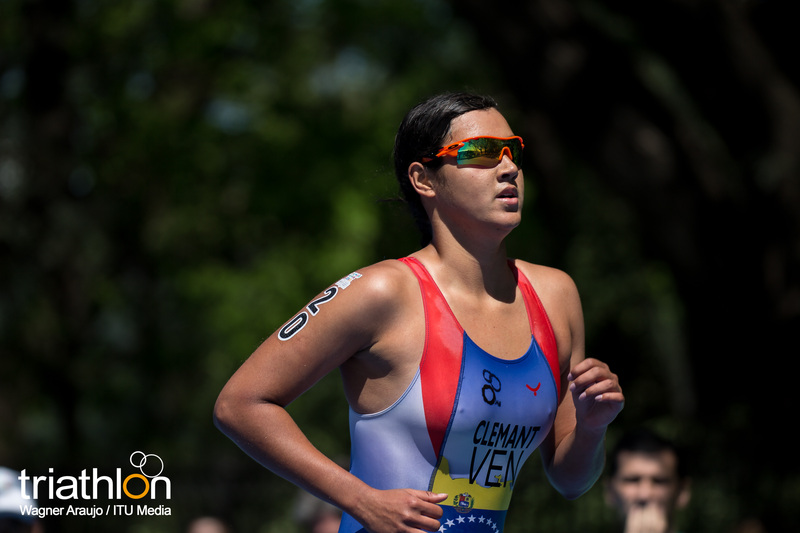 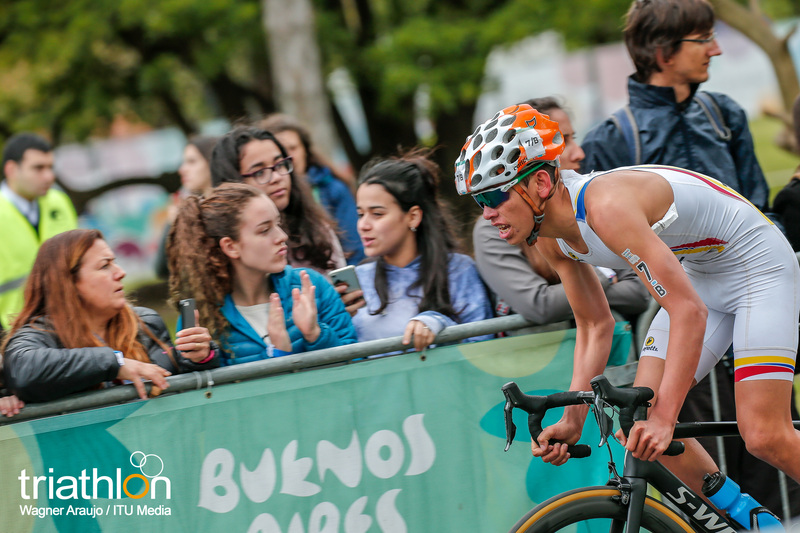 A great performance from the Ecuadorian Paula Vega, only 15 years of age, saw her home in 5th place, the first from her continent. 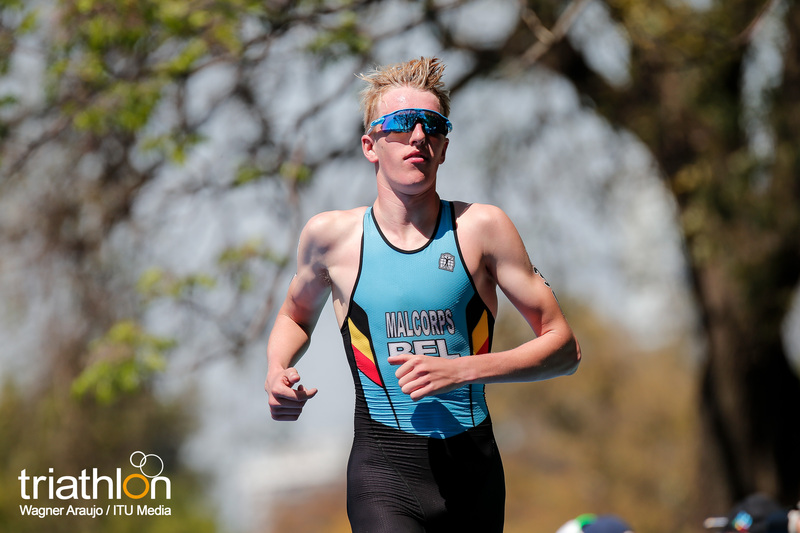 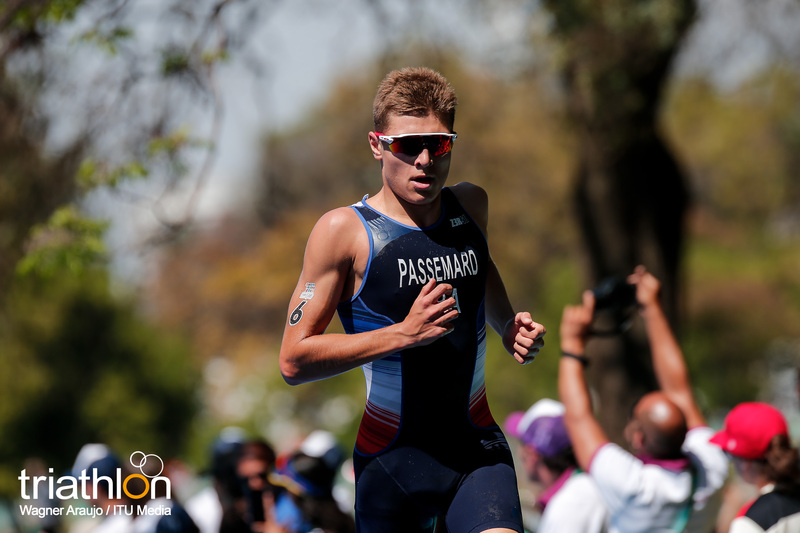 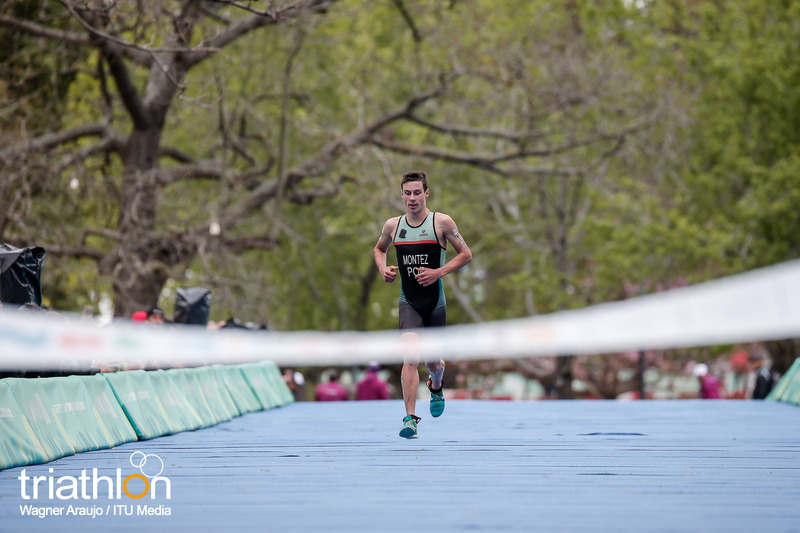 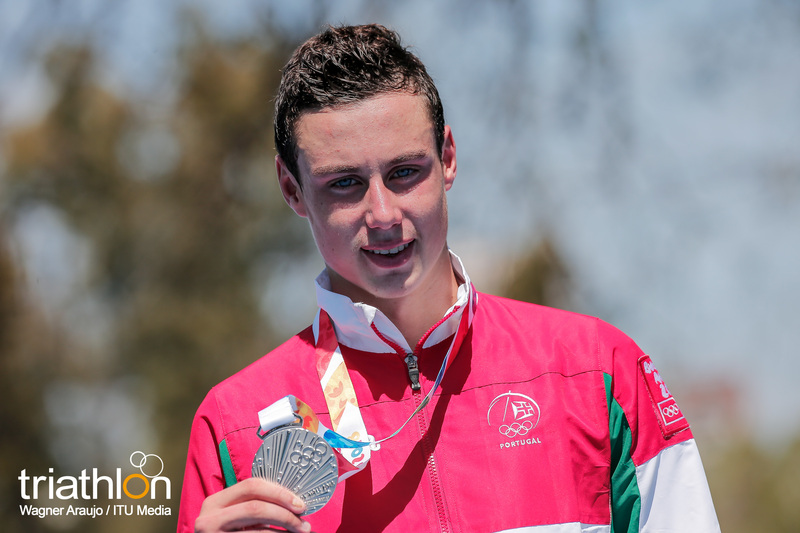 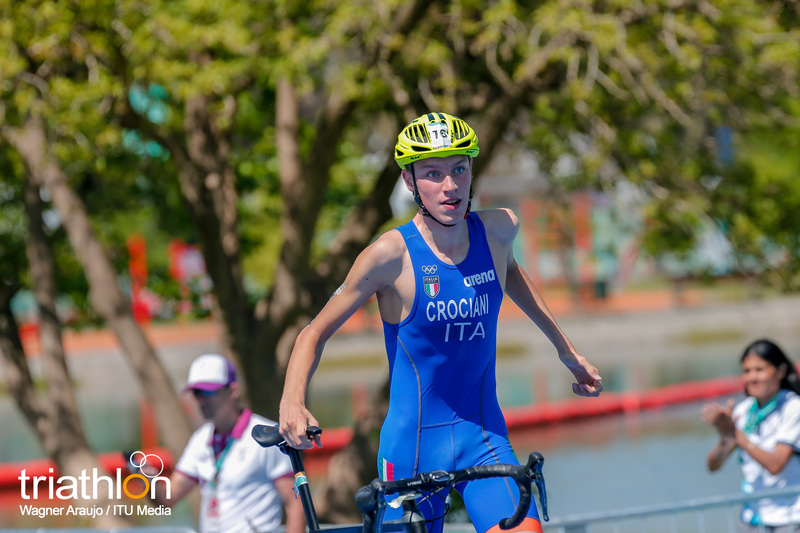 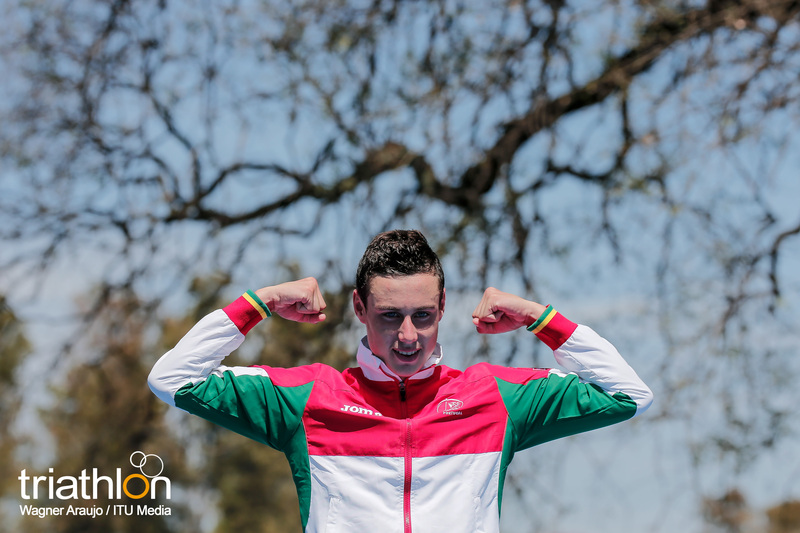 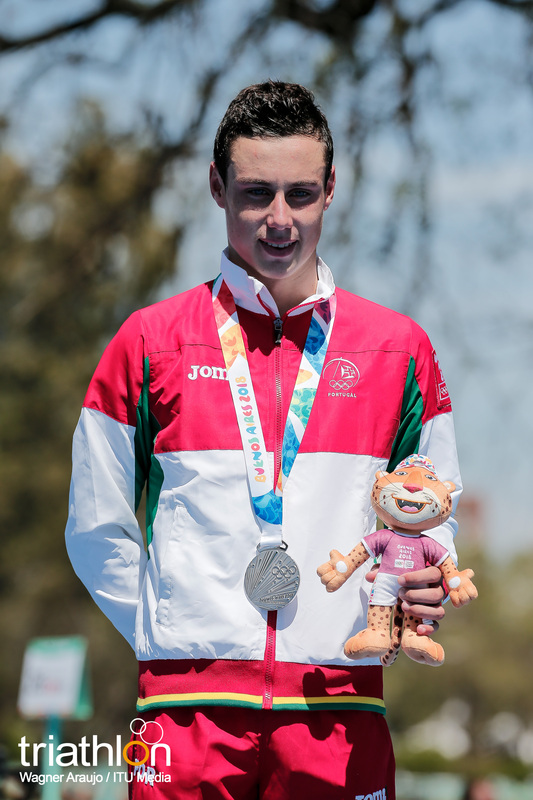 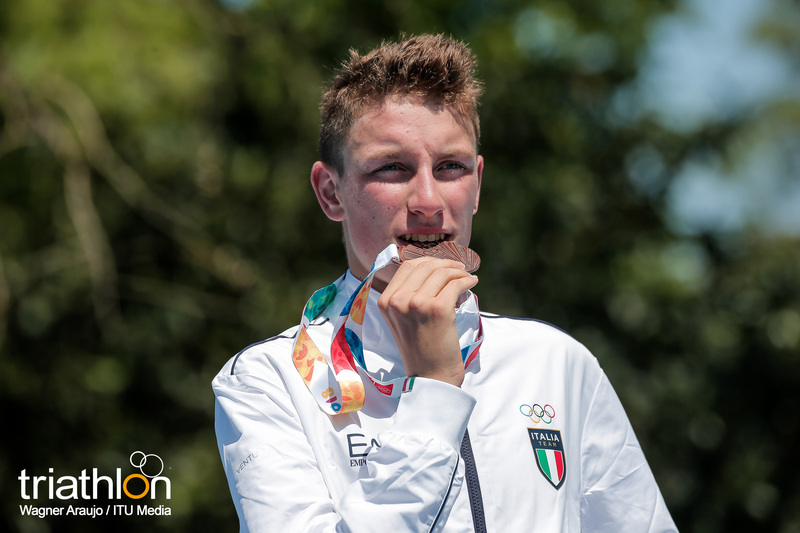 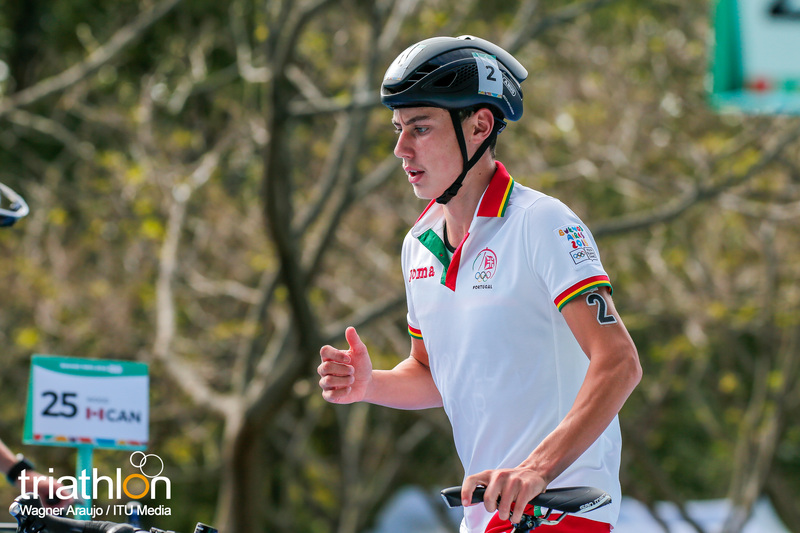 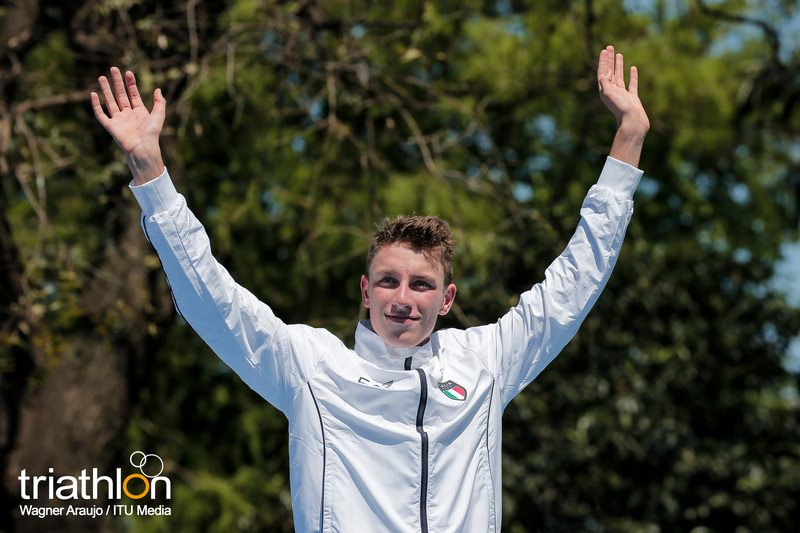 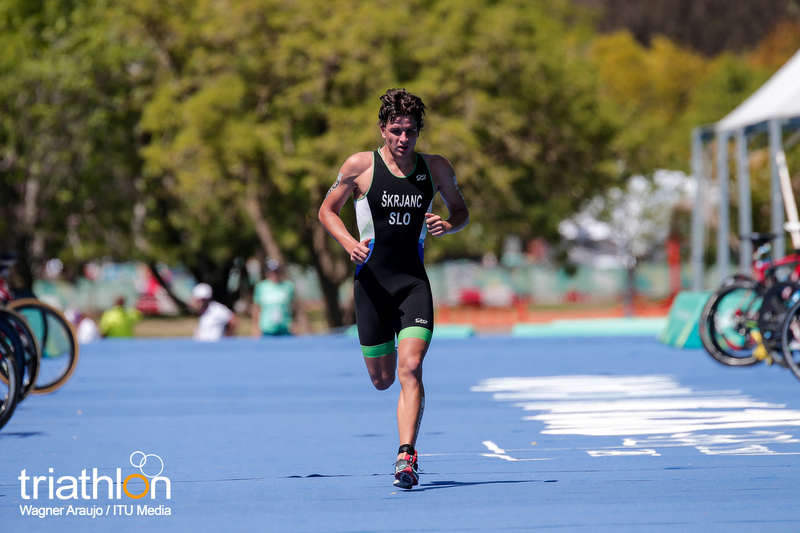 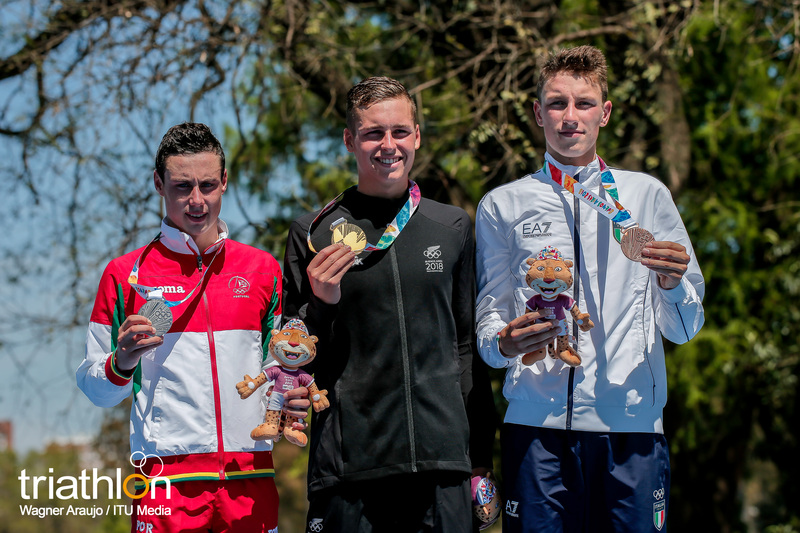 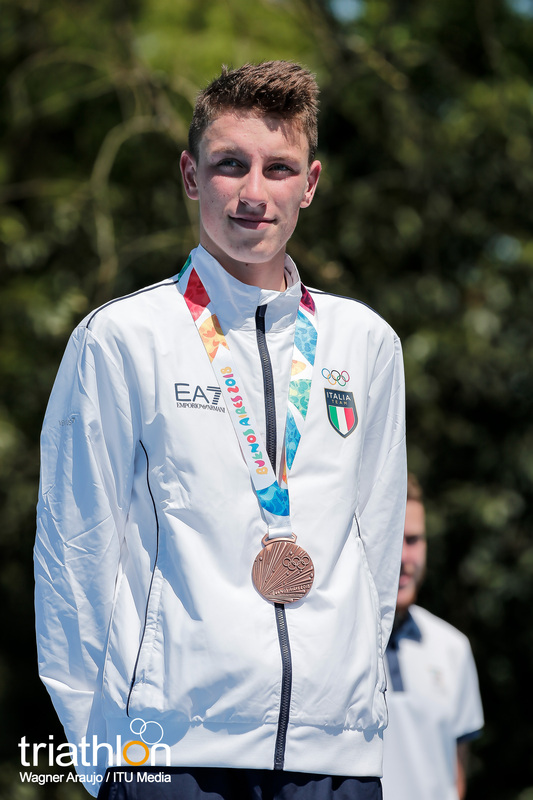 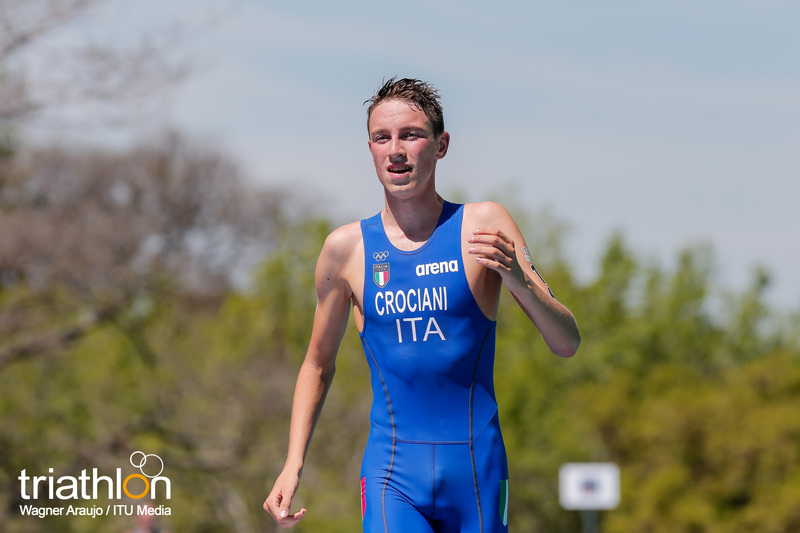 While most of the field was quite new to international races, this was not the first podium for Schlebusch, who not only won the qualifying YOG event for Africa, but also finished second in the Tiszaujvarus European Junior Cup this year. 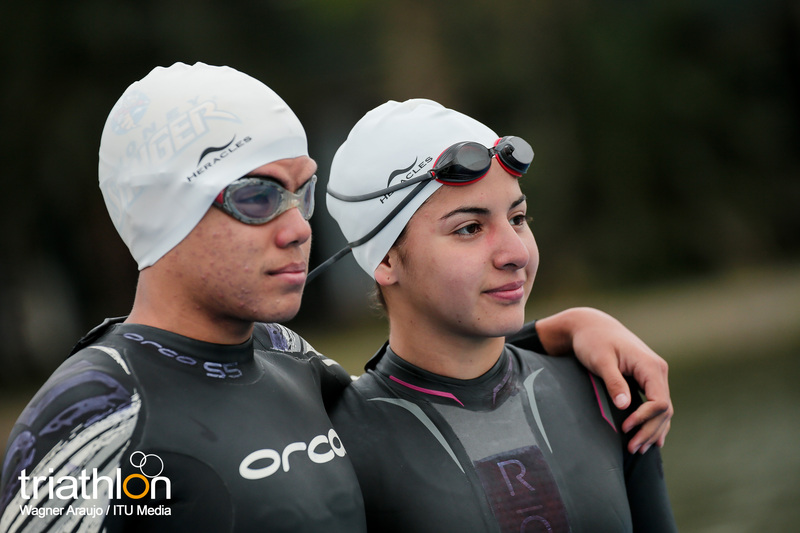 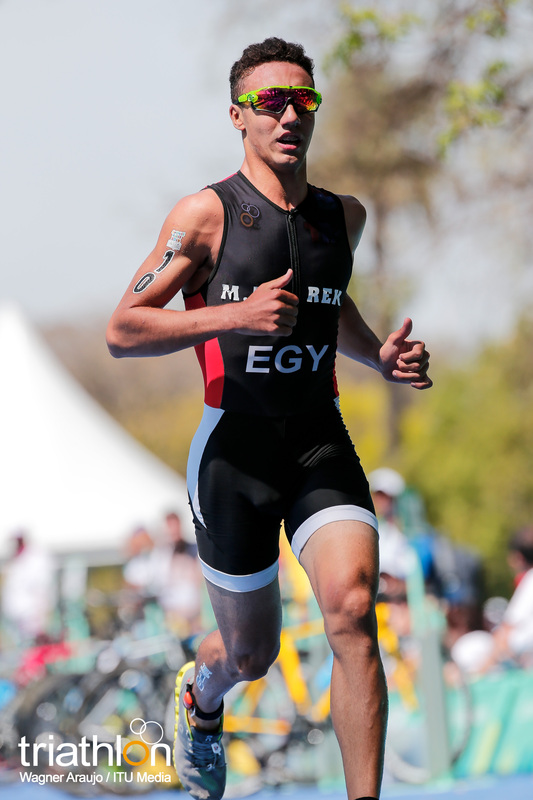 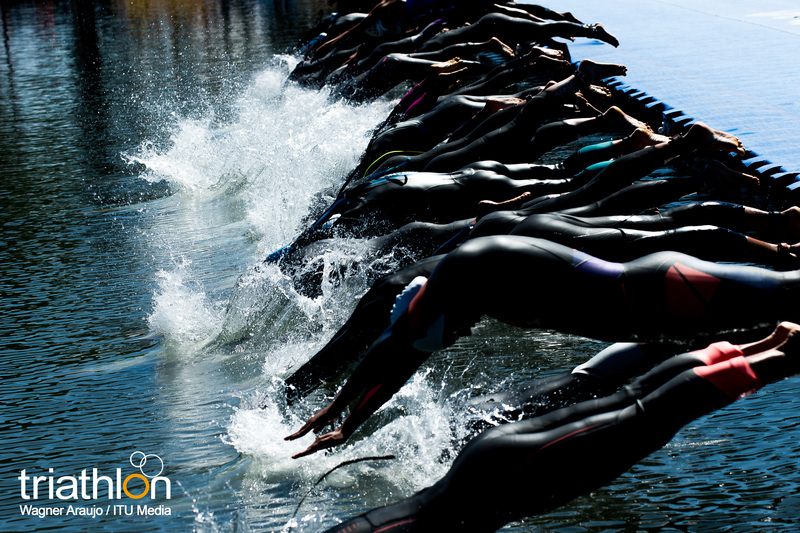 “I knew that my weakest part was the swim. 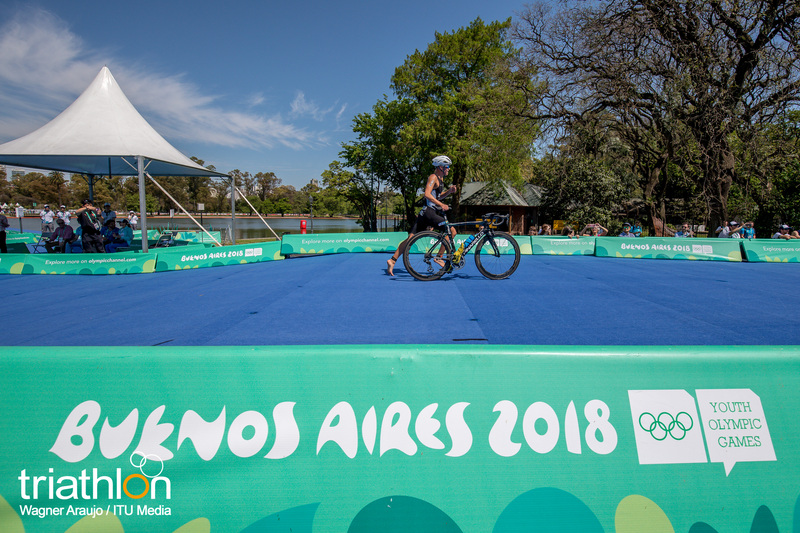 And in the back of the bike pack nobody was really working so it was quite hard to close into the first two, but on the run that is where I put most of my confidence in. 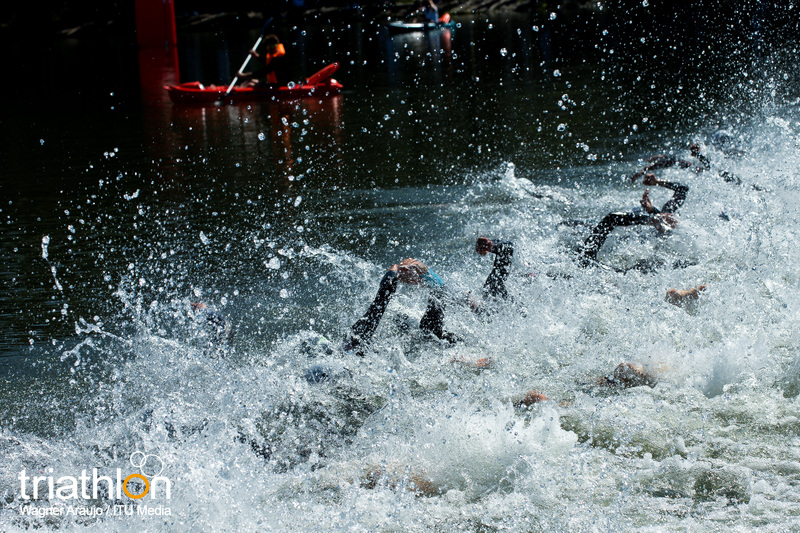 I just decided to catch them one by one, take each one as it comes, and it worked”, she said. 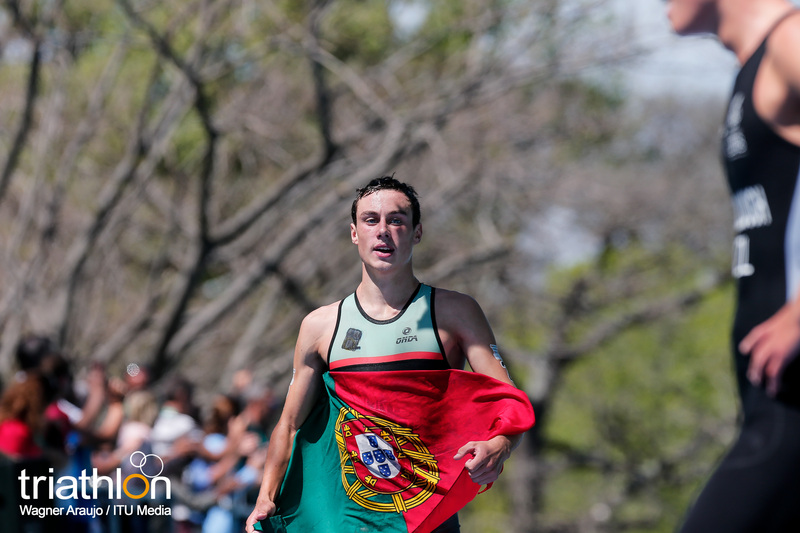 “I haven’t ever seen these athletes before, when I raced in Europe, so I didn’t really know how they could do the run. 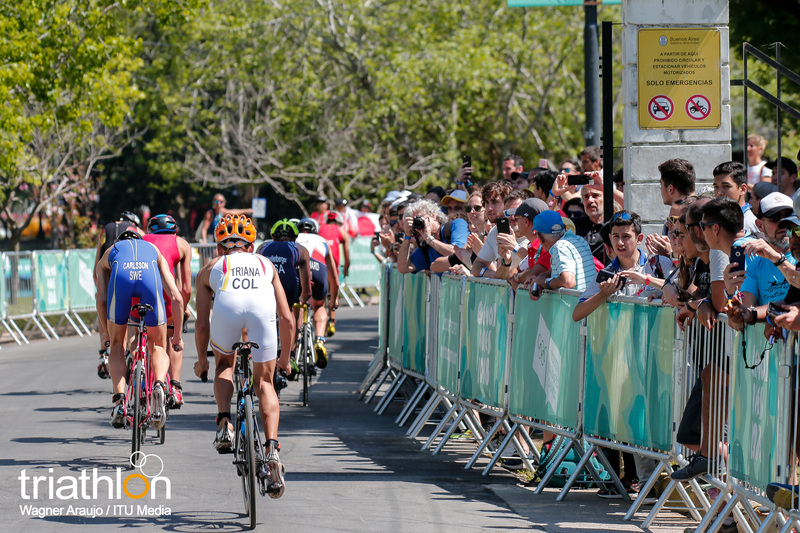 I could see them in front though, even if they were quite far, about 30 seconds in front of me just off the bike. 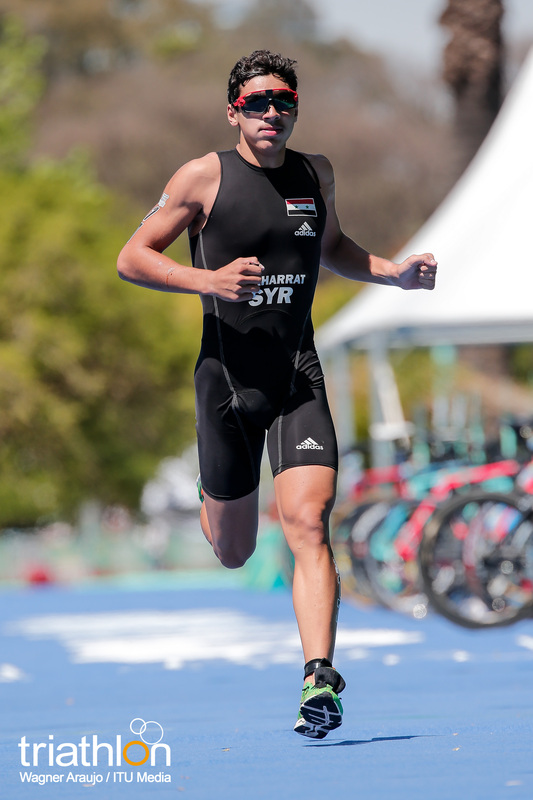 I tried to close down and managed to work. 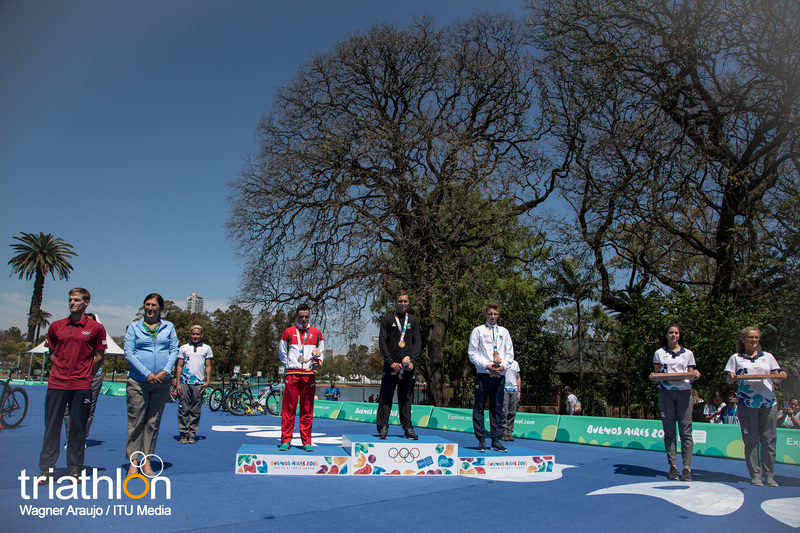 I wasn’t expecting a medal, I was expecting a top-10 finish. 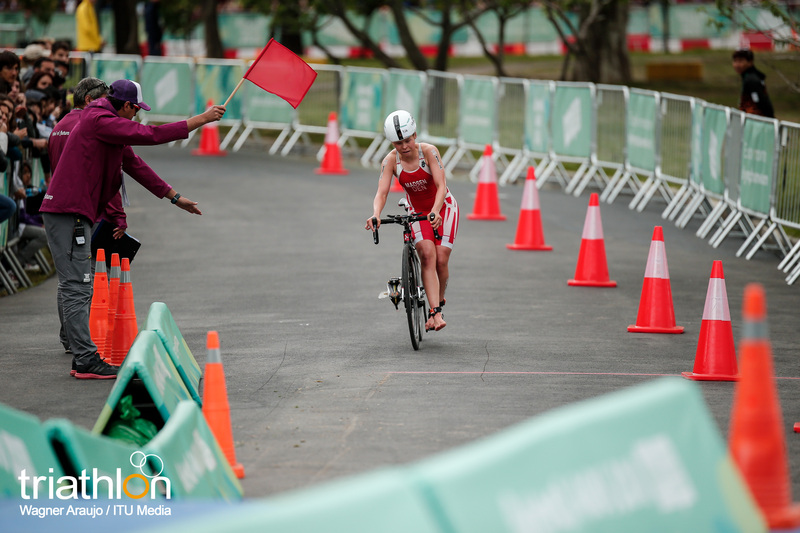 I wanted a top-10 quite badly, but this is even better”, she explained.